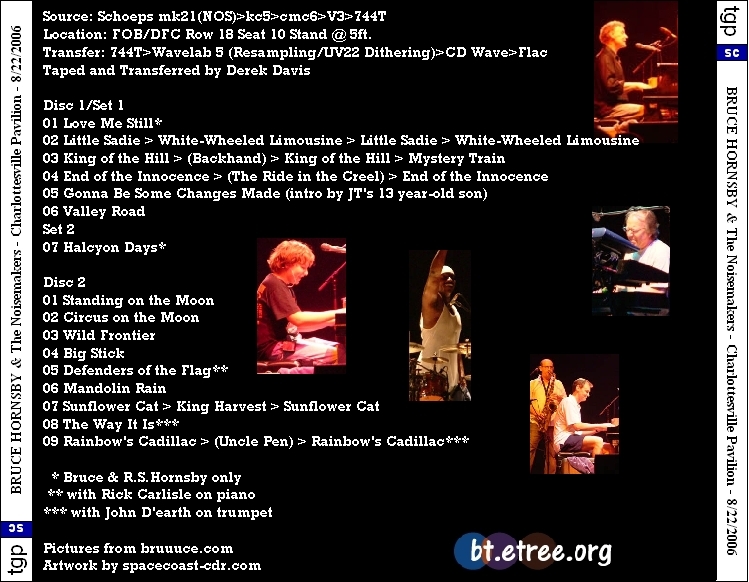 Note: PBS "In The Spotlight" - The whole show with retakes. 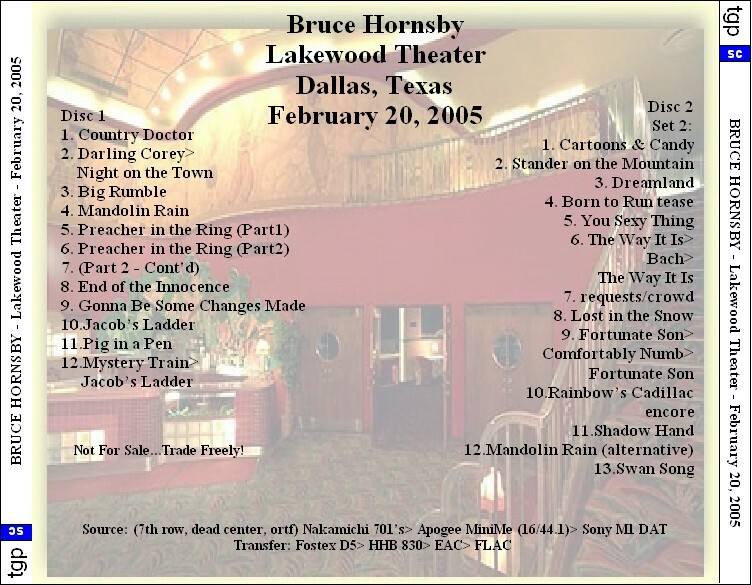 There are a few cut outs but nothing major. 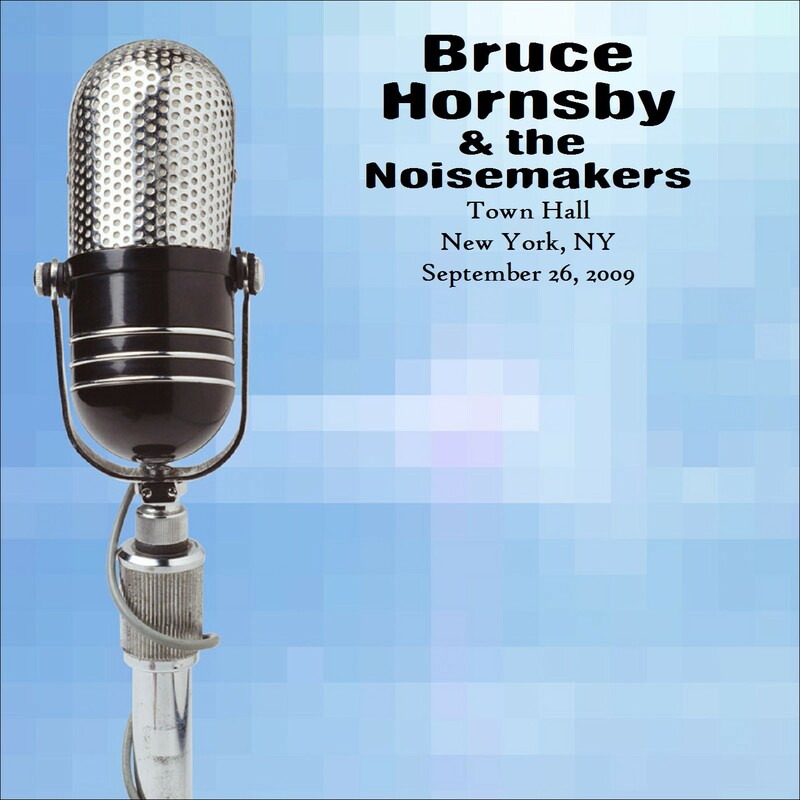 An excellent show. 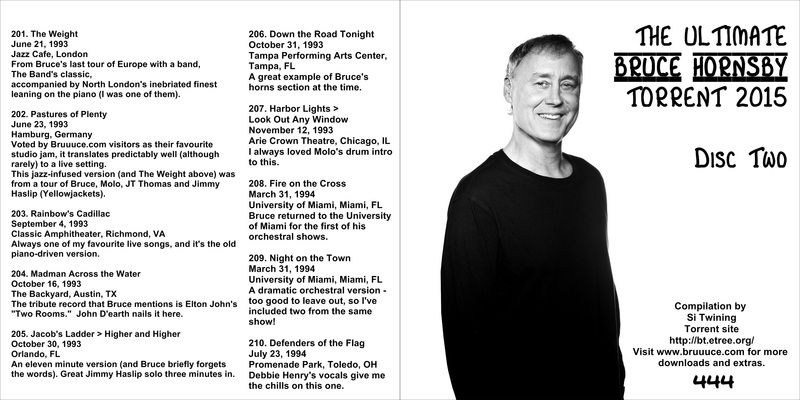 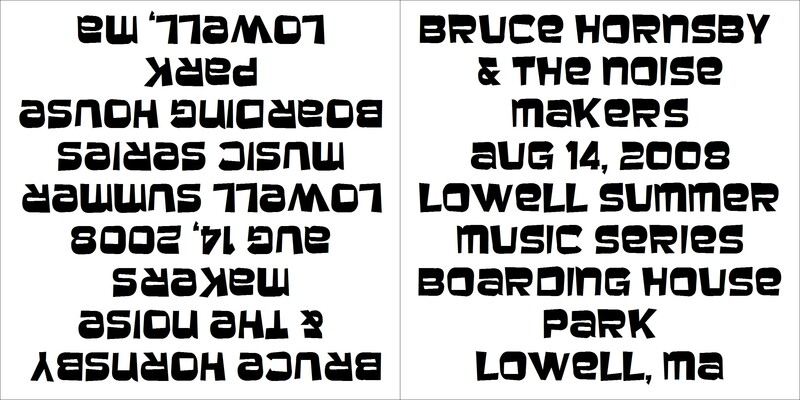 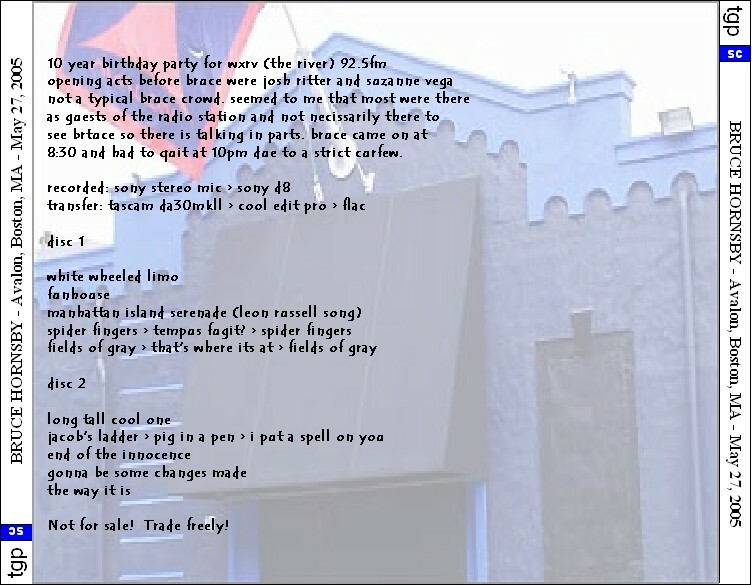 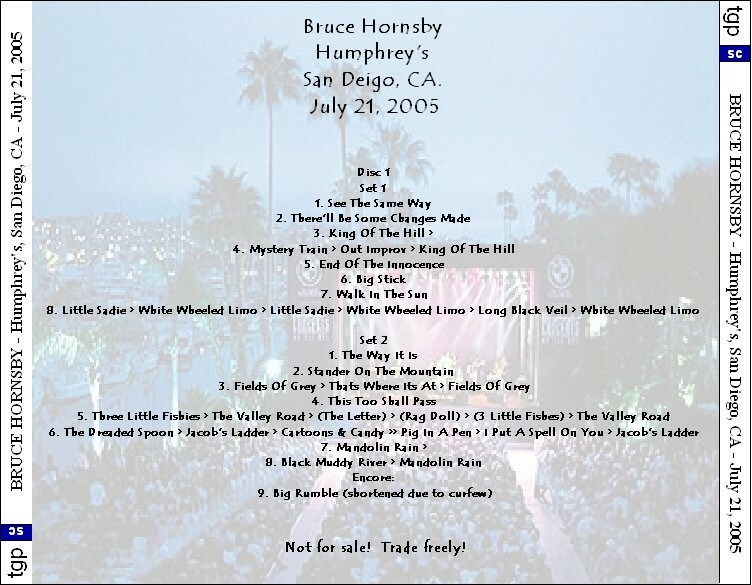 Note: solo show / Cuts out before the end of the encore. 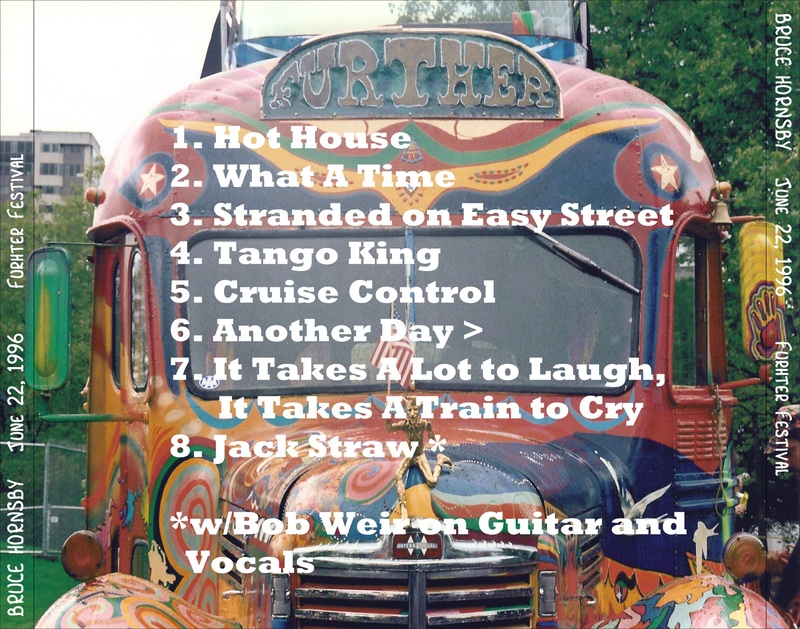 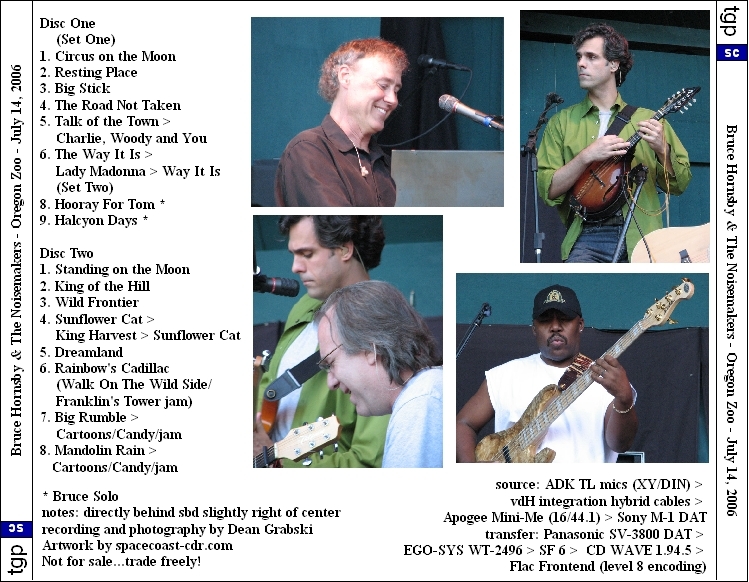 With Bob Weir & Phil Lesh. 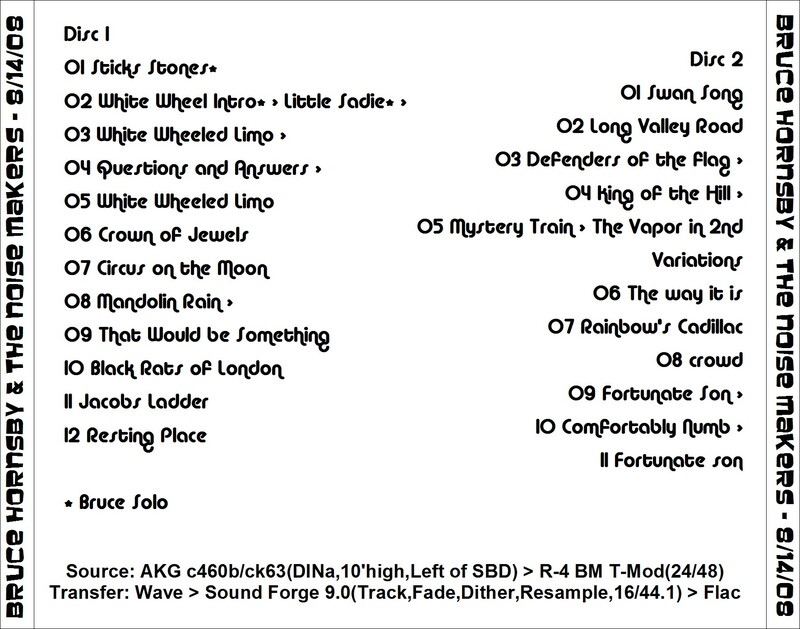 Note: audience edited out between tracks. 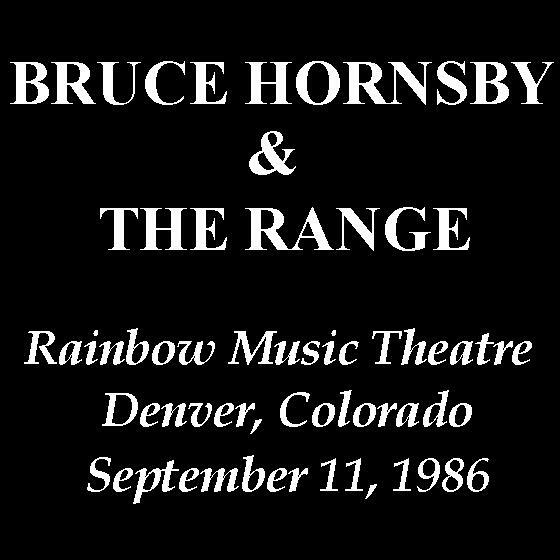 Bruce took part in earlier that day. 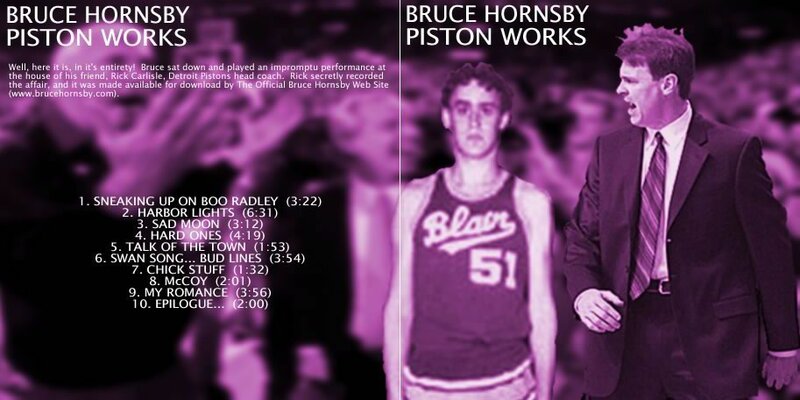 Detroit Piston's head coach. 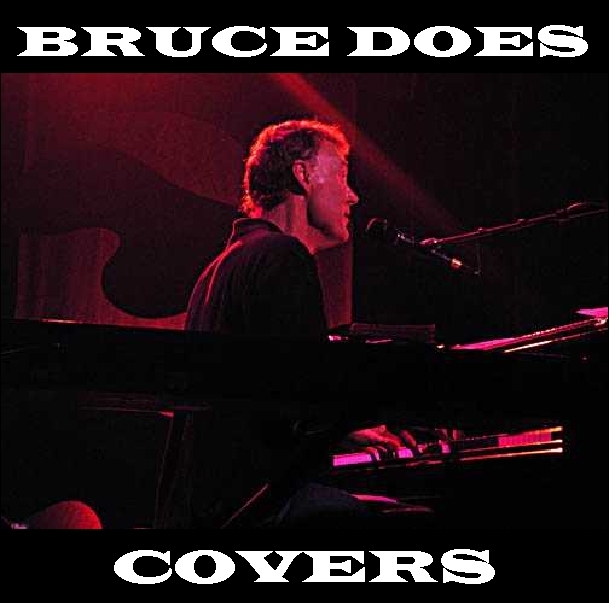 Bruce didn't know that Rick was recording. 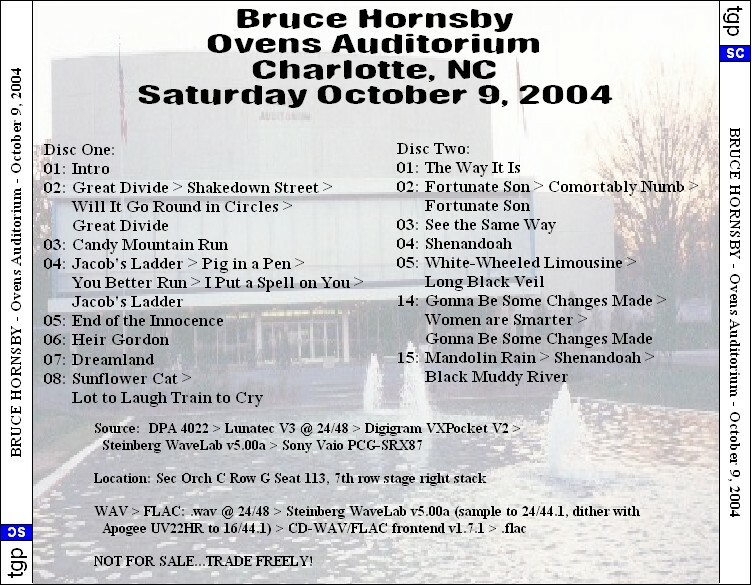 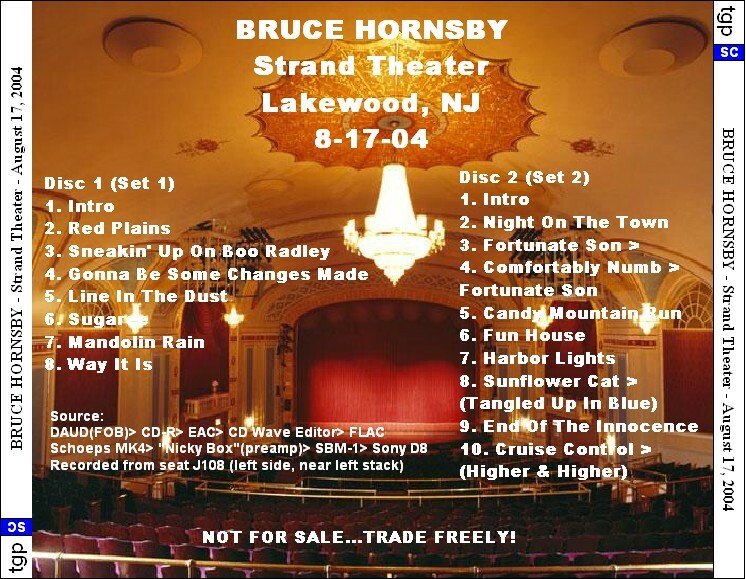 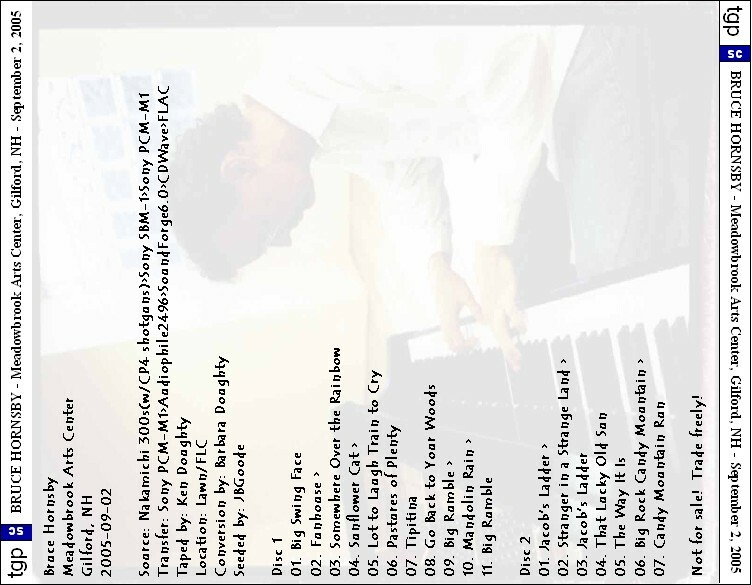 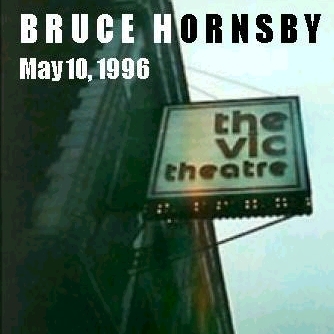 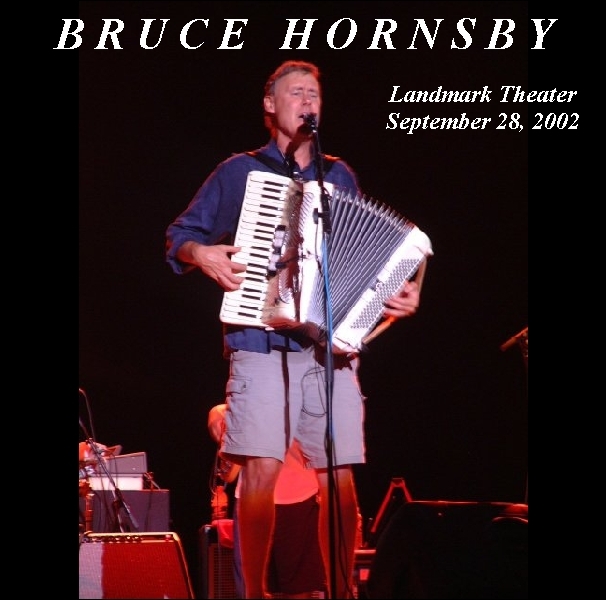 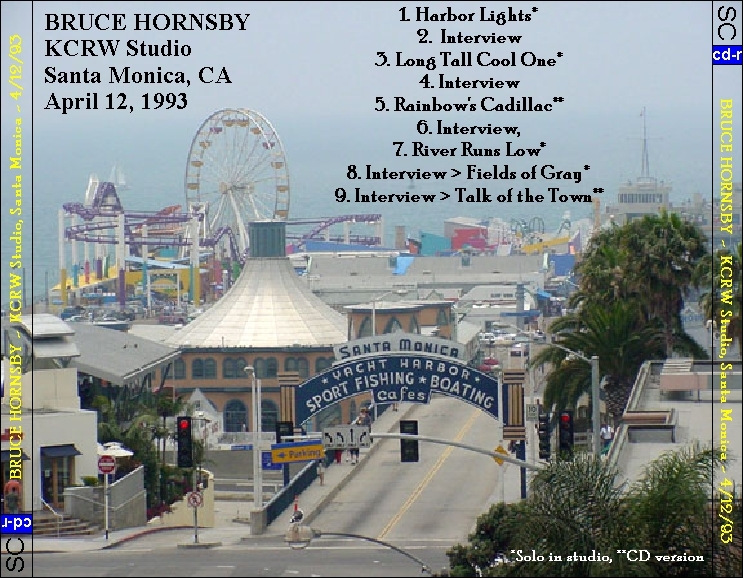 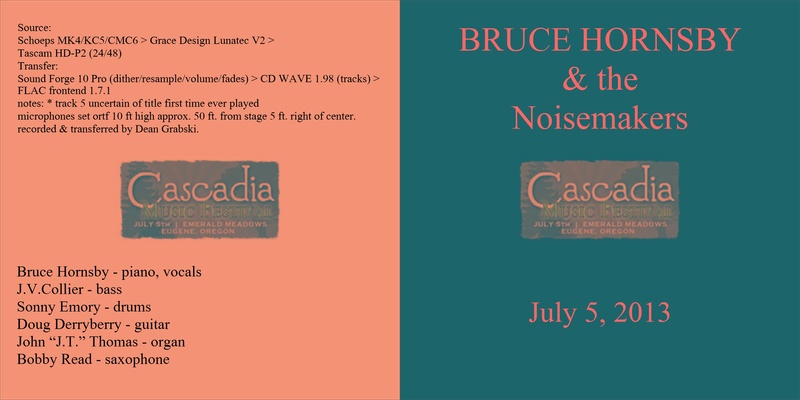 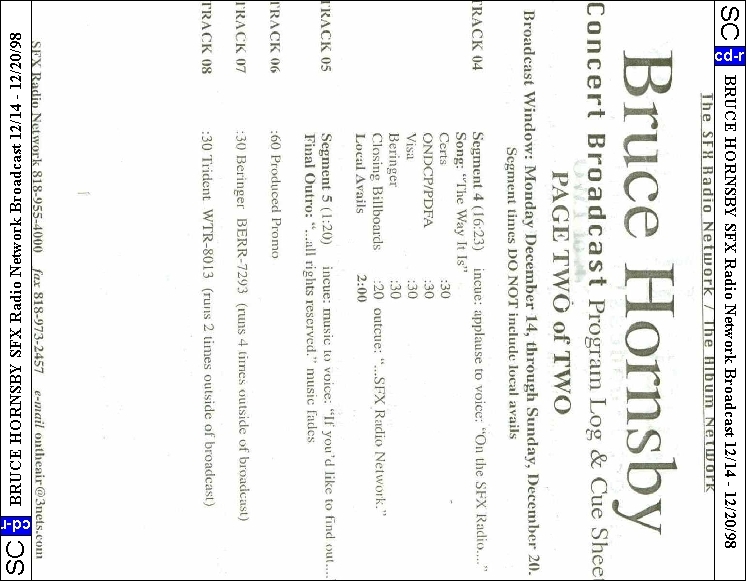 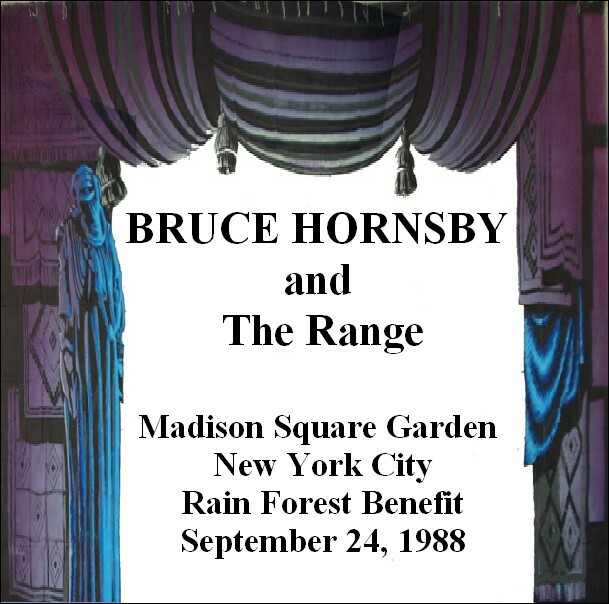 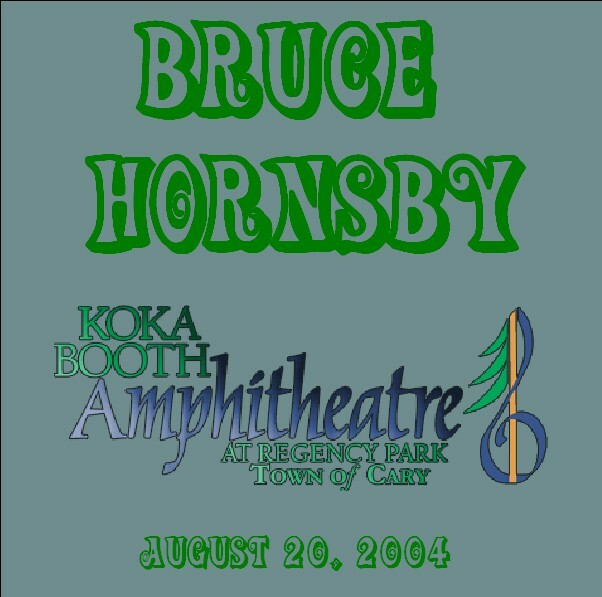 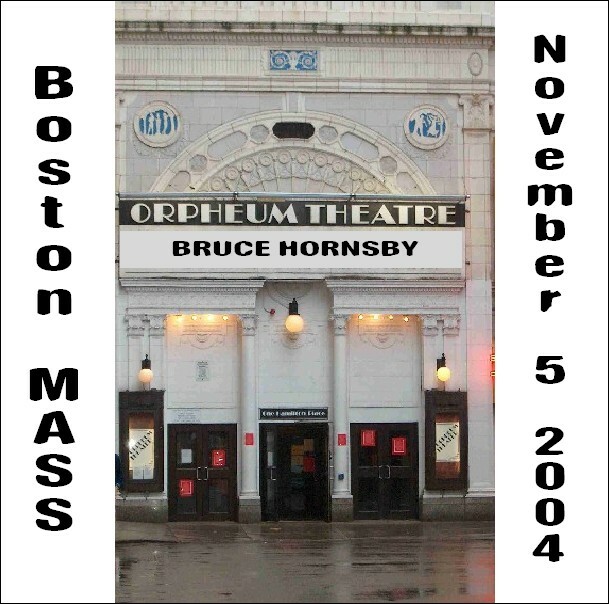 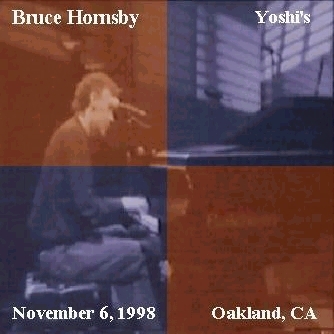 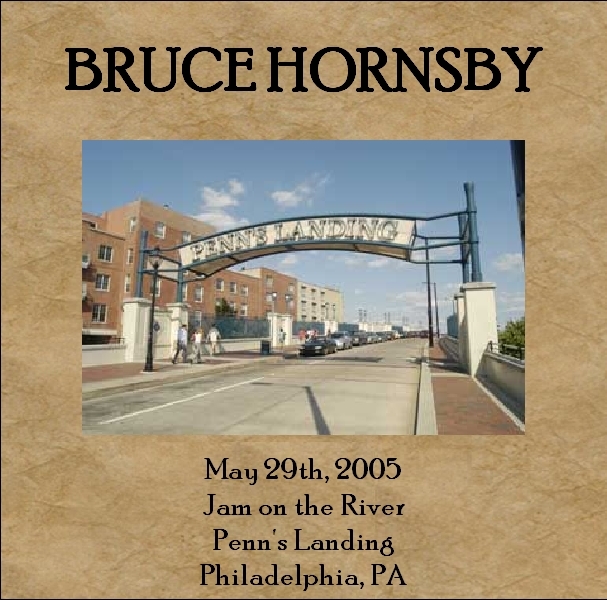 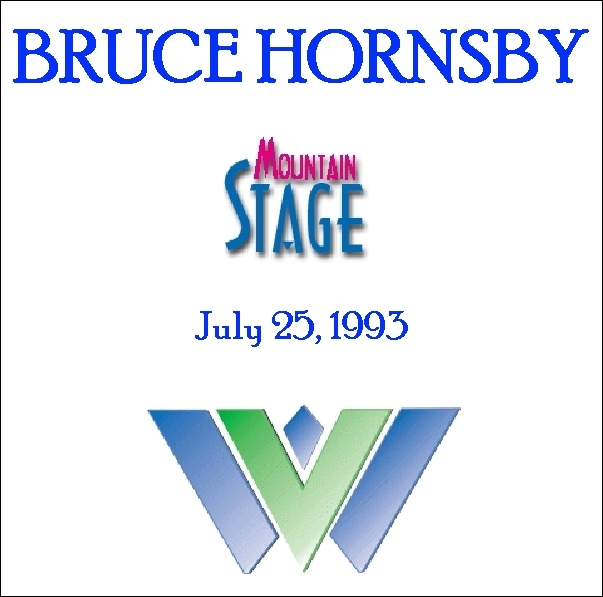 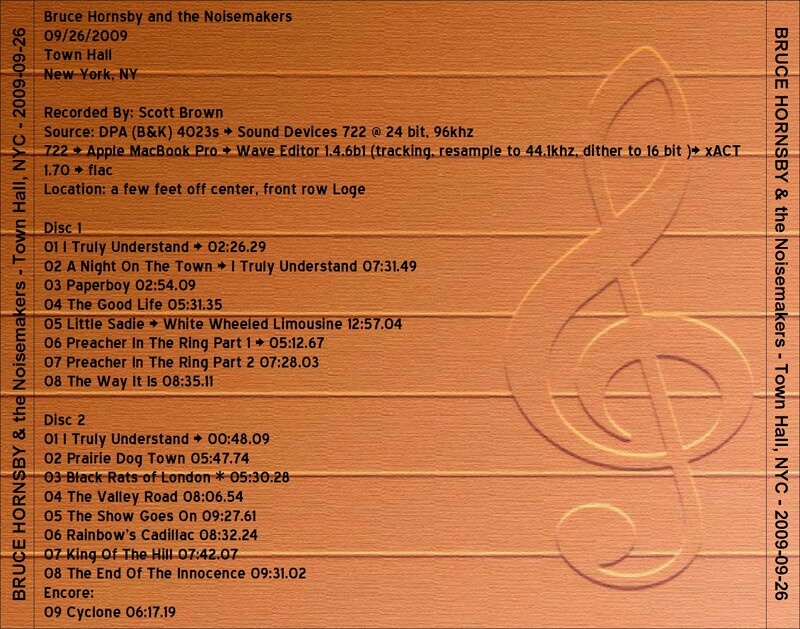 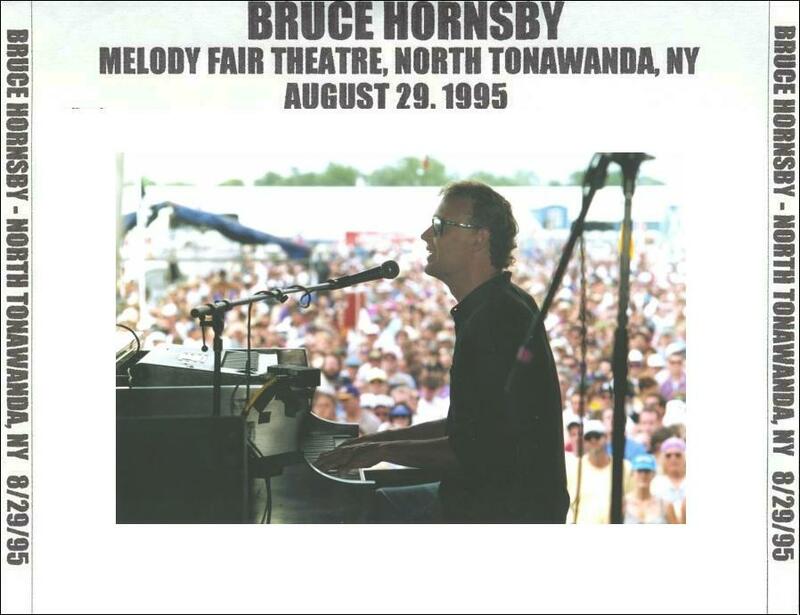 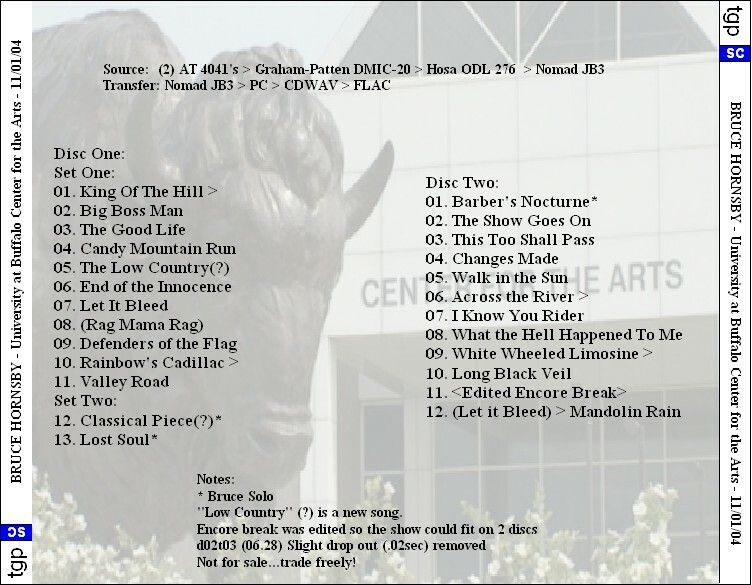 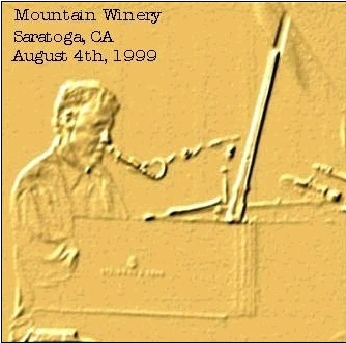 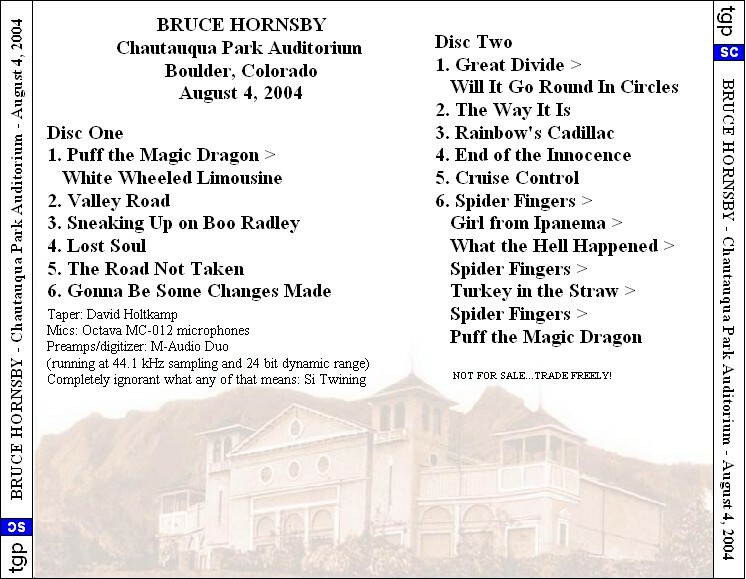 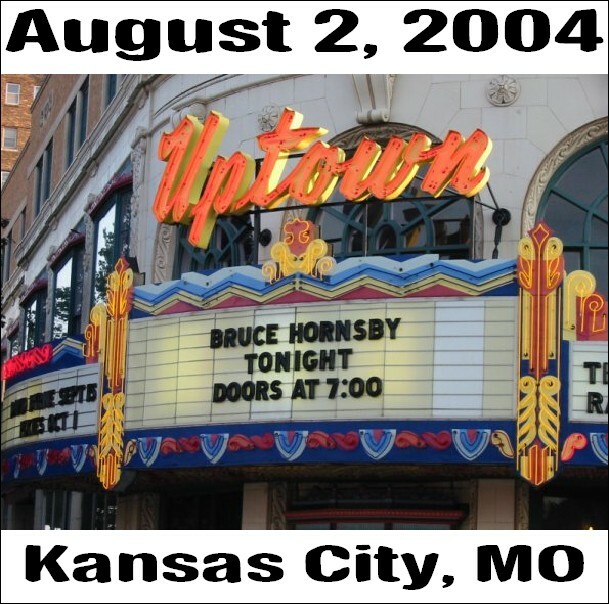 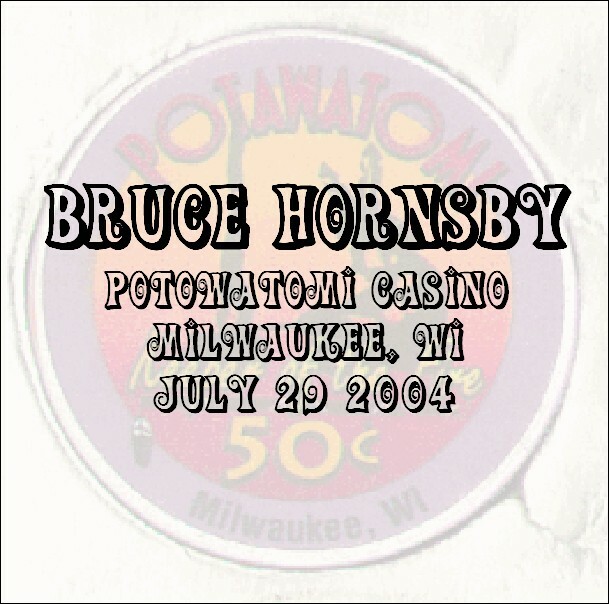 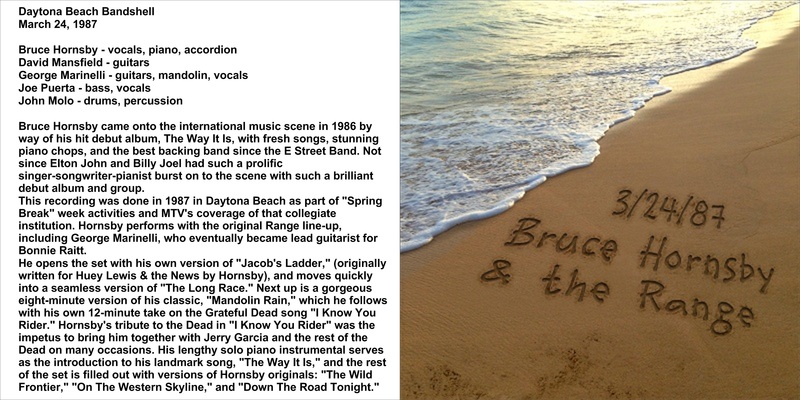 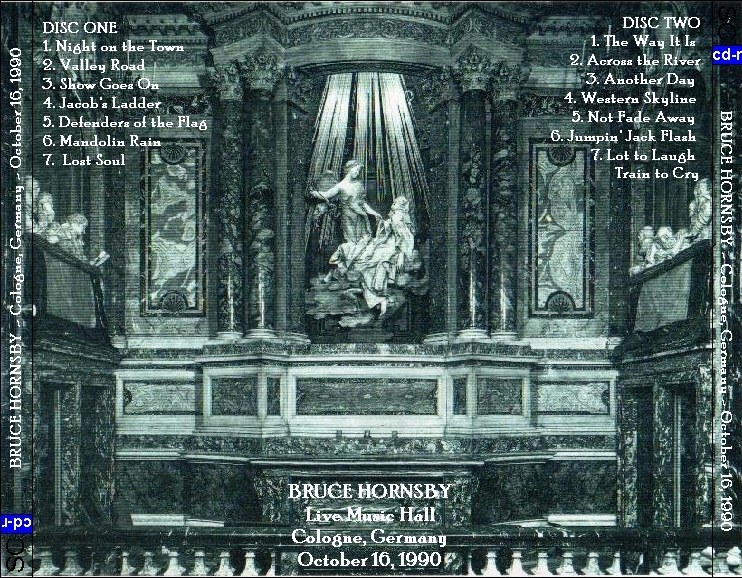 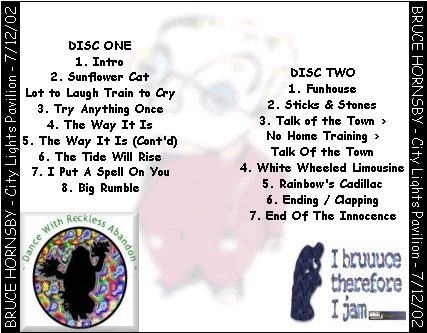 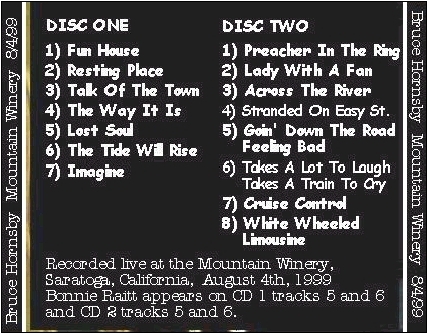 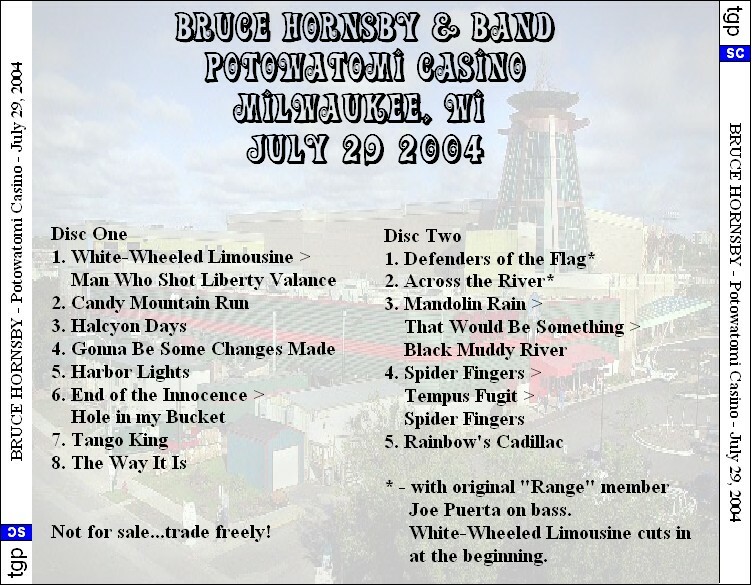 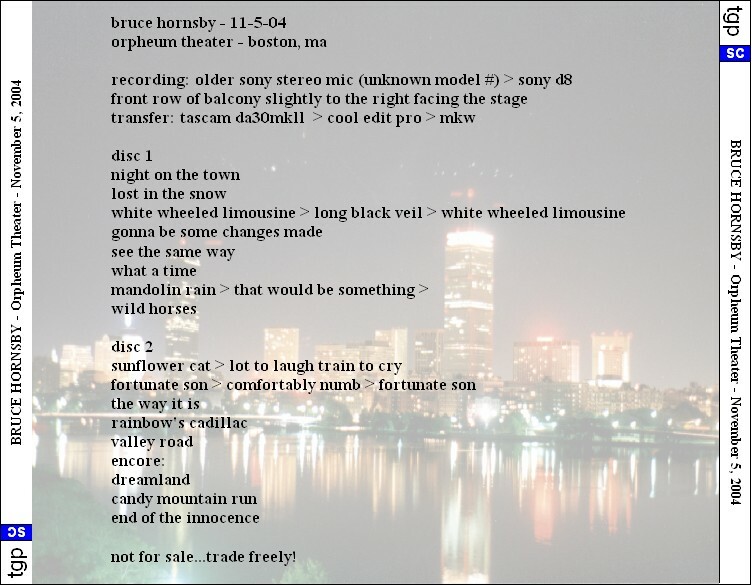 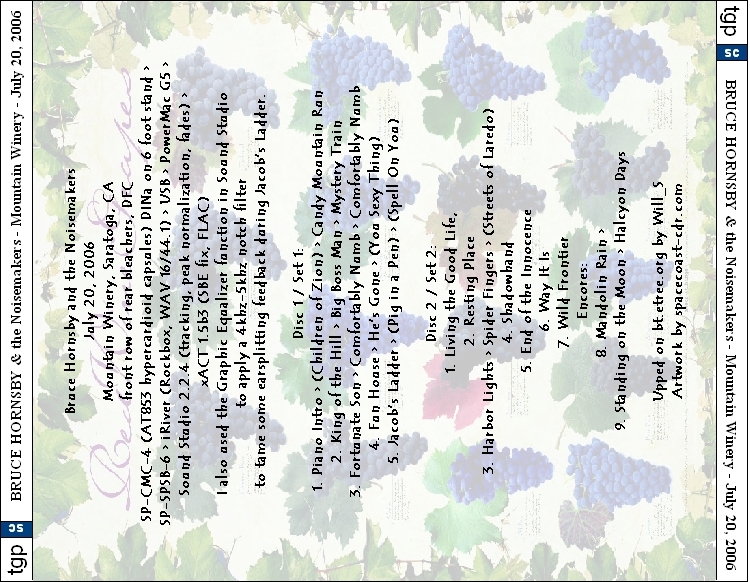 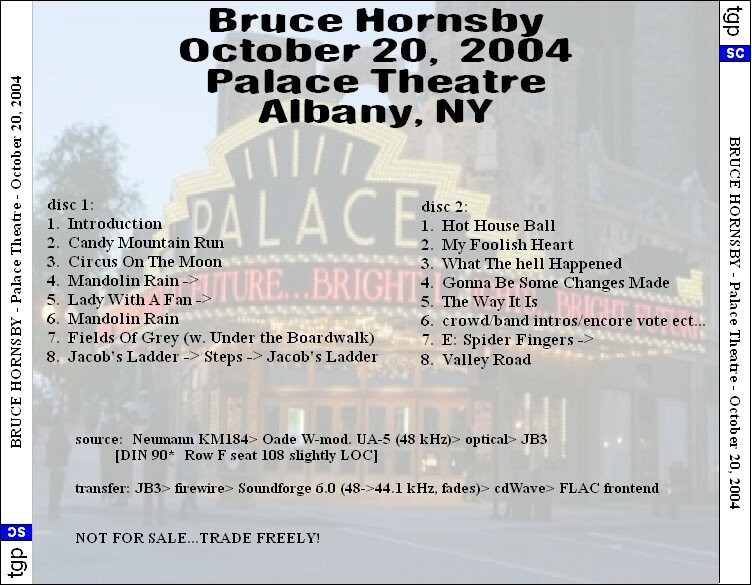 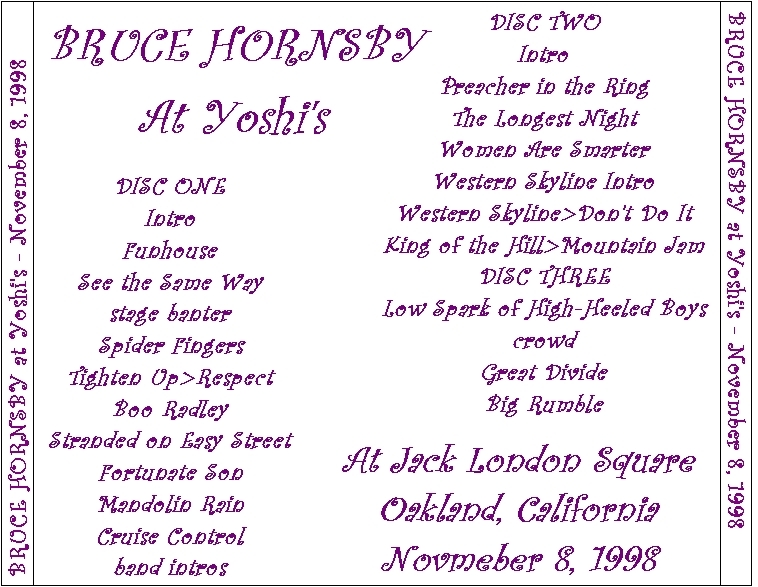 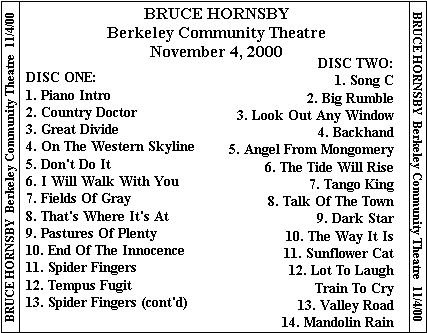 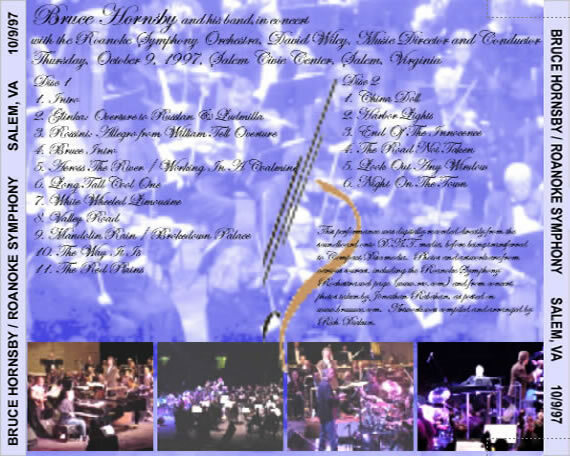 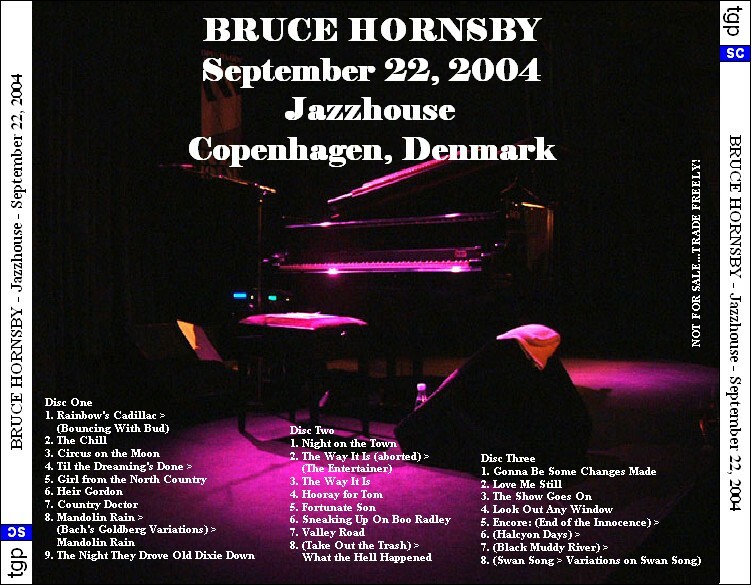 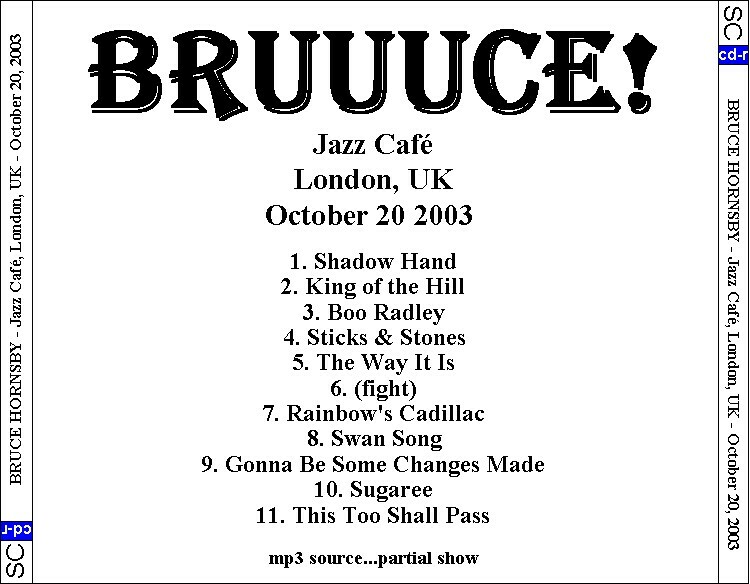 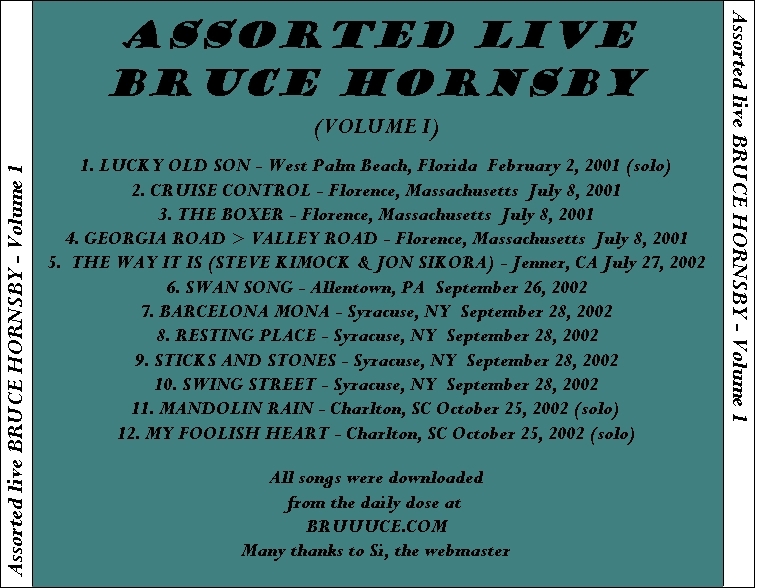 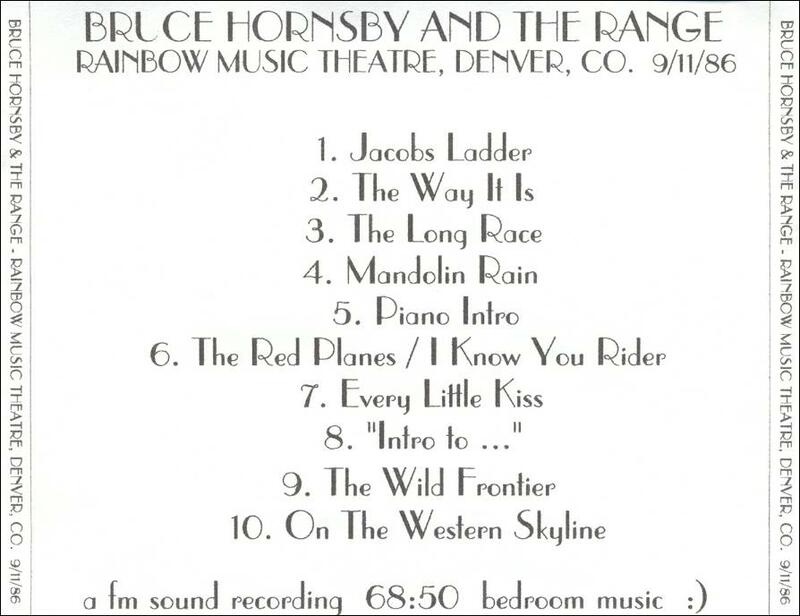 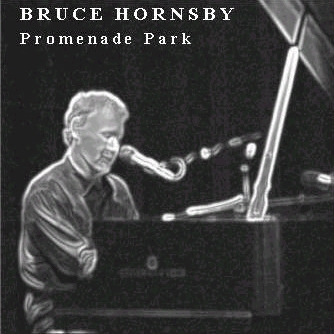 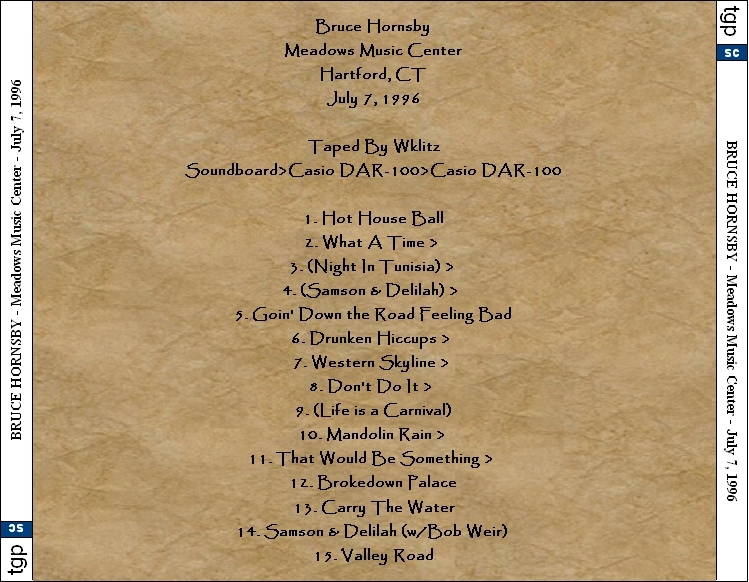 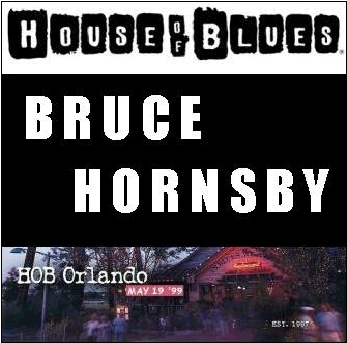 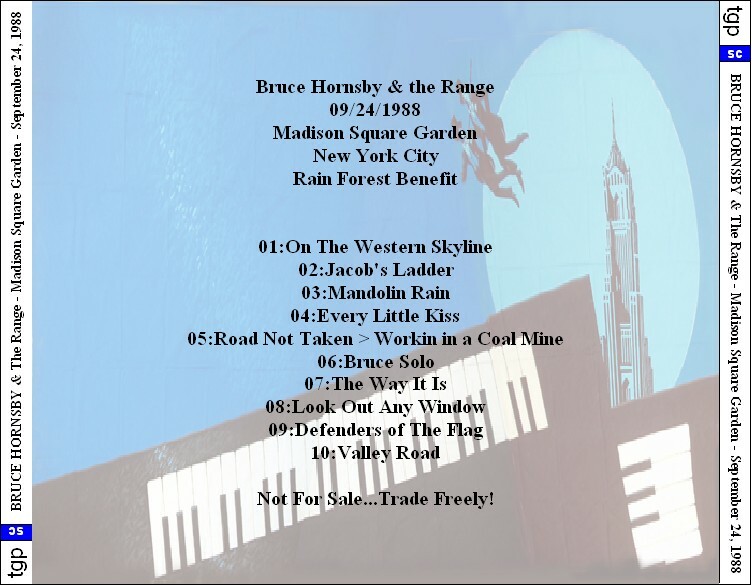 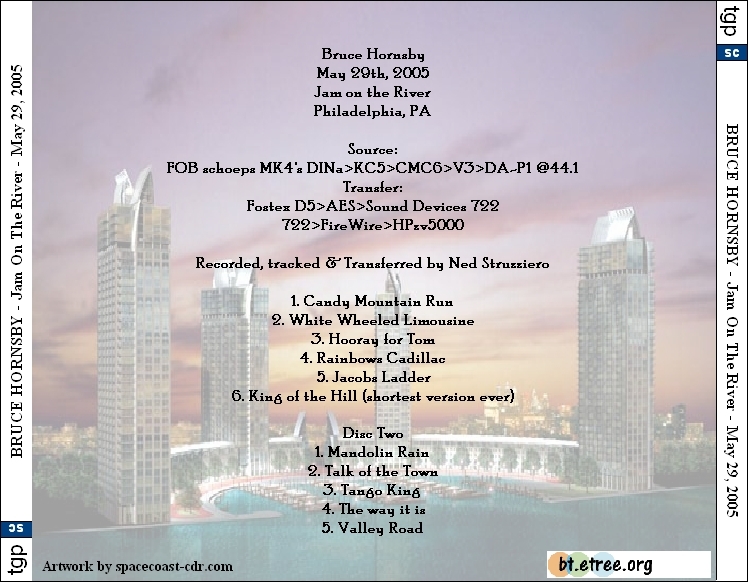 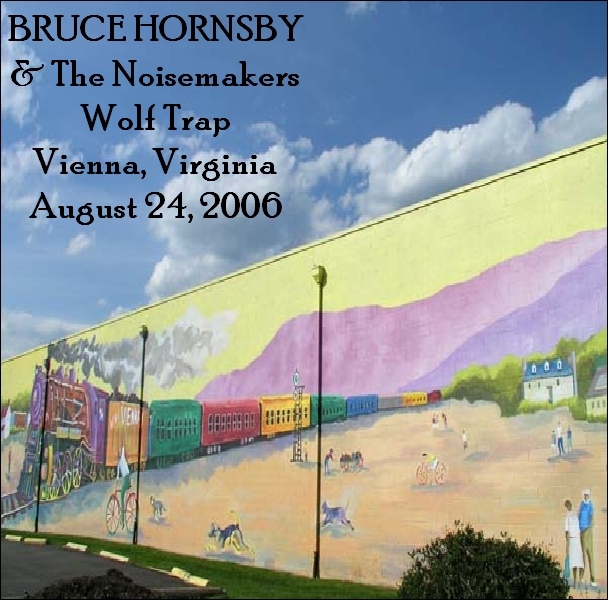 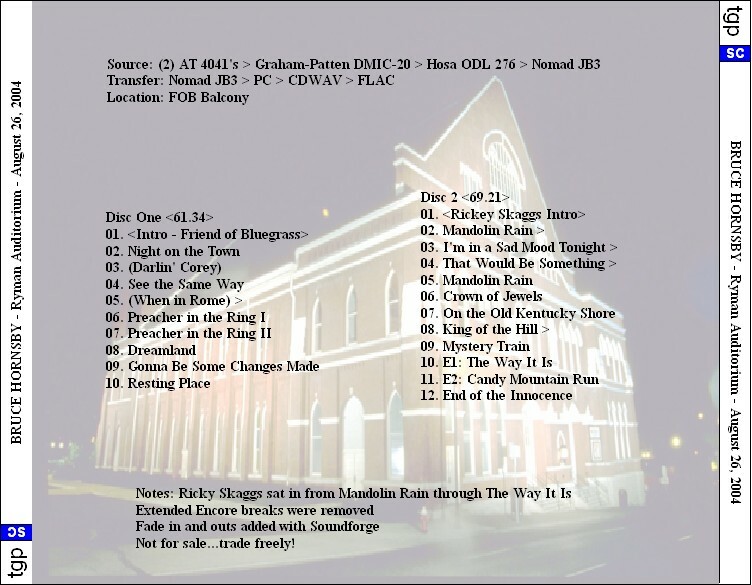 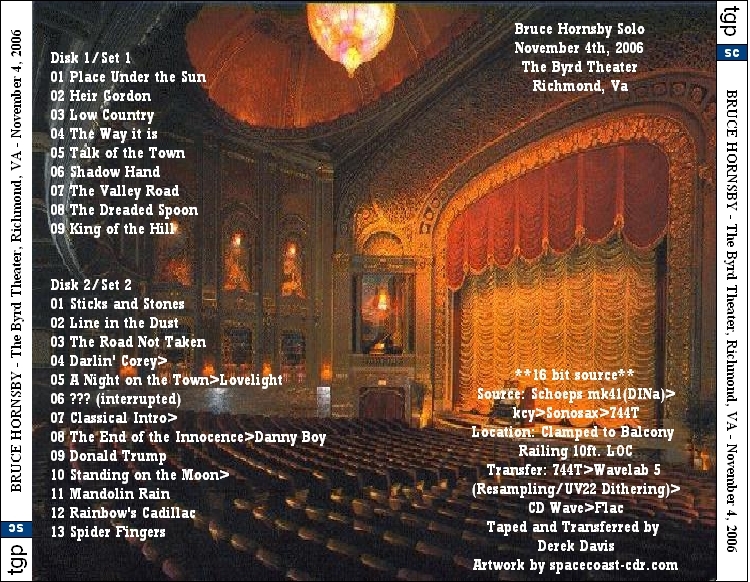 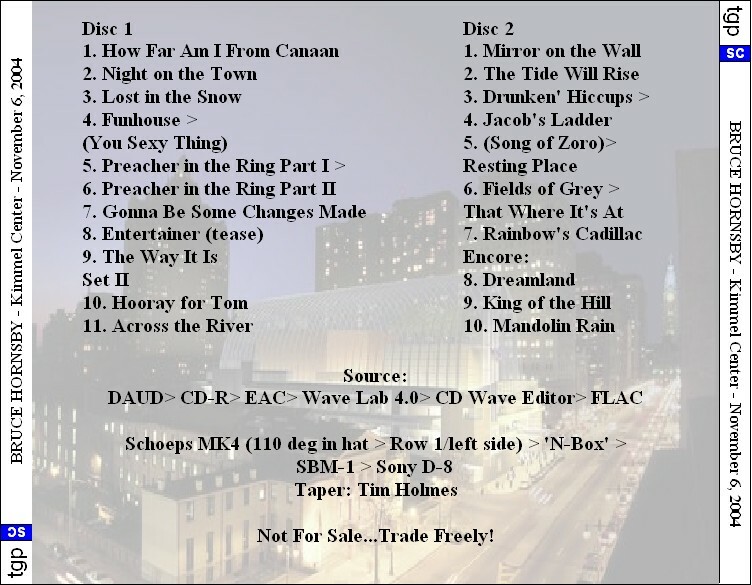 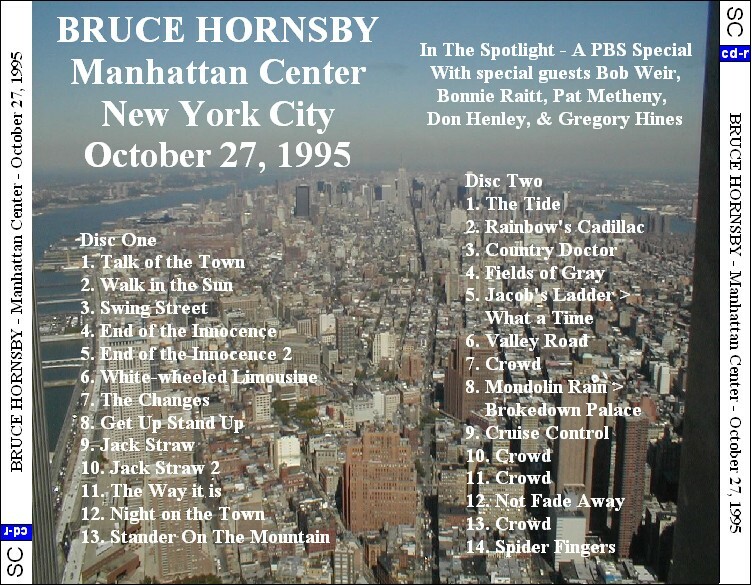 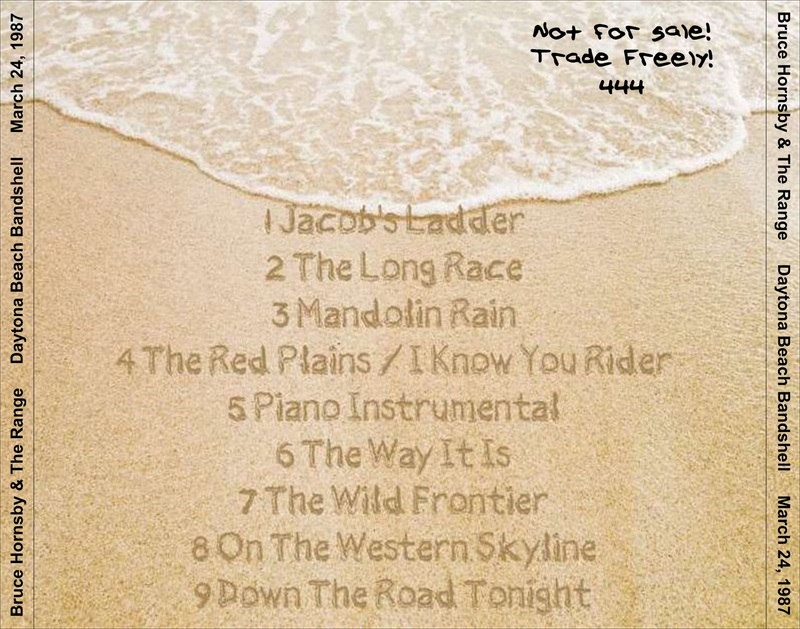 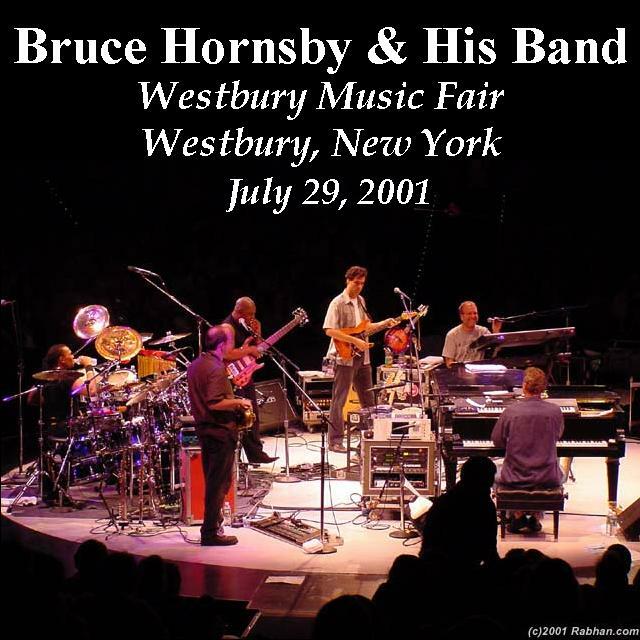 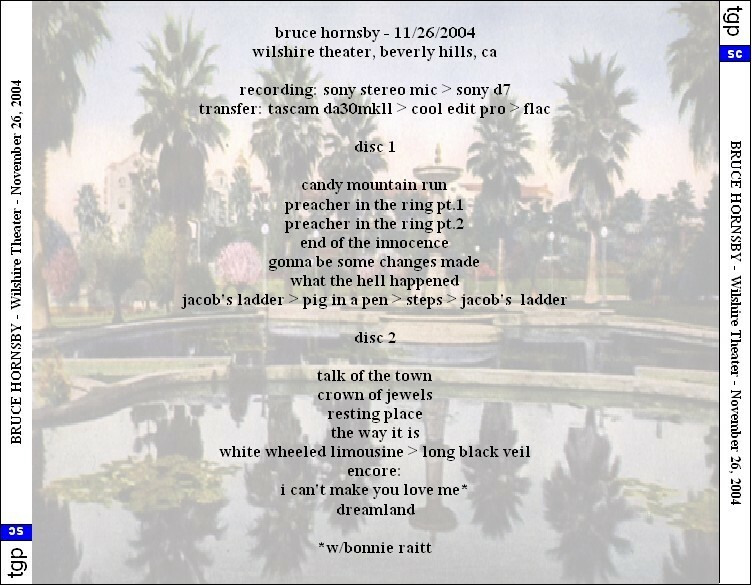 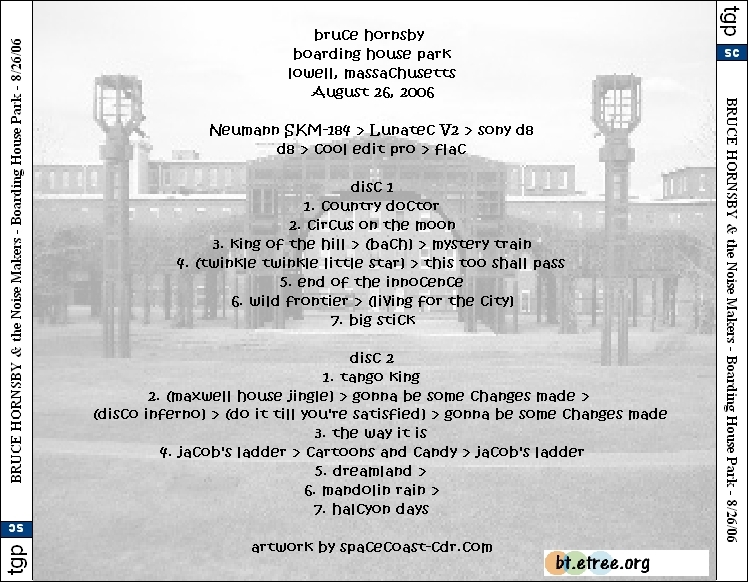 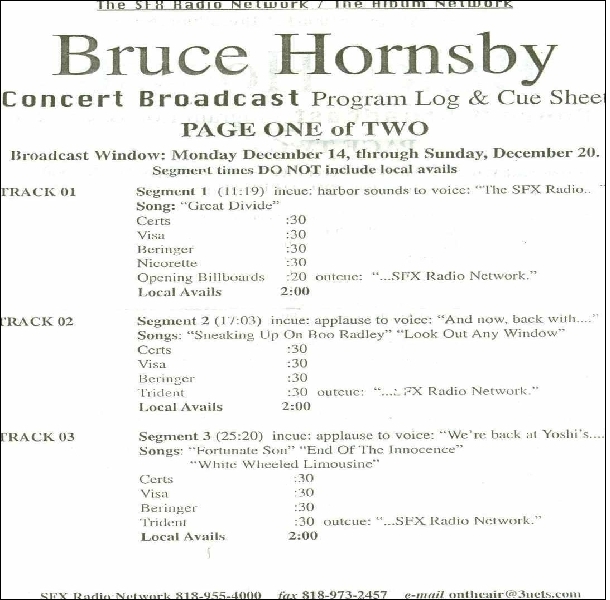 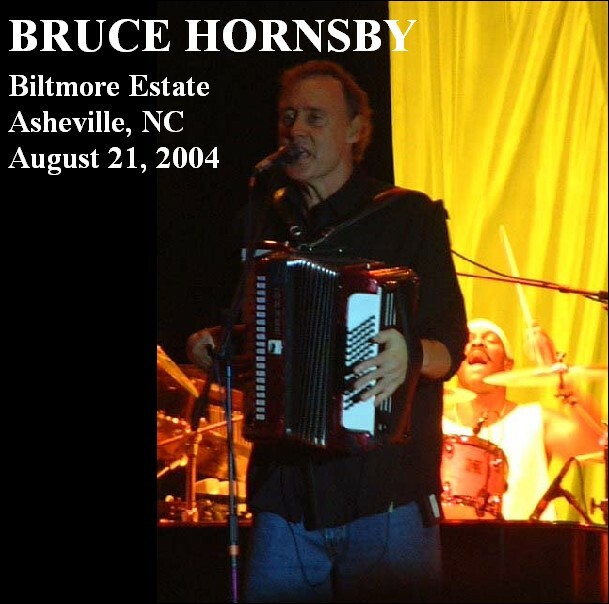 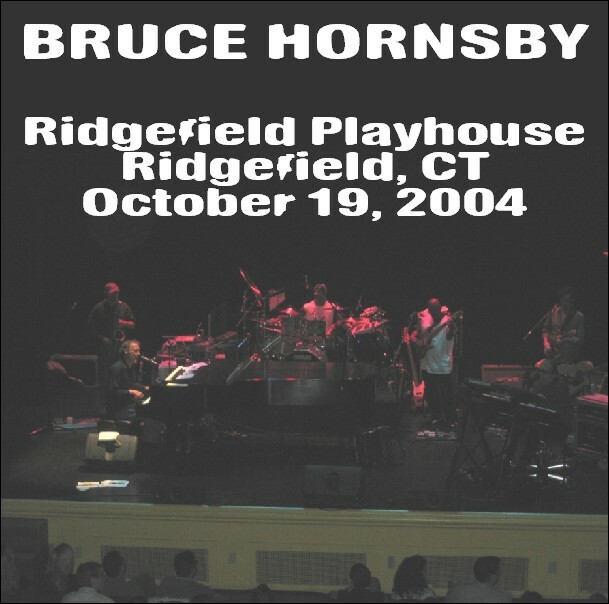 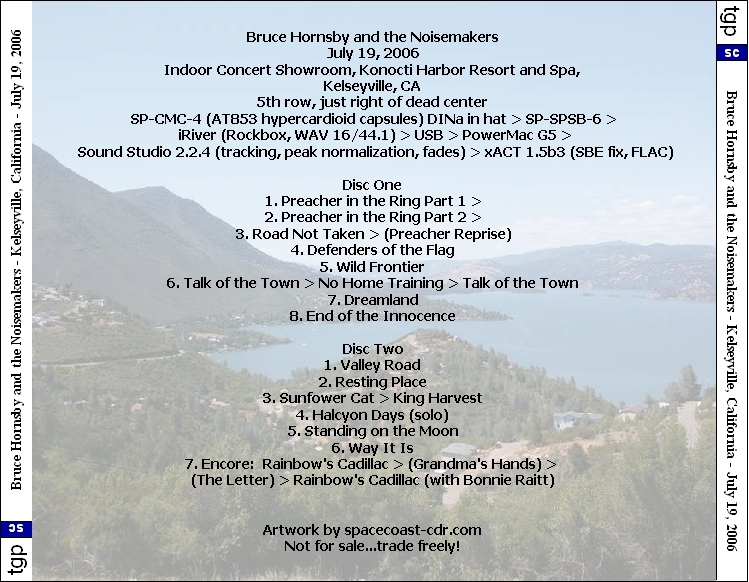 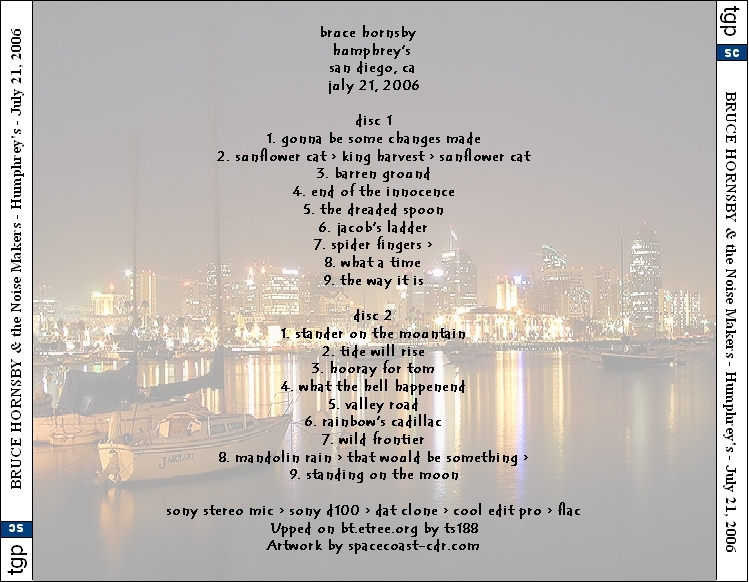 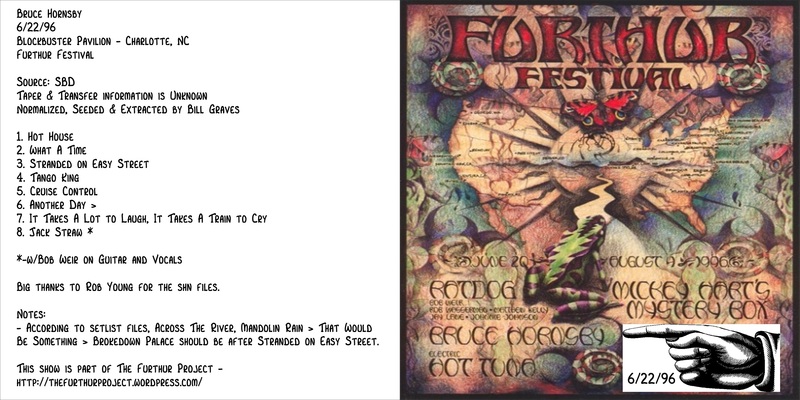 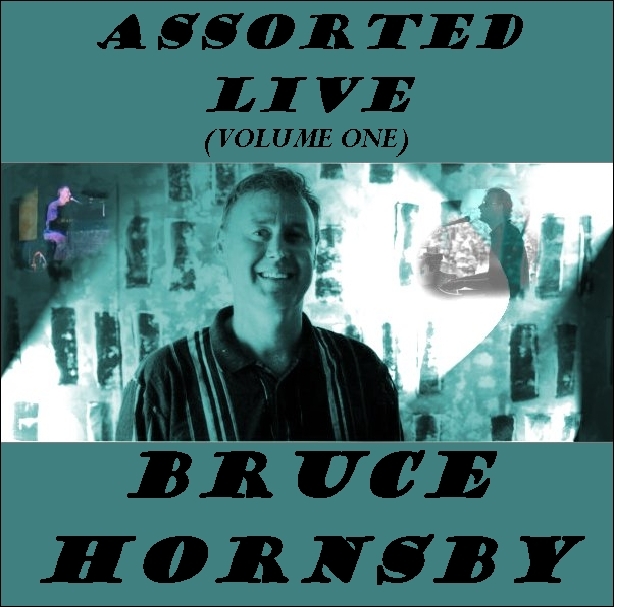 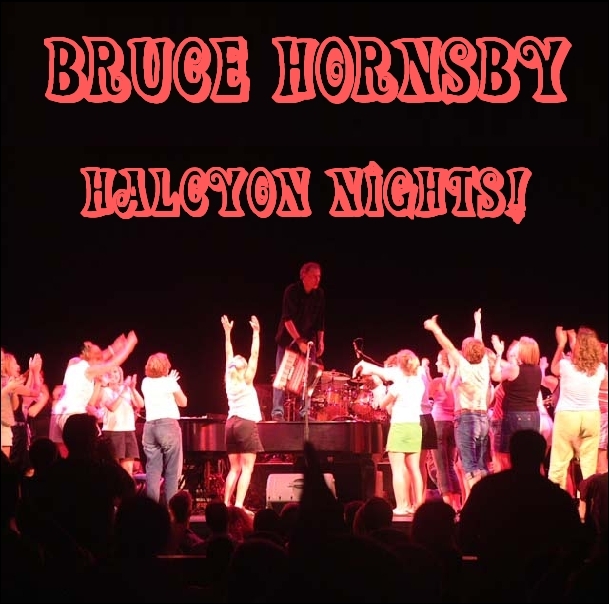 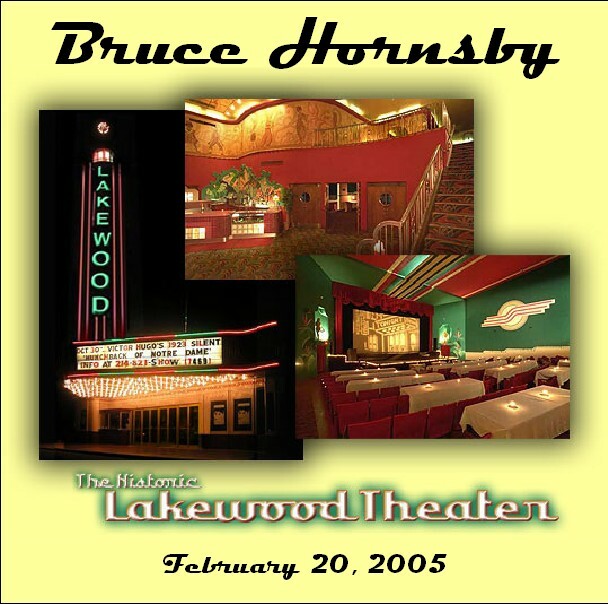 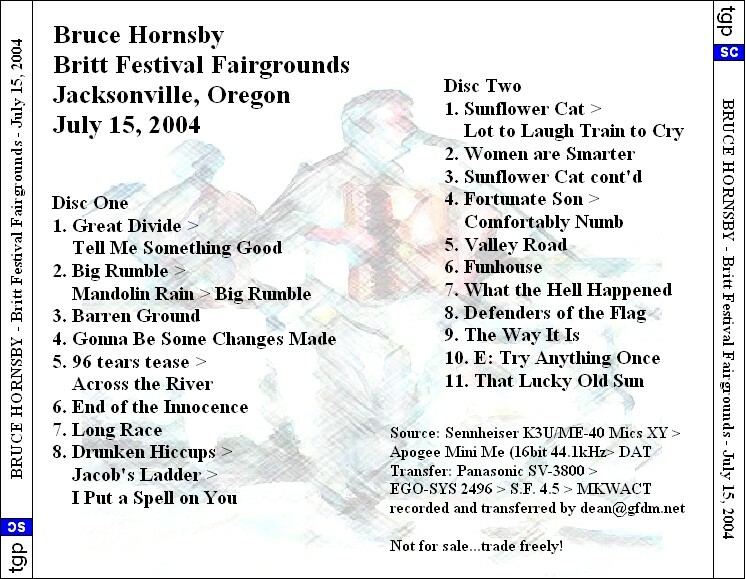 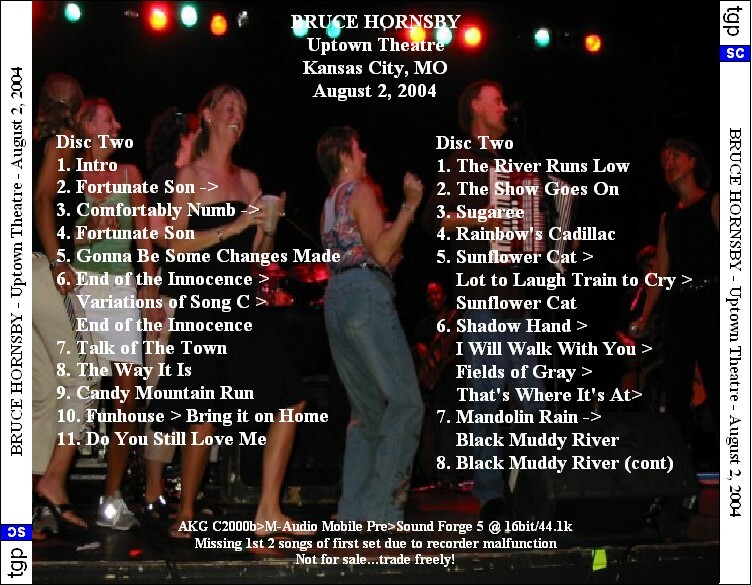 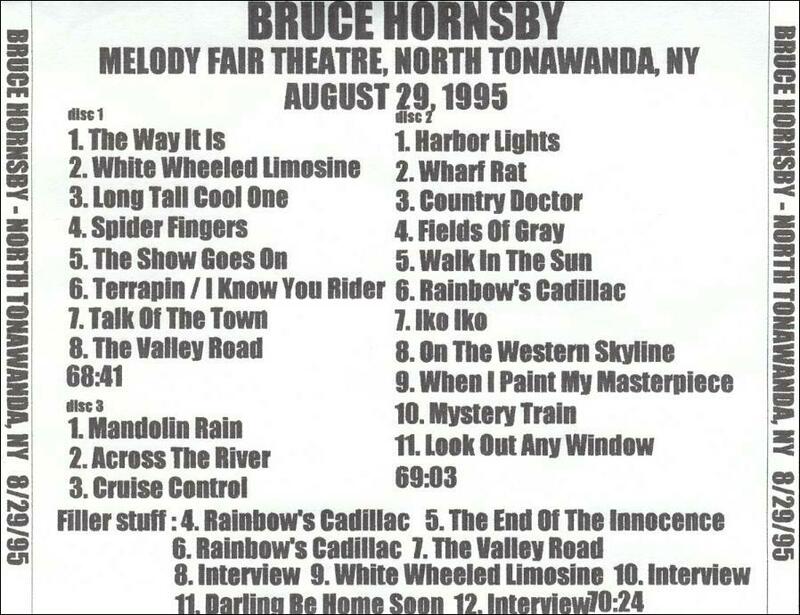 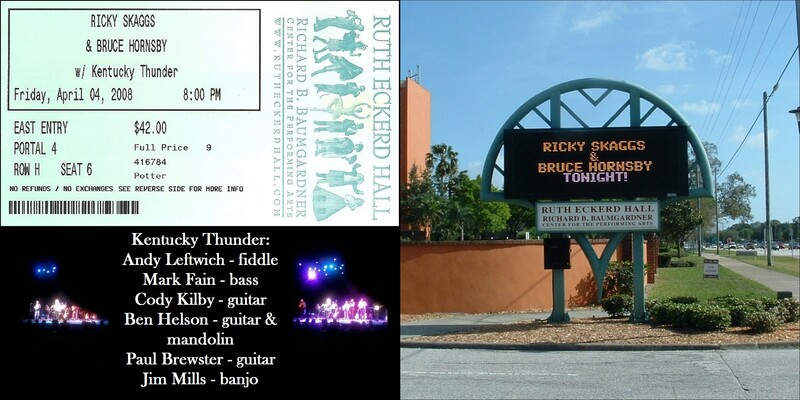 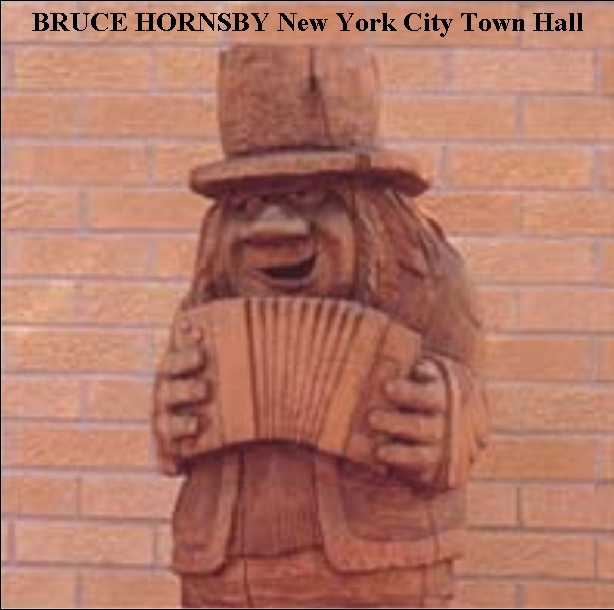 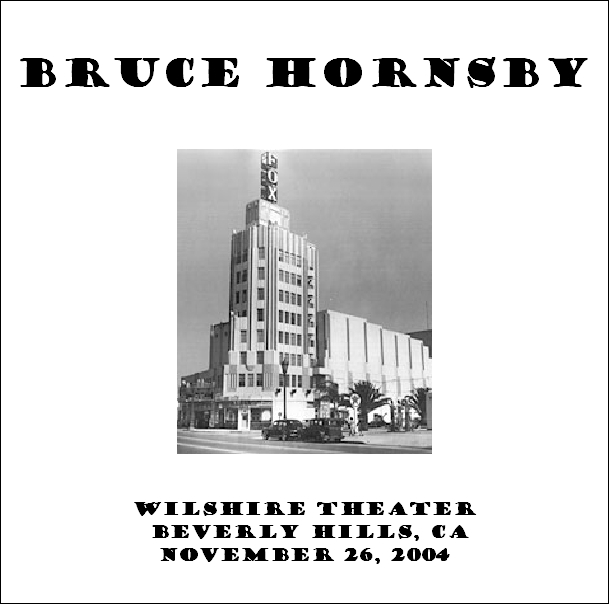 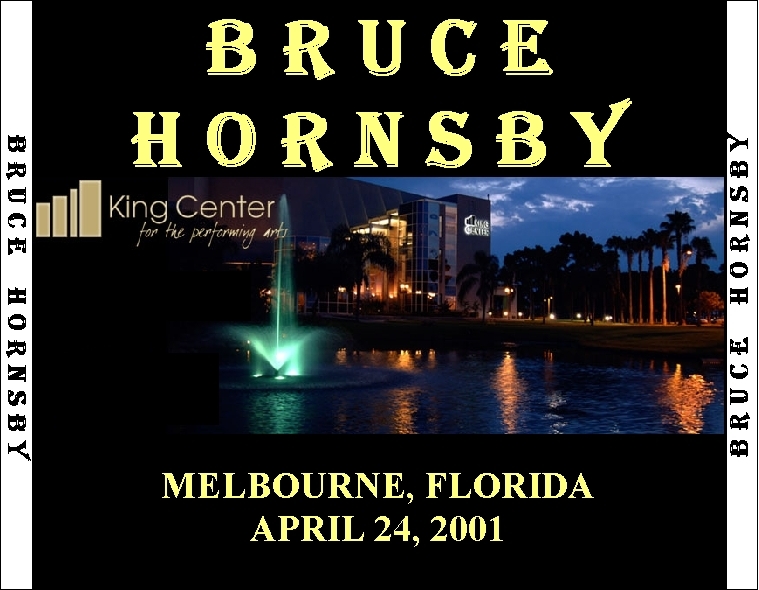 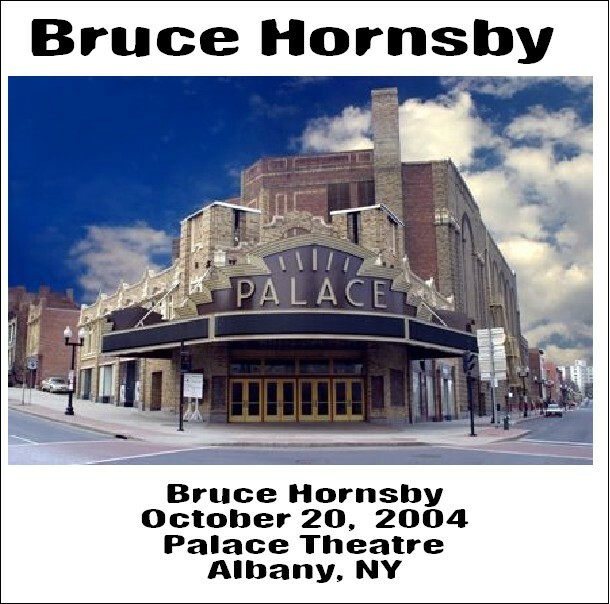 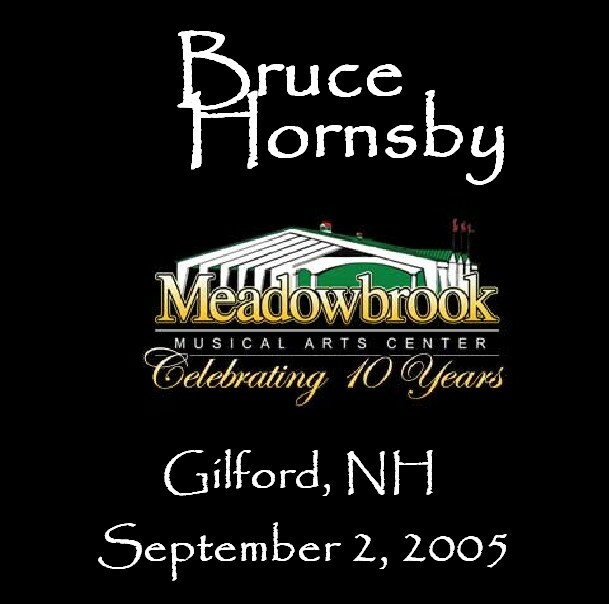 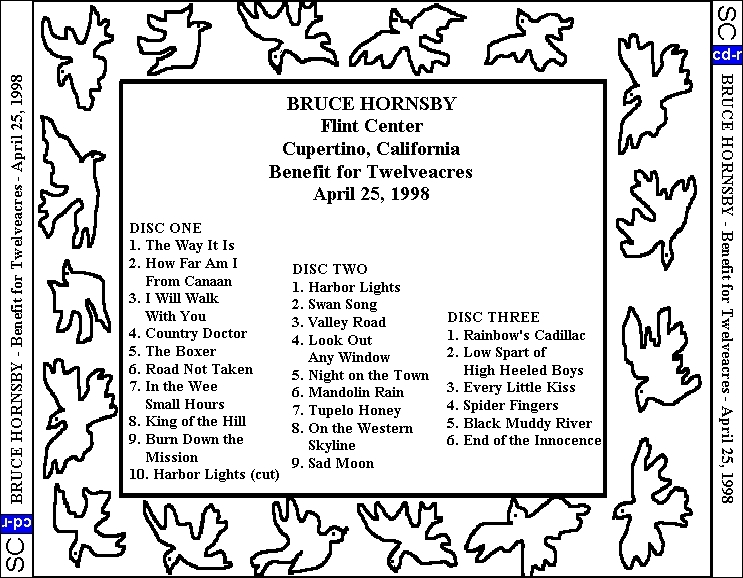 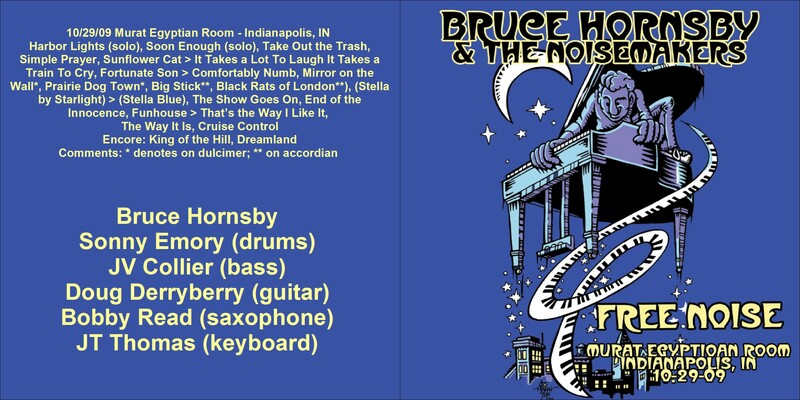 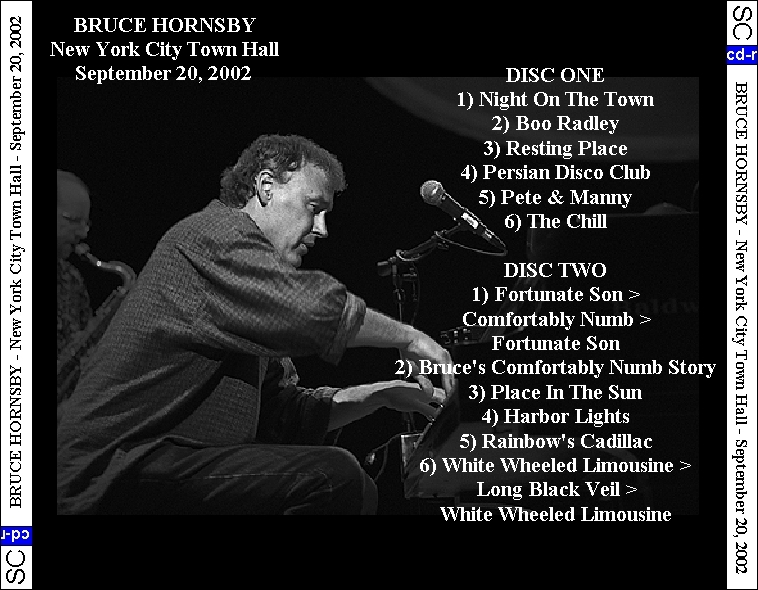 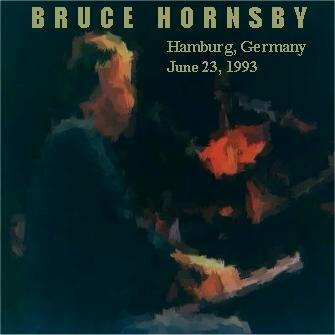 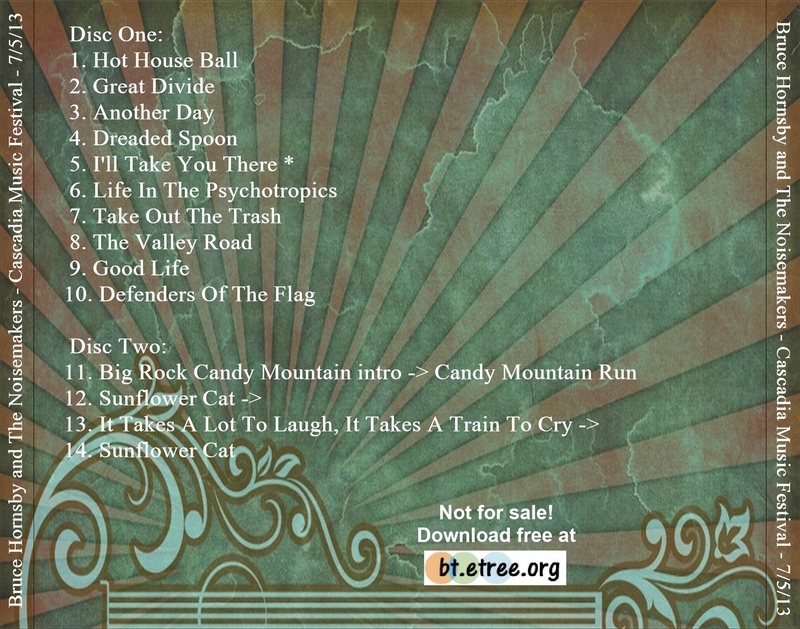 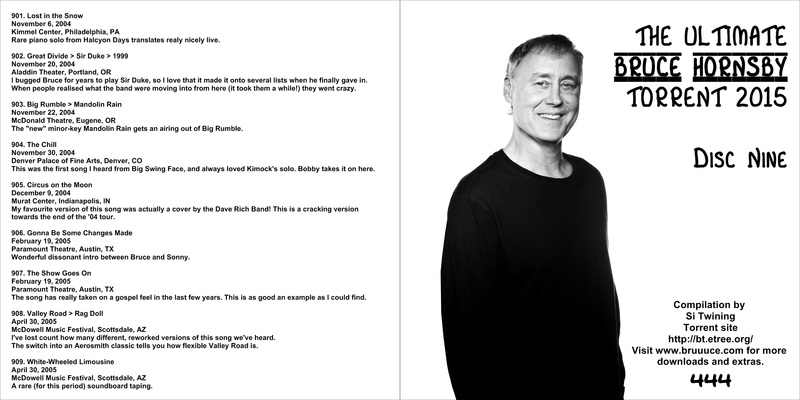 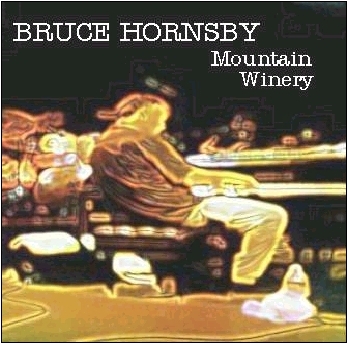 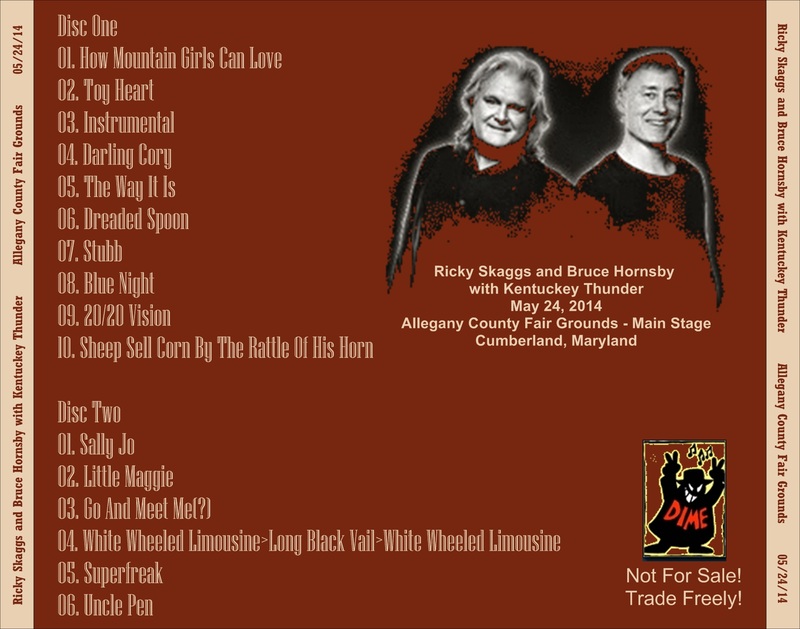 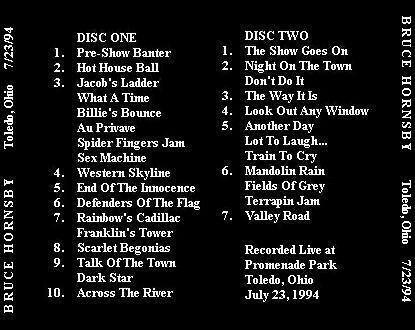 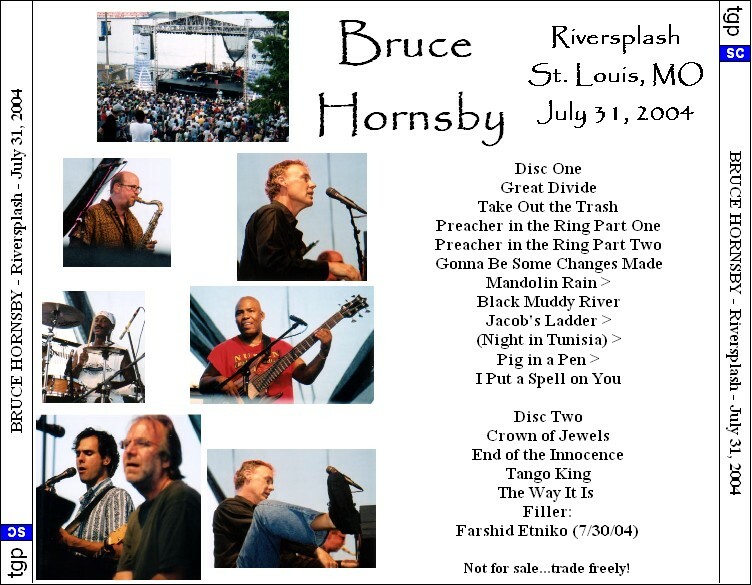 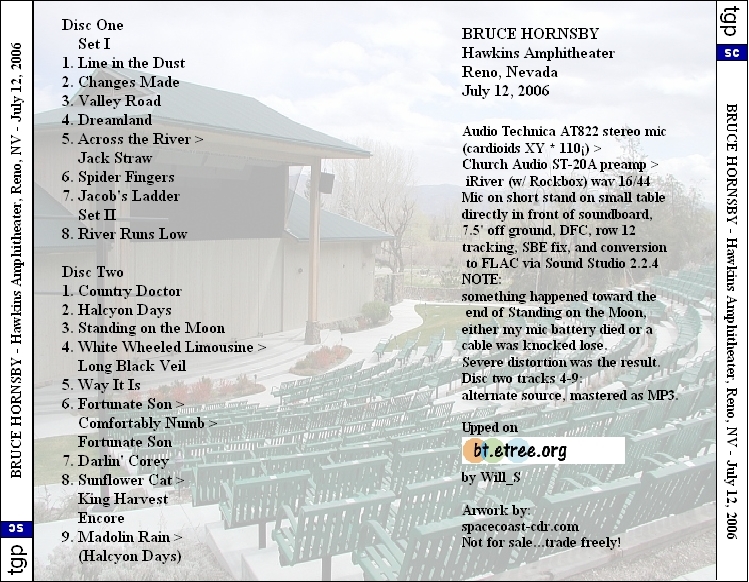 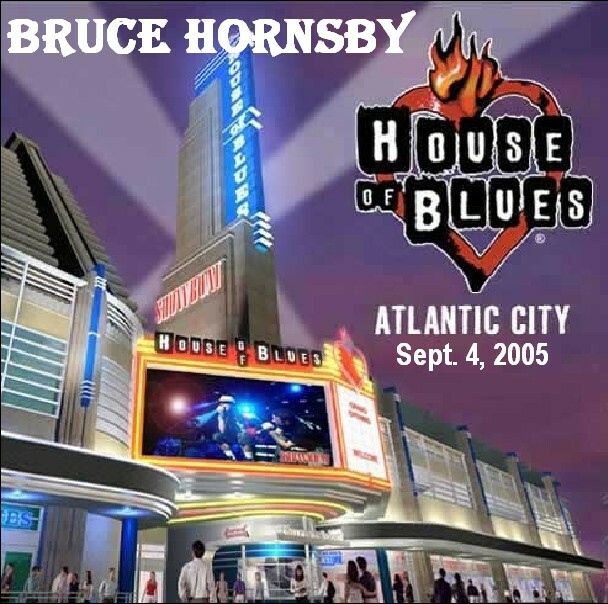 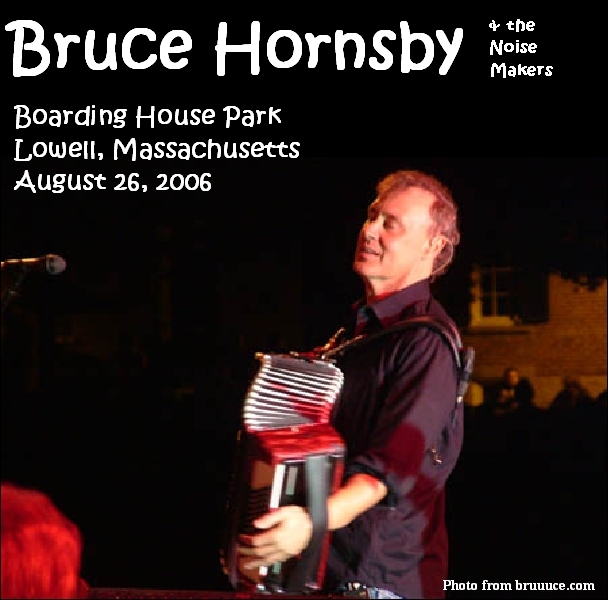 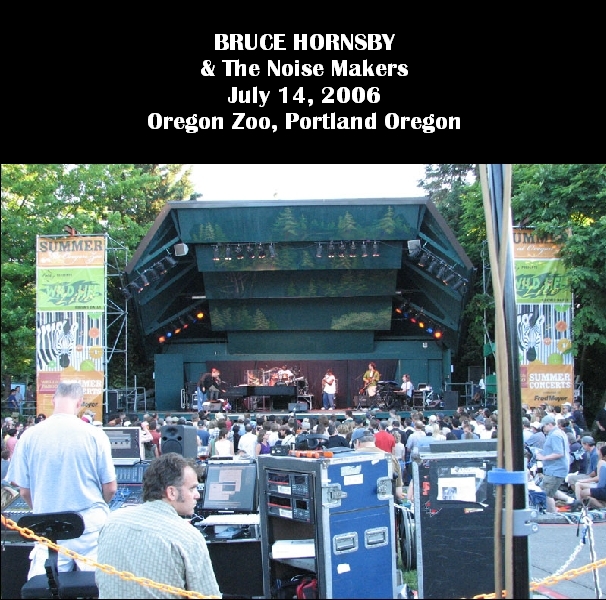 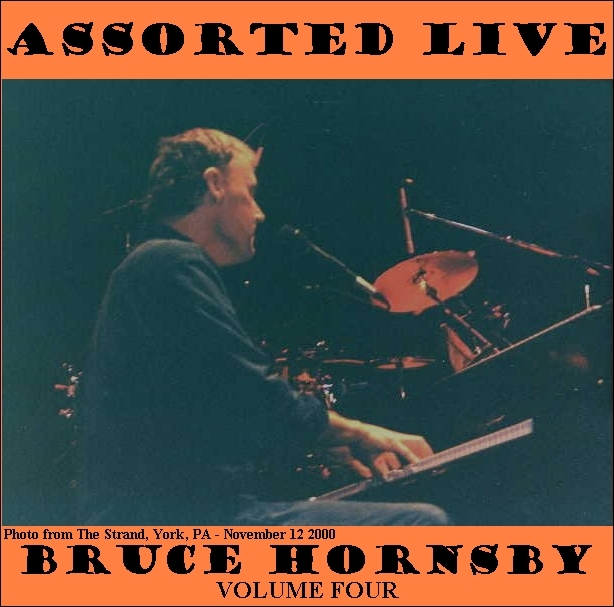 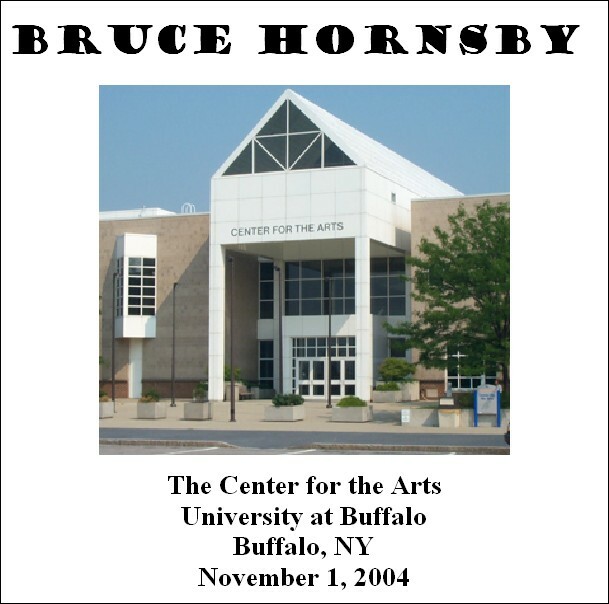 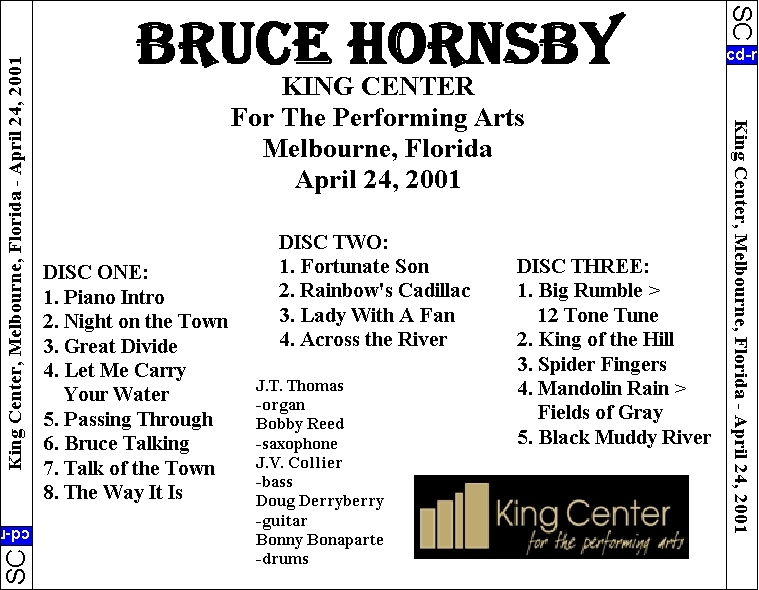 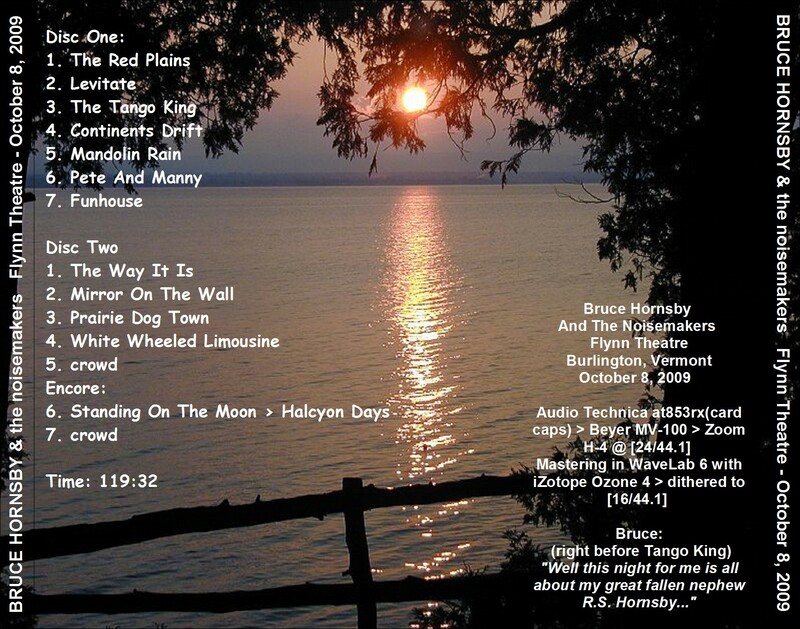 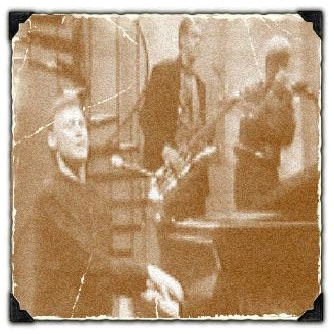 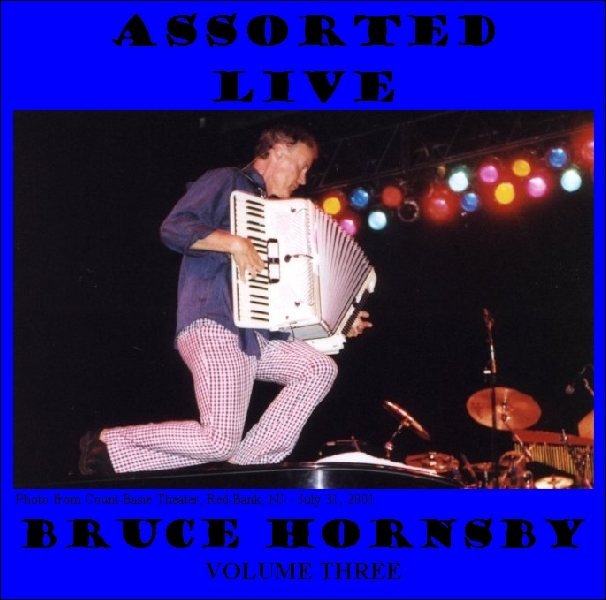 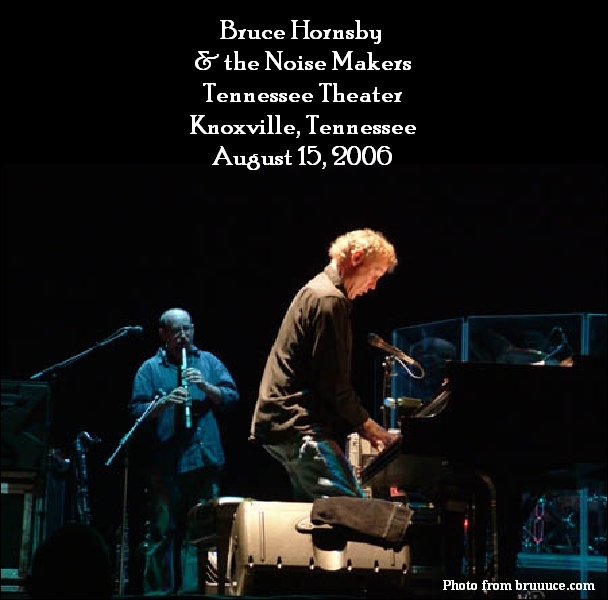 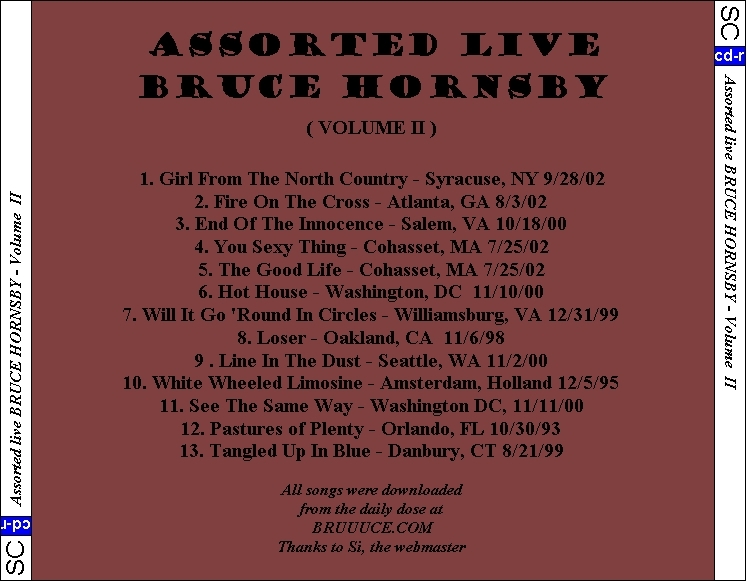 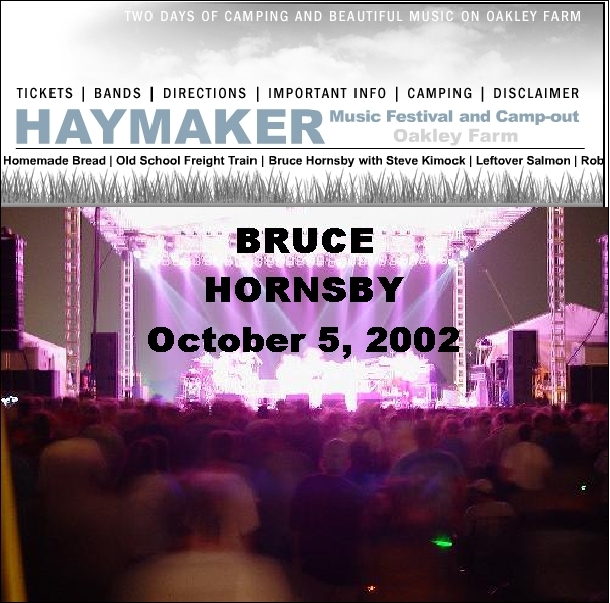 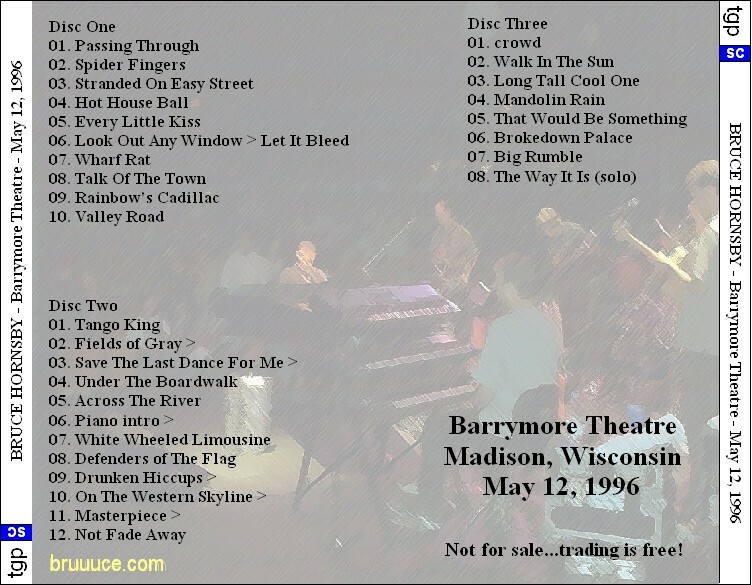 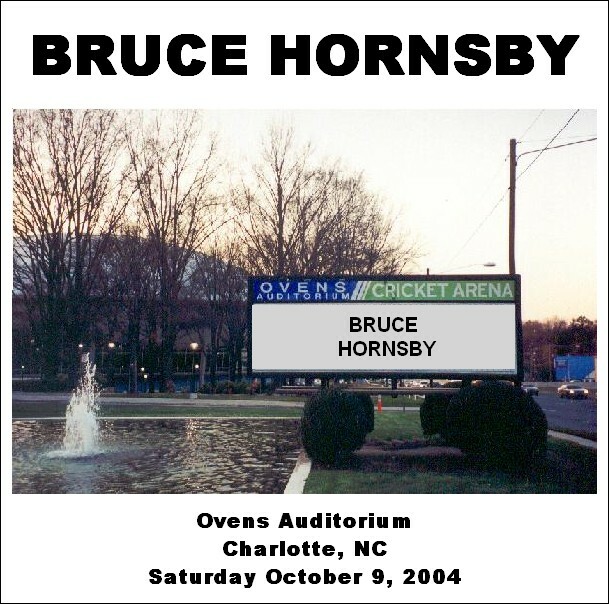 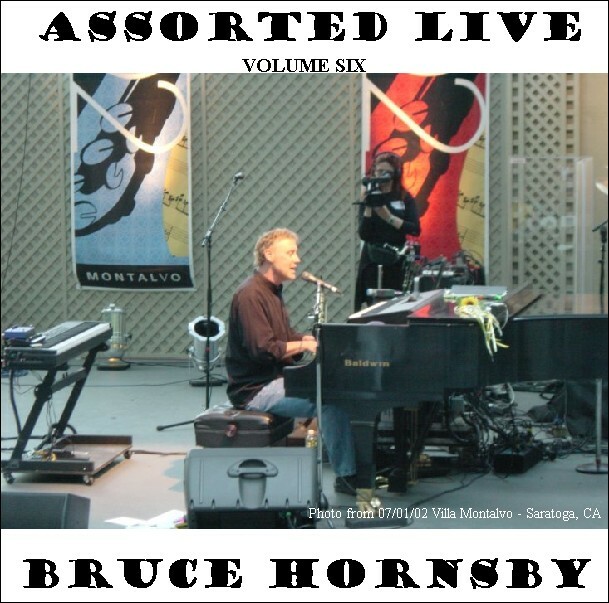 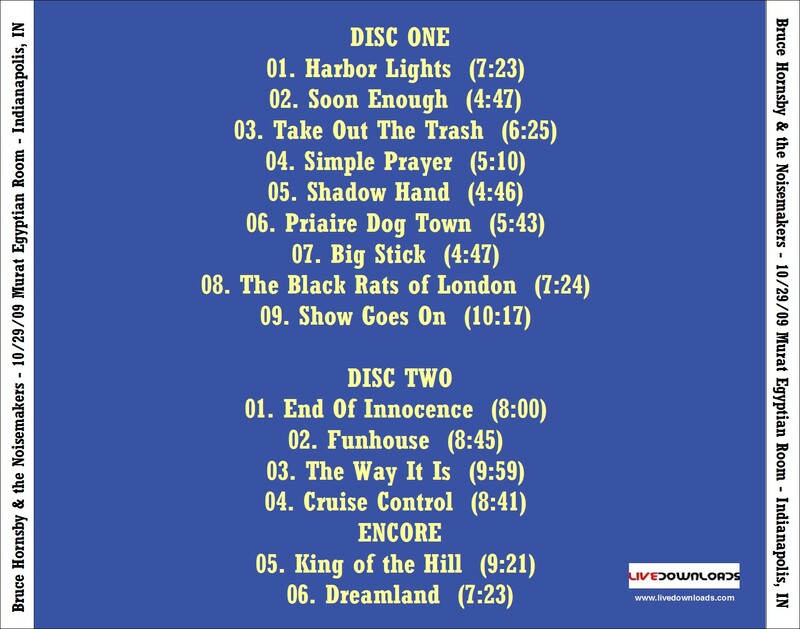 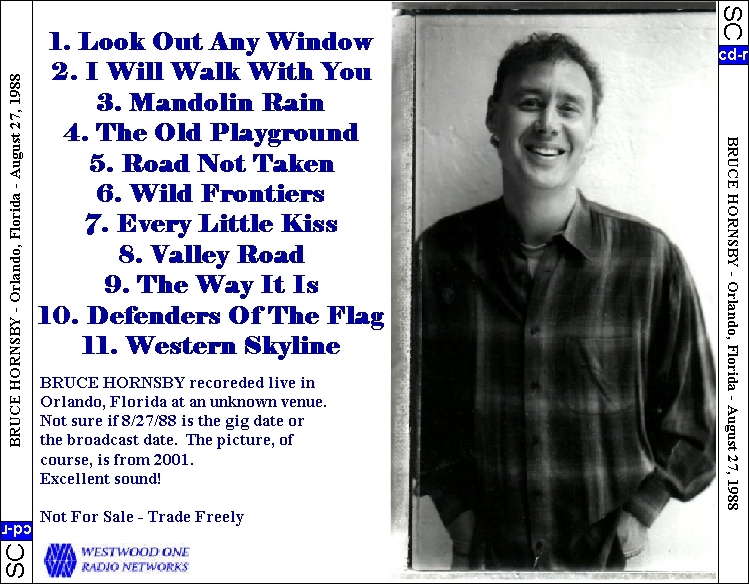 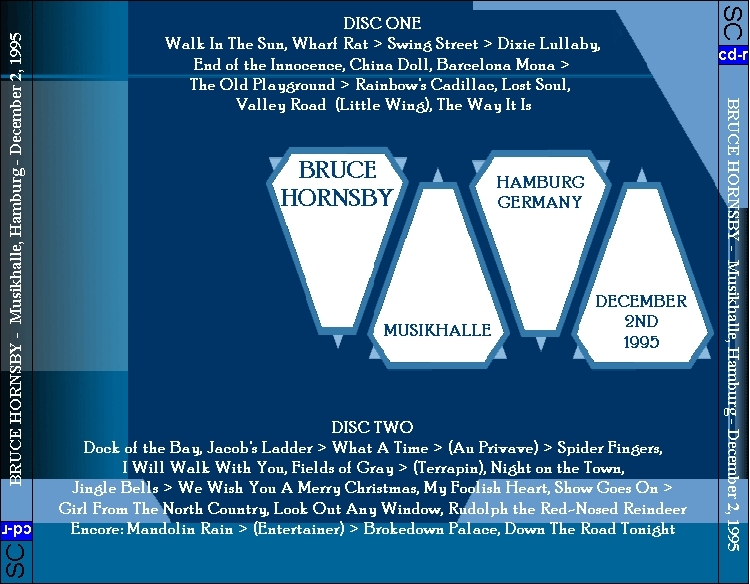 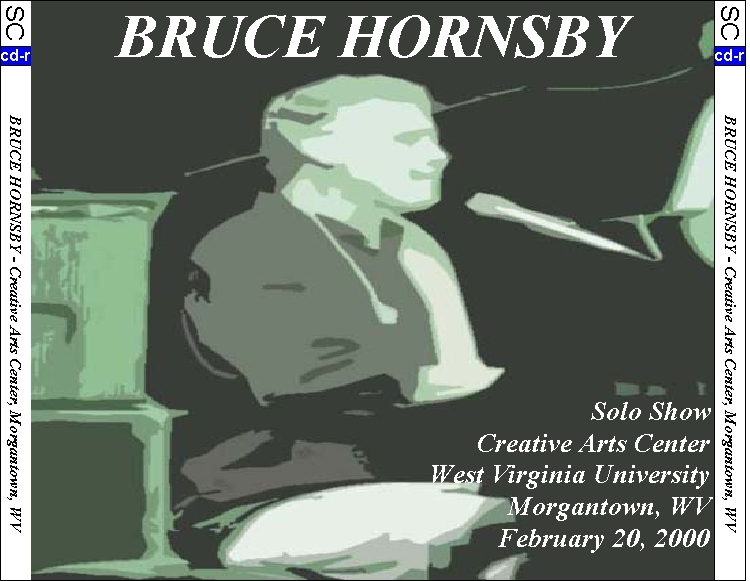 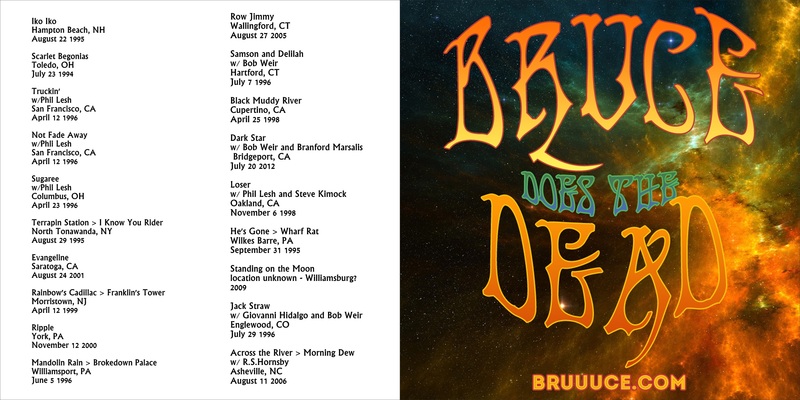 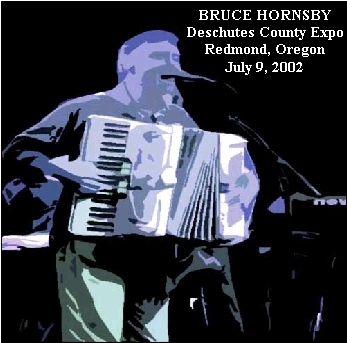 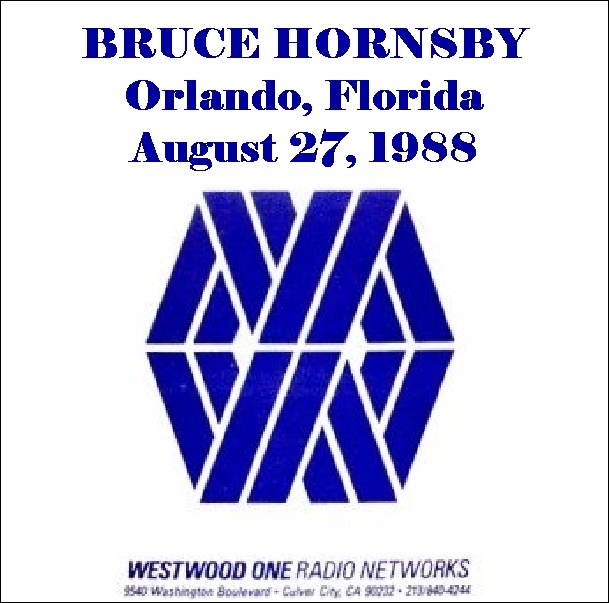 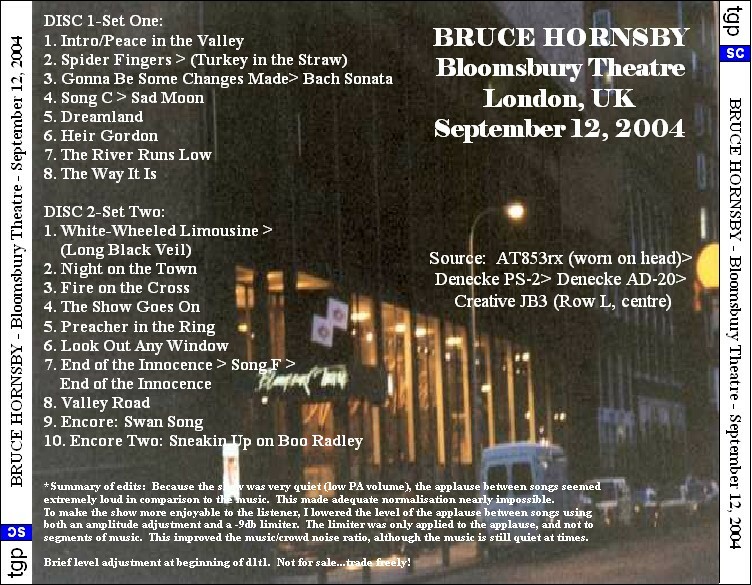 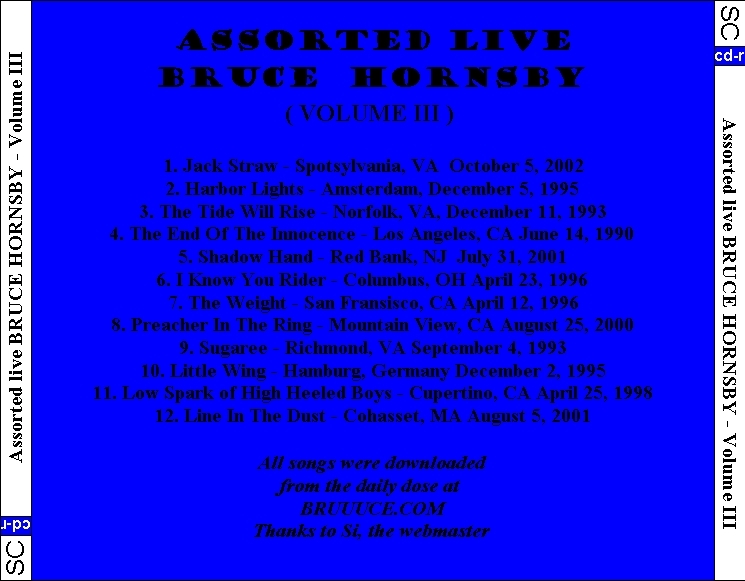 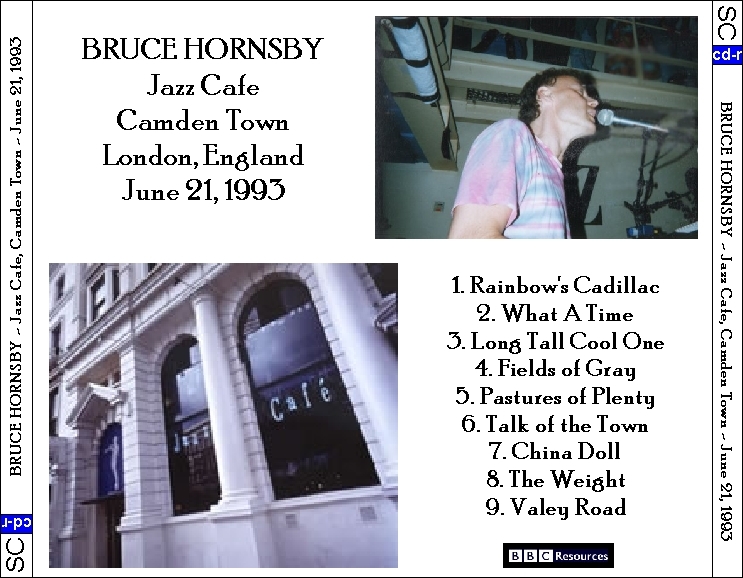 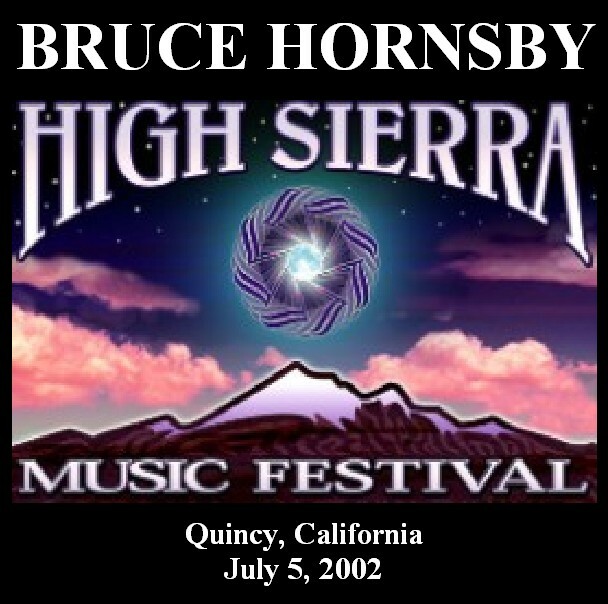 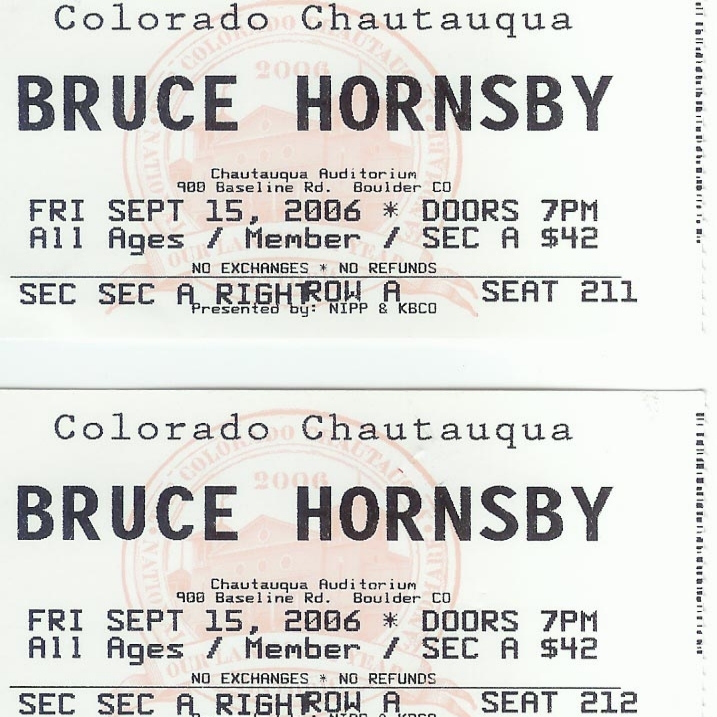 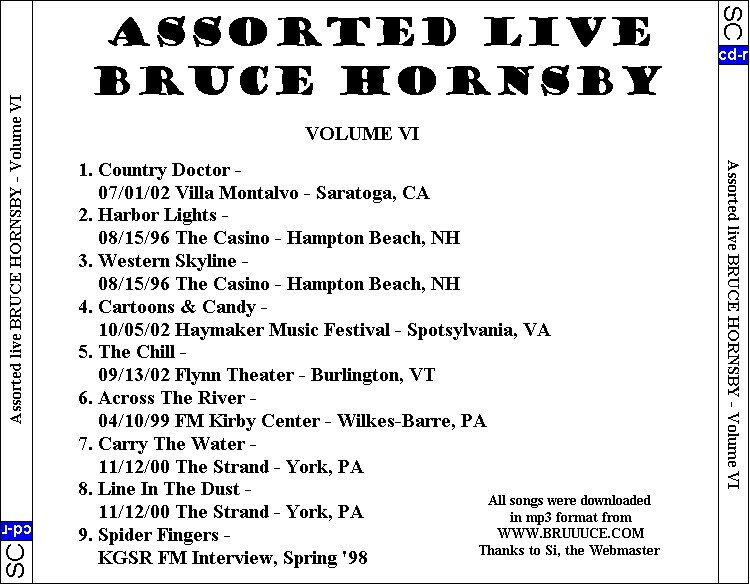 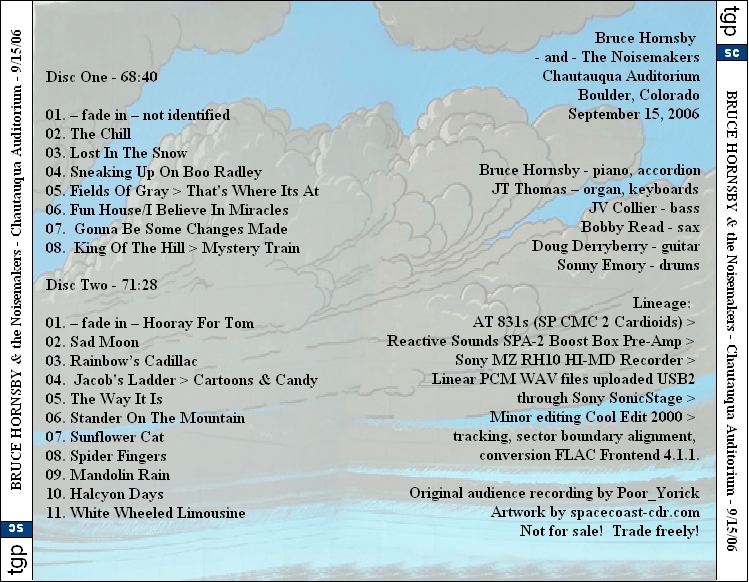 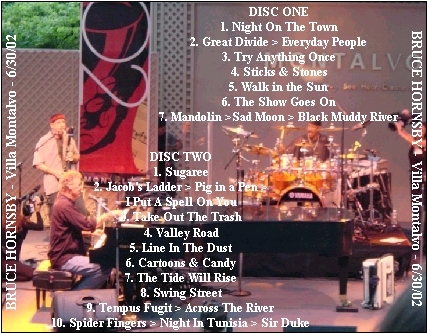 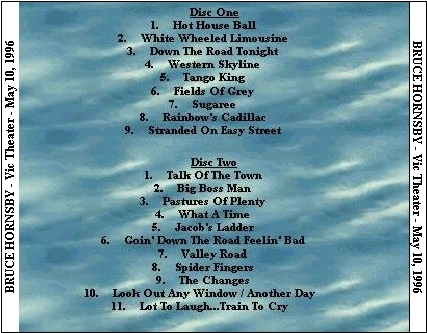 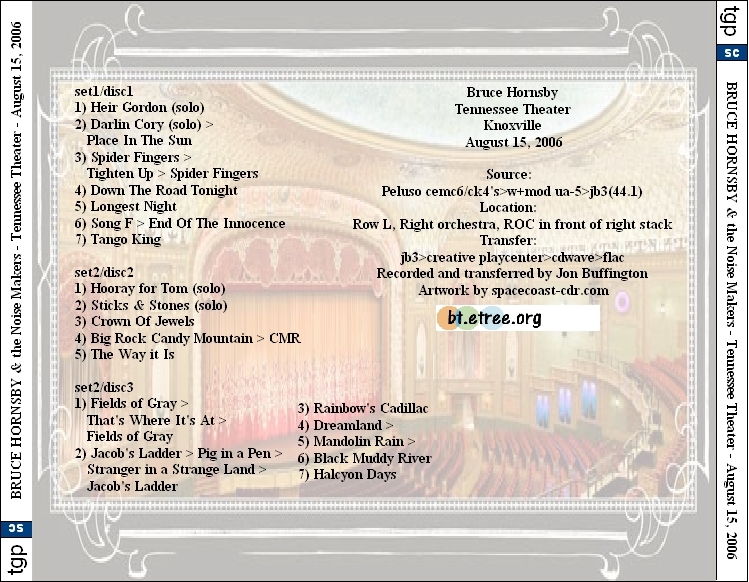 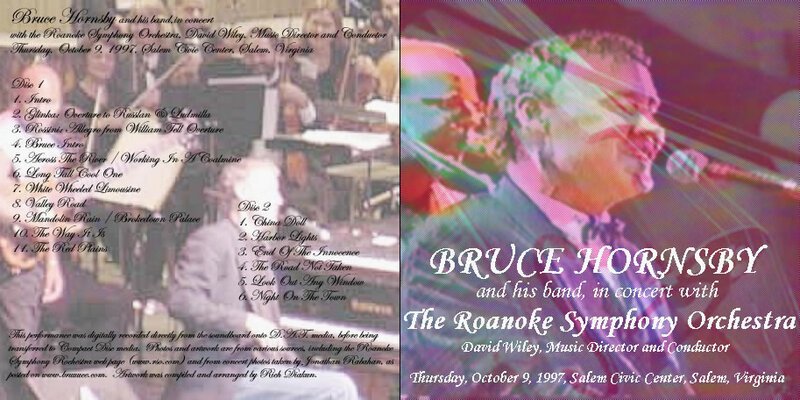 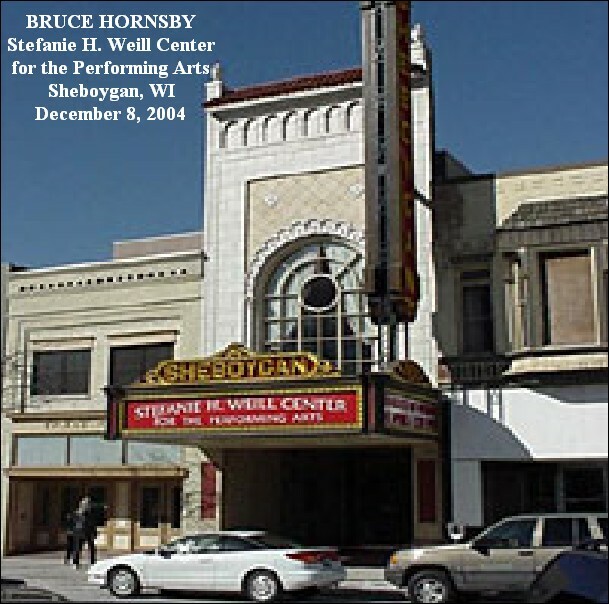 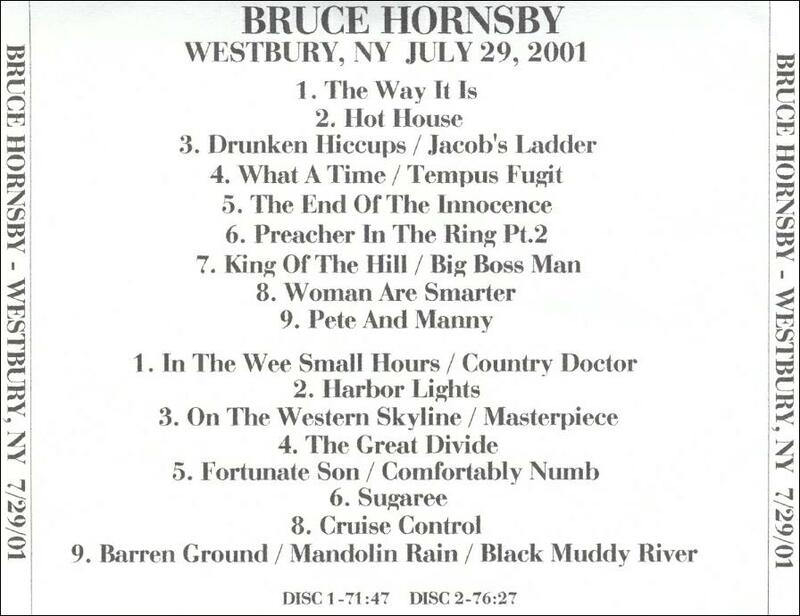 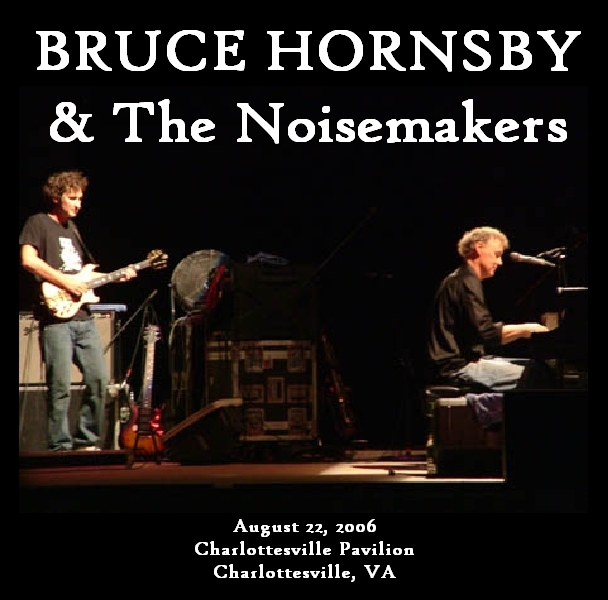 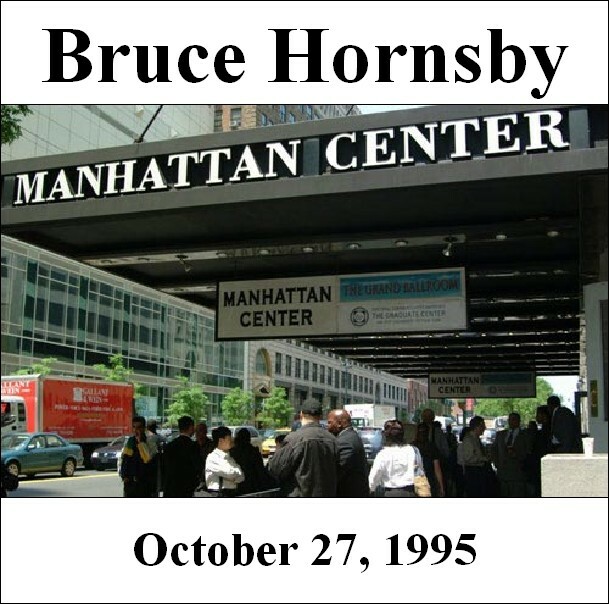 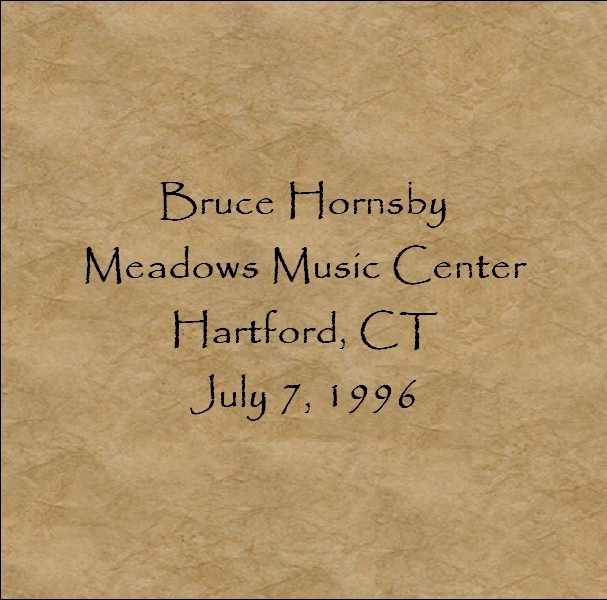 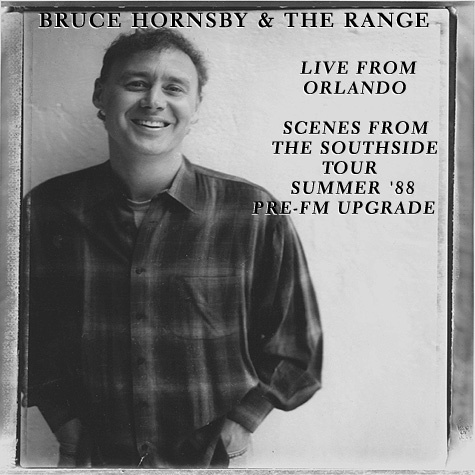 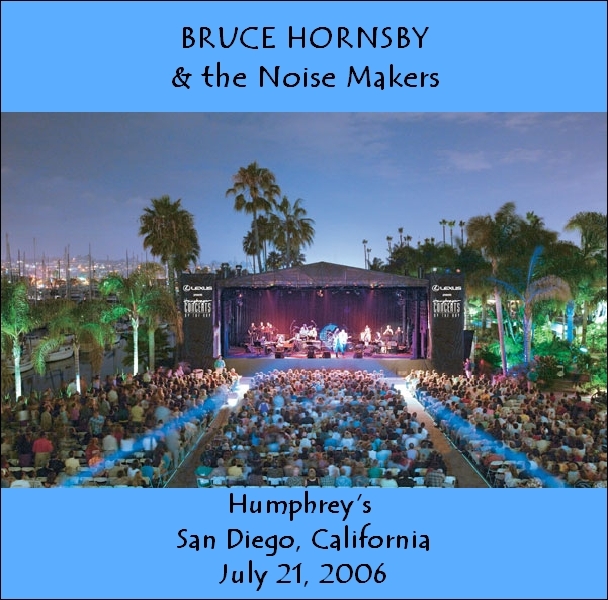 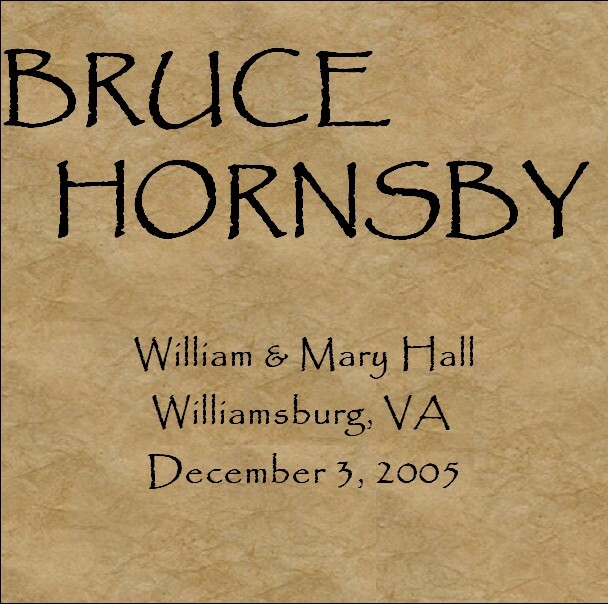 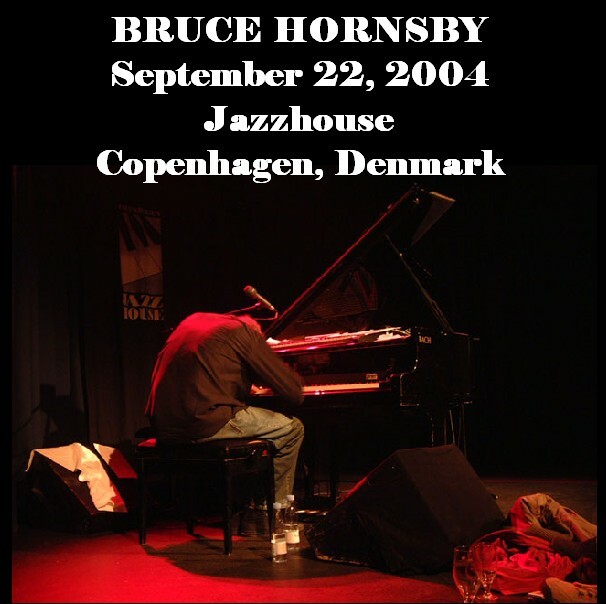 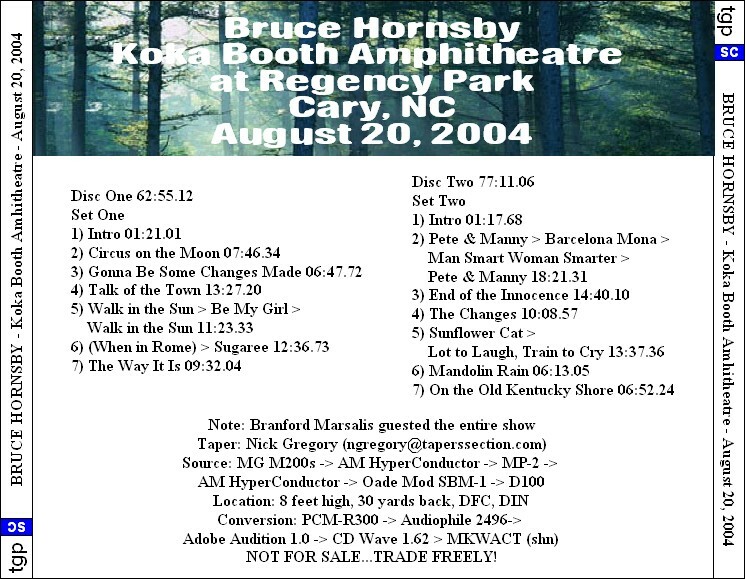 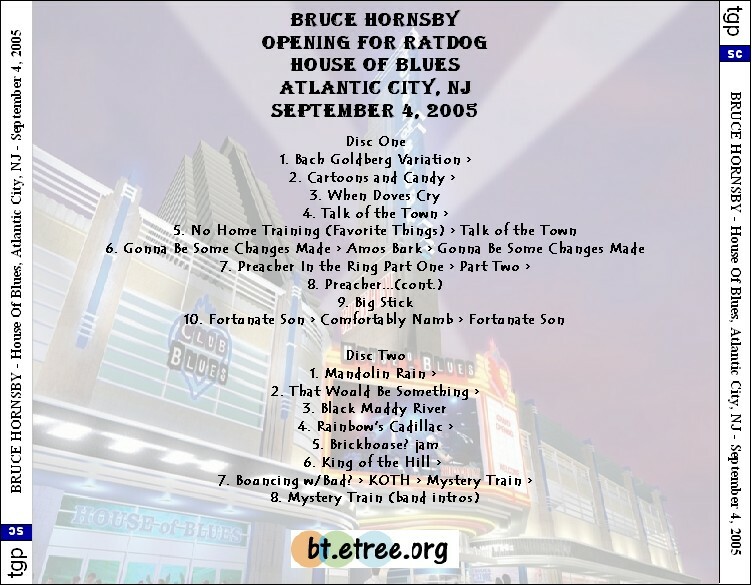 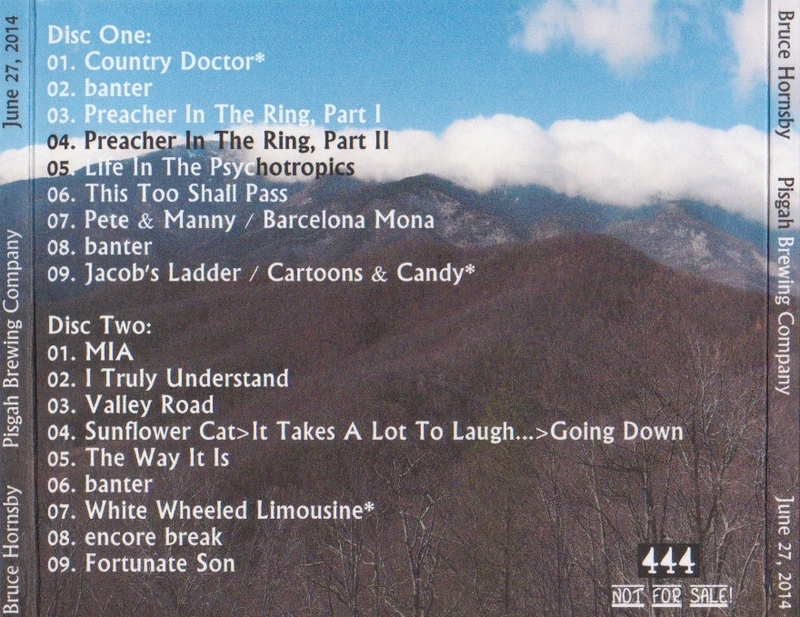 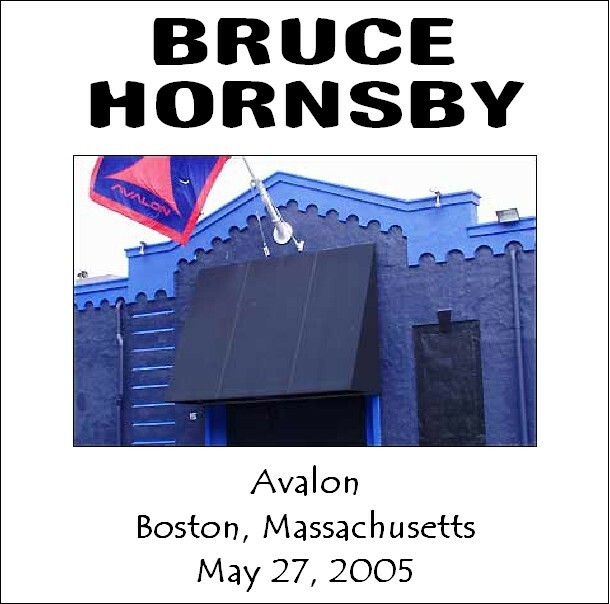 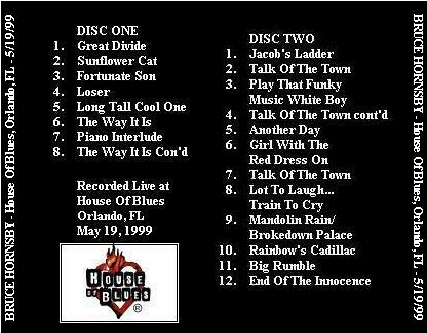 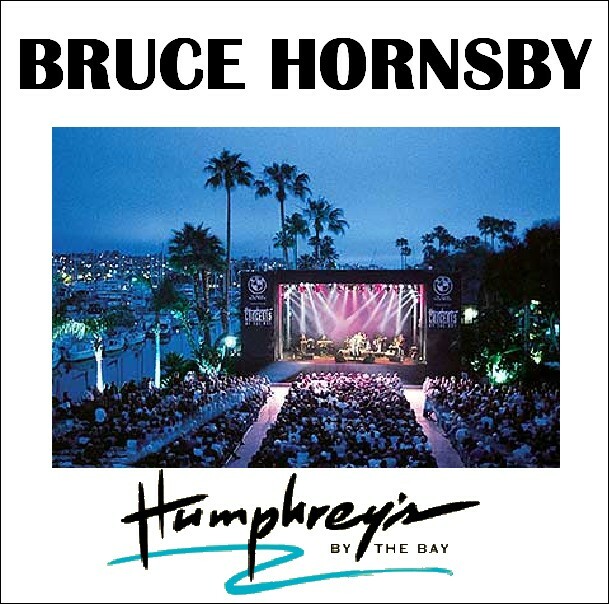 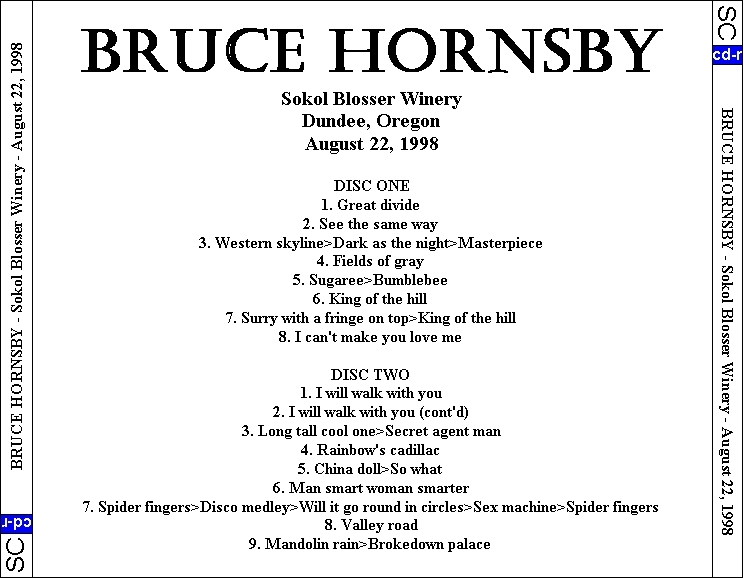 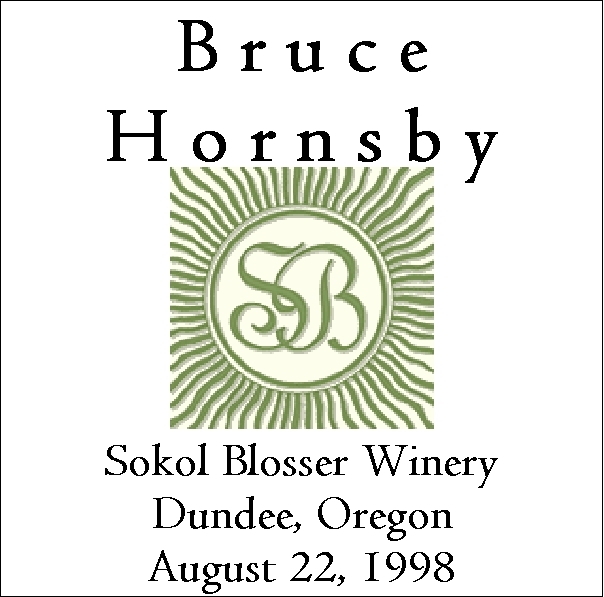 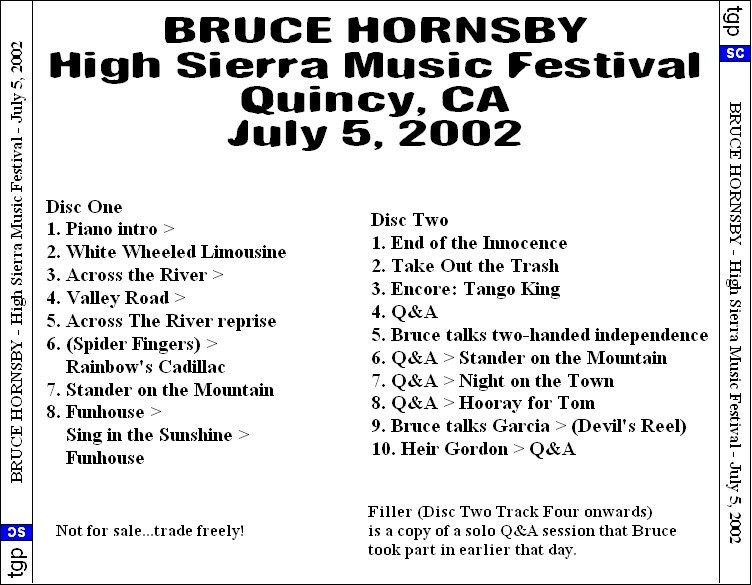 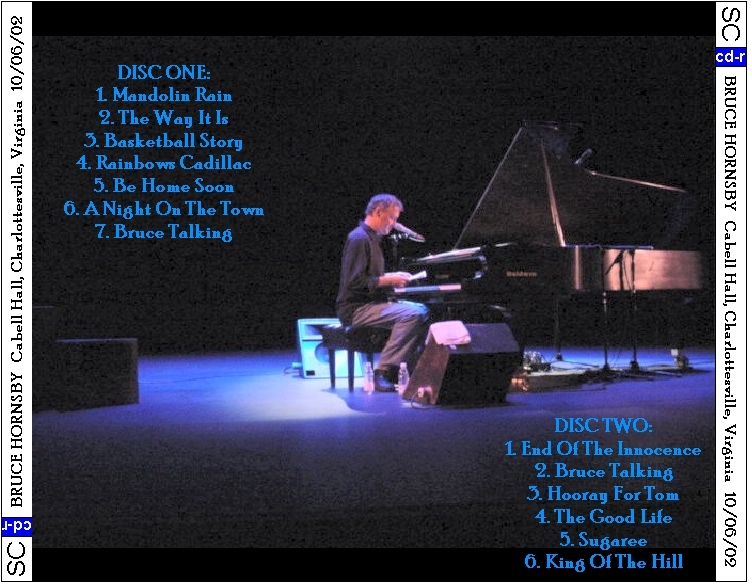 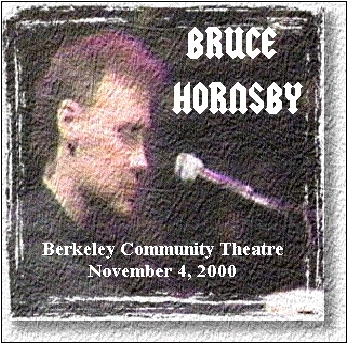 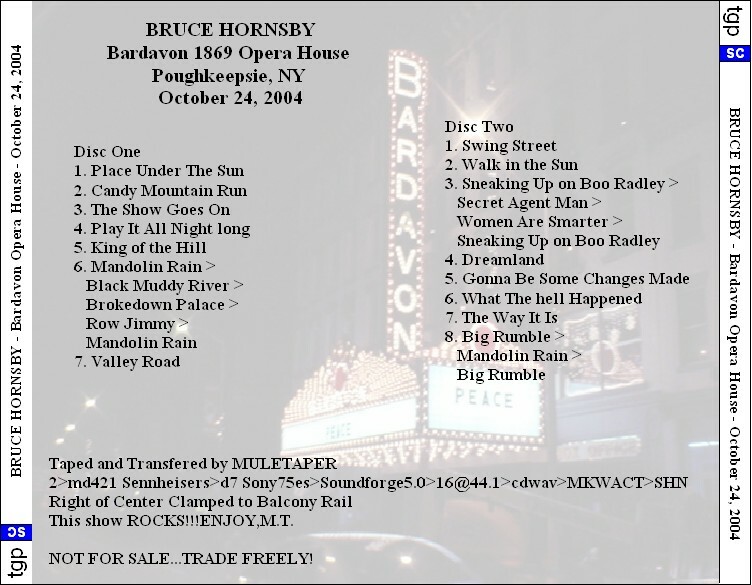 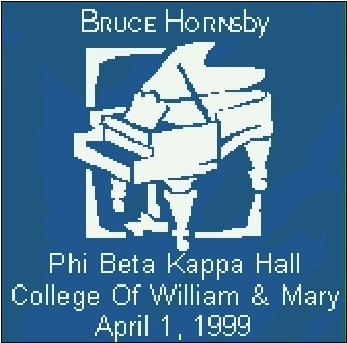 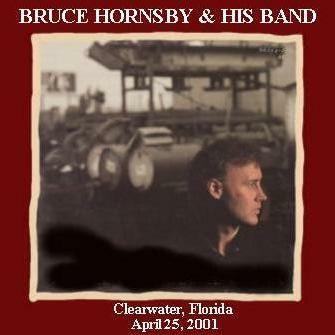 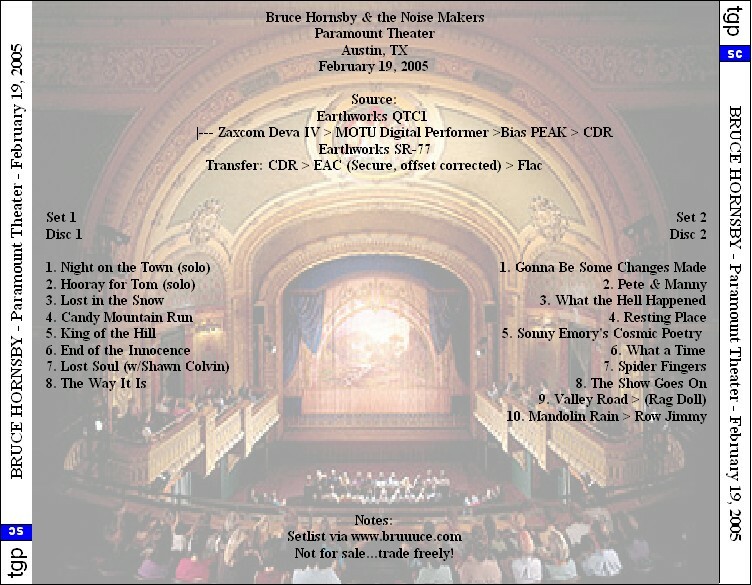 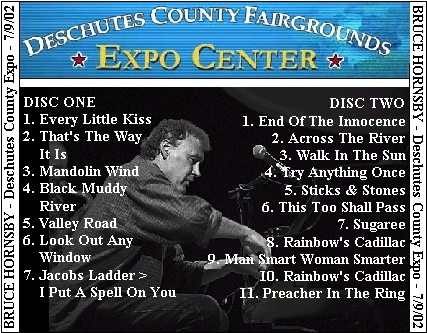 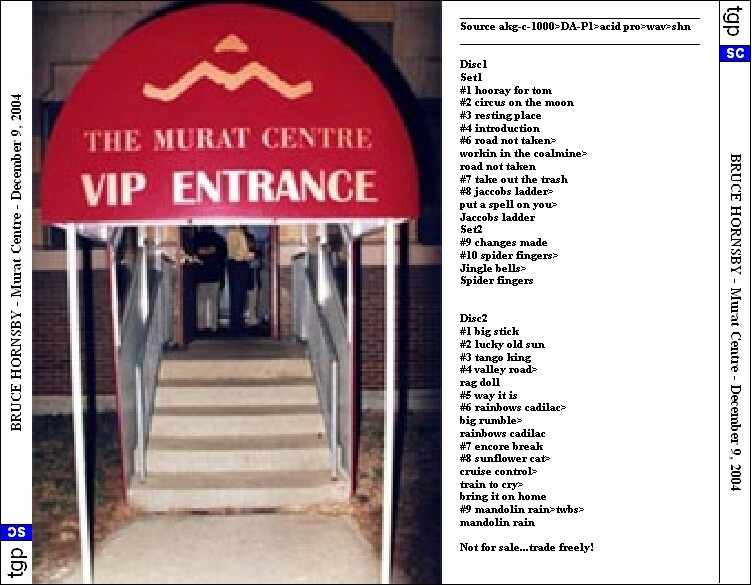 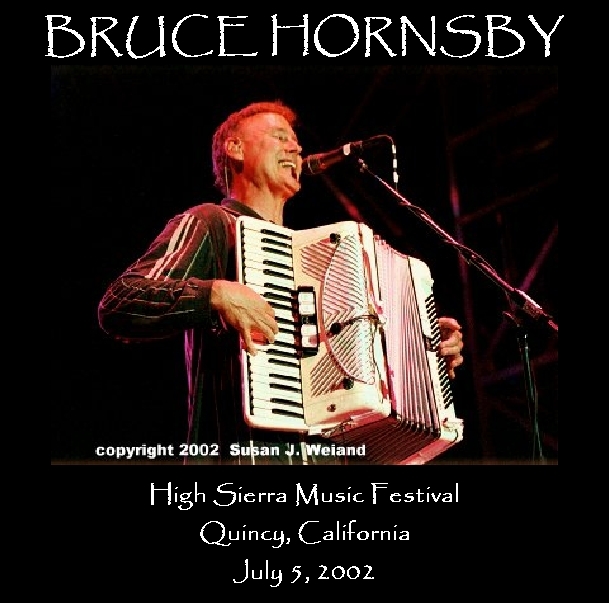 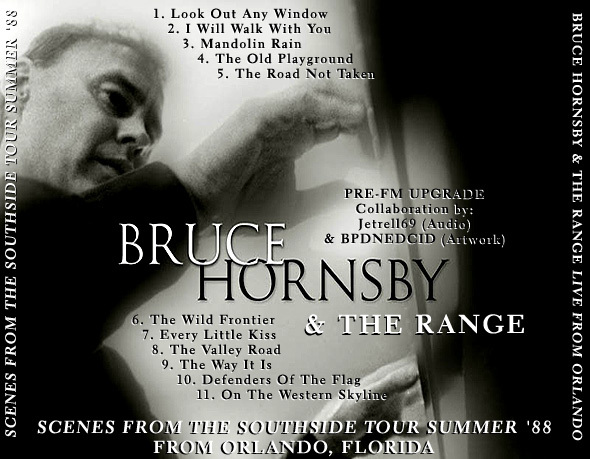 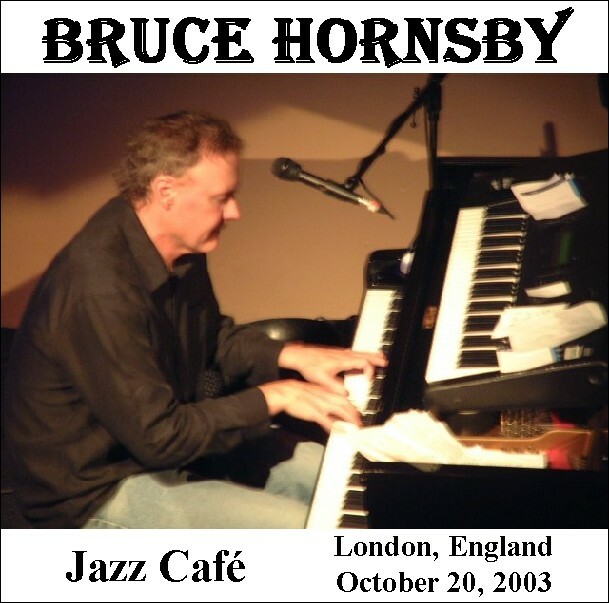 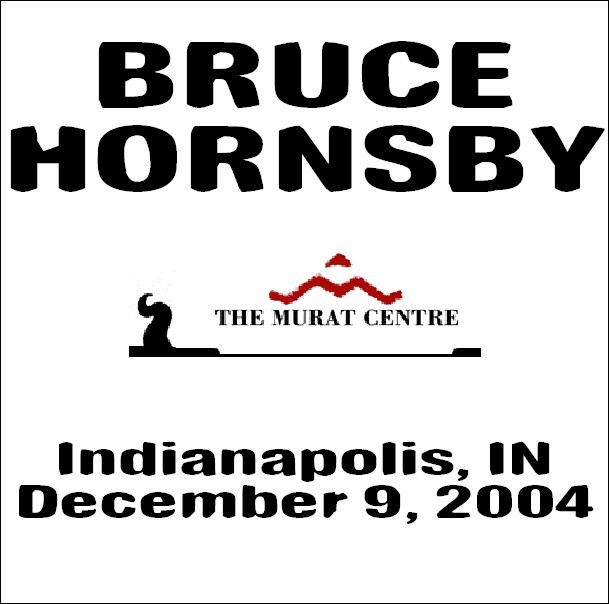 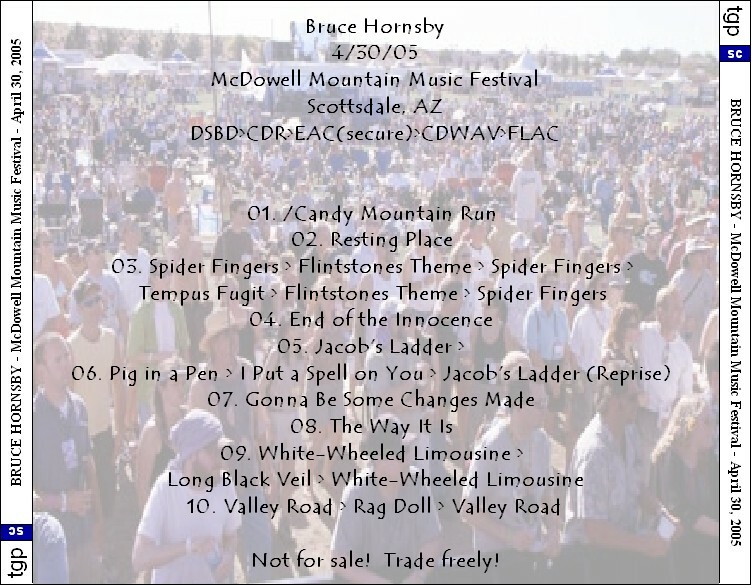 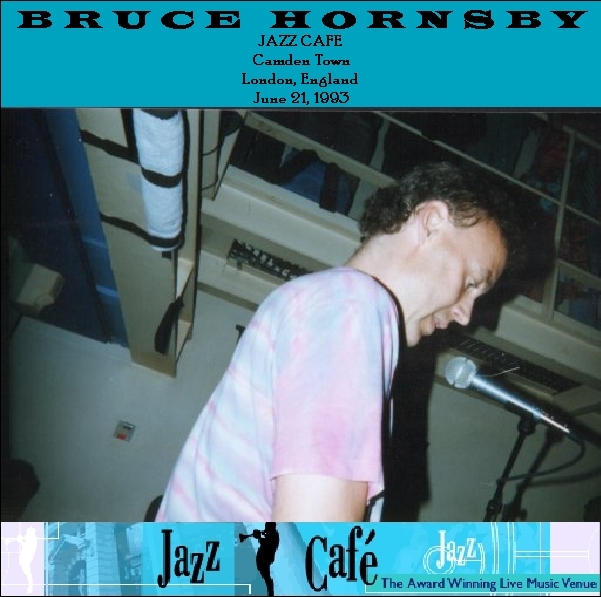 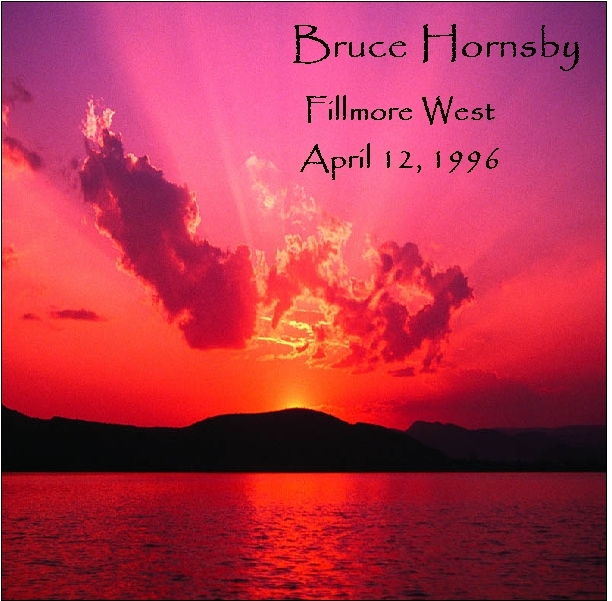 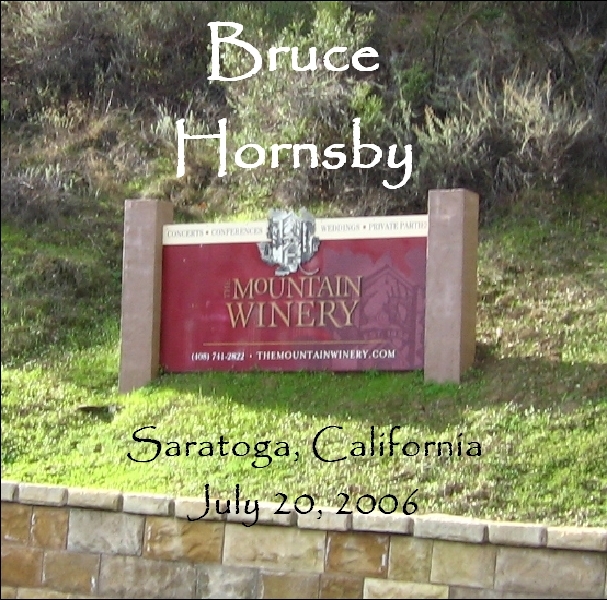 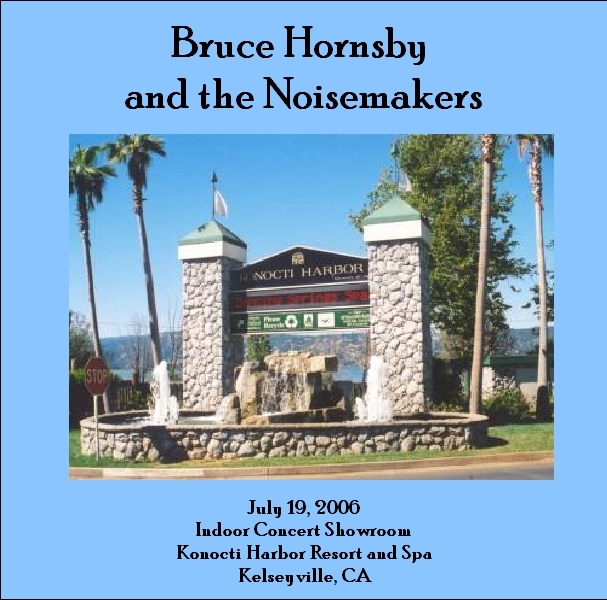 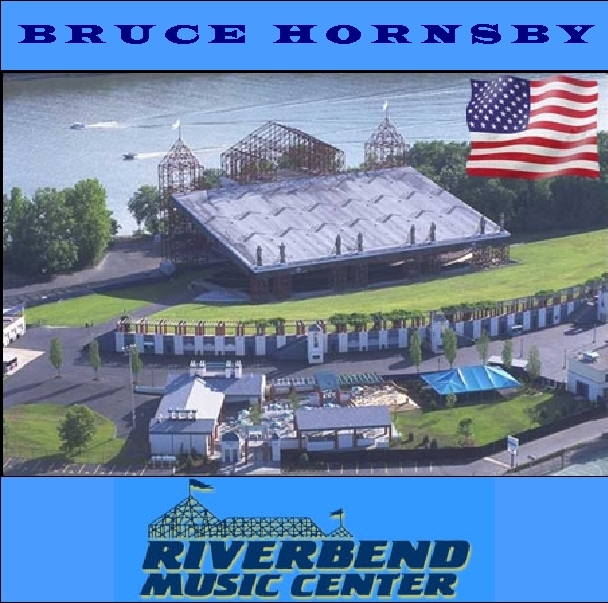 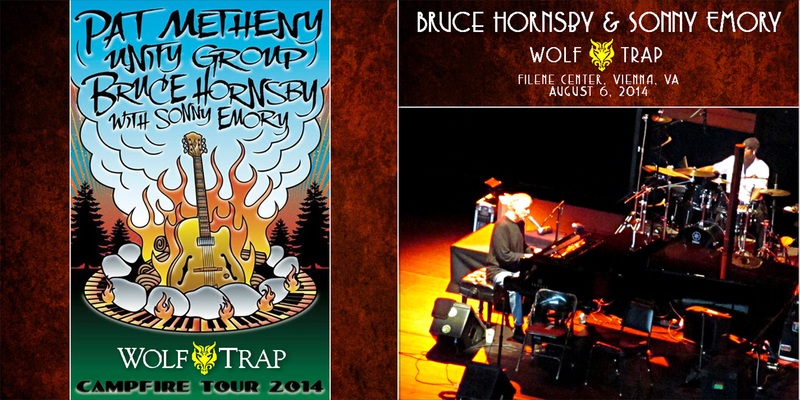 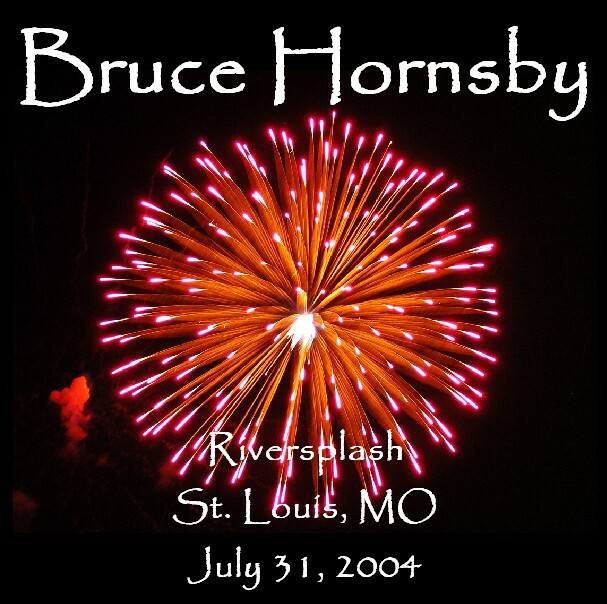 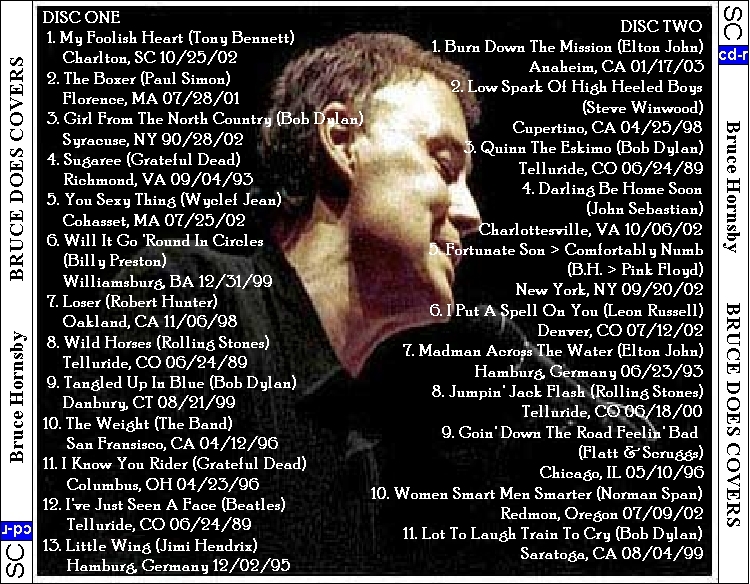 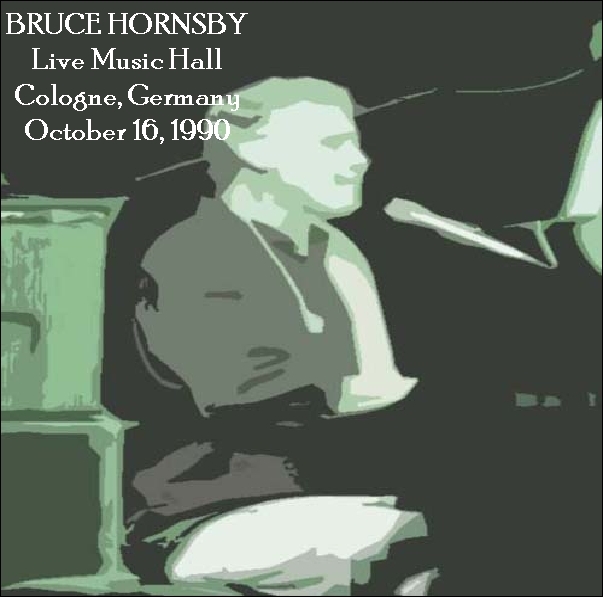 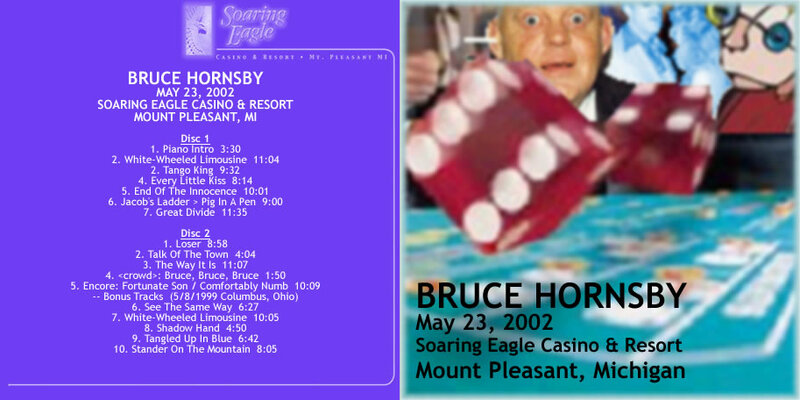 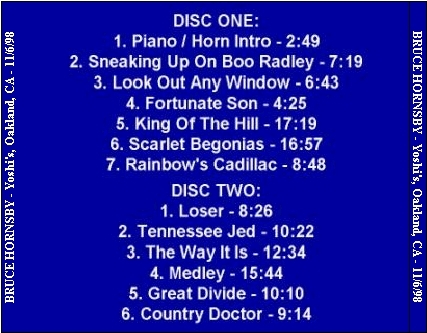 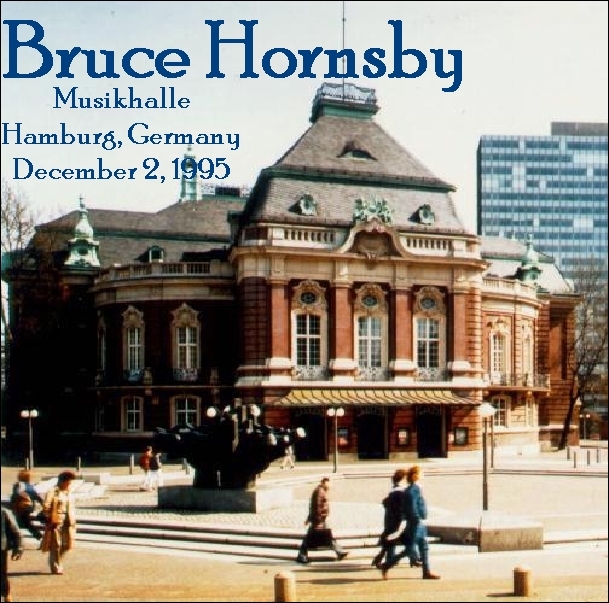 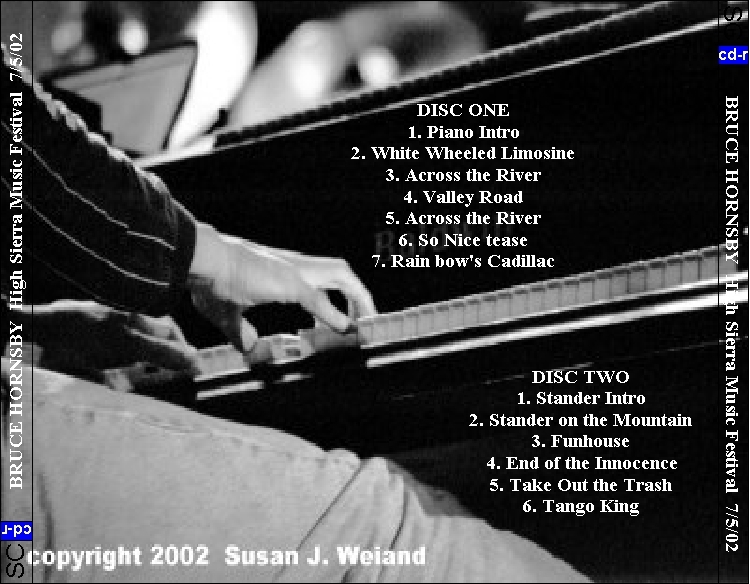 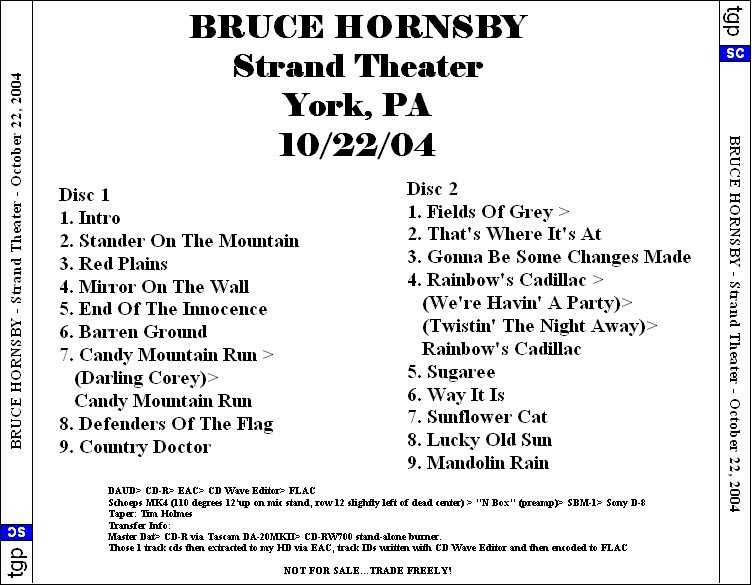 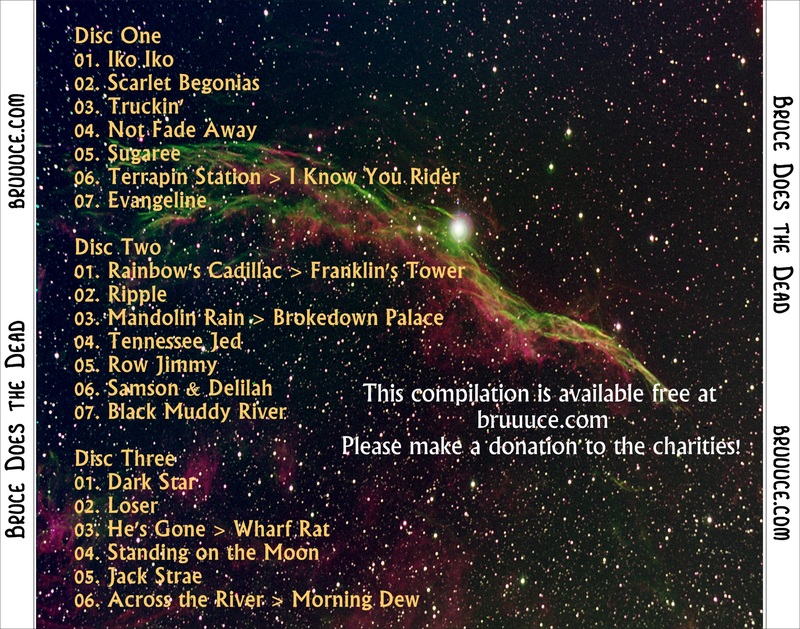 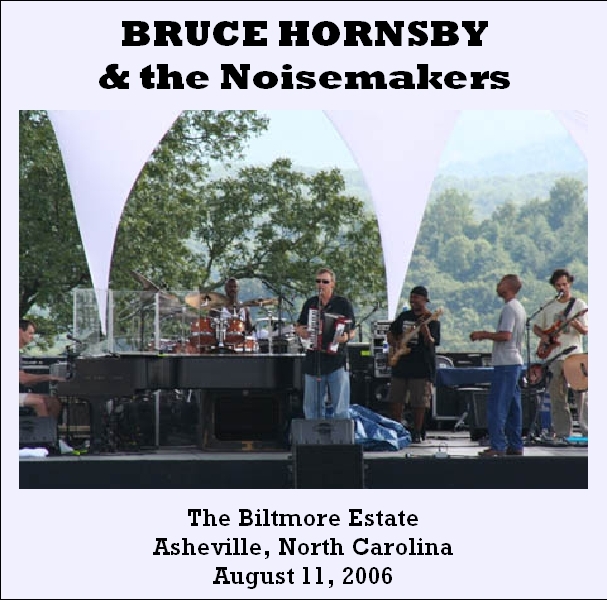 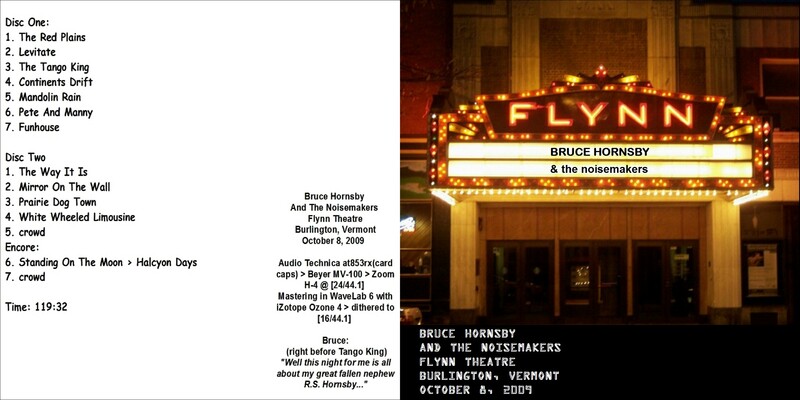 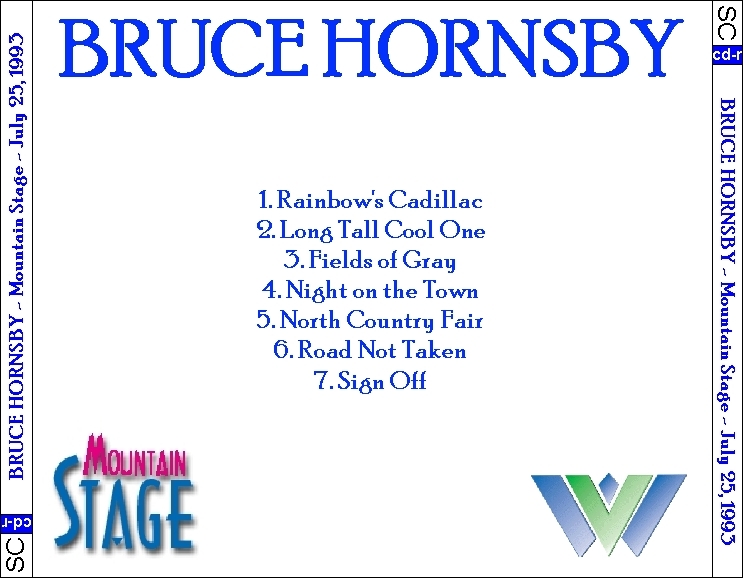 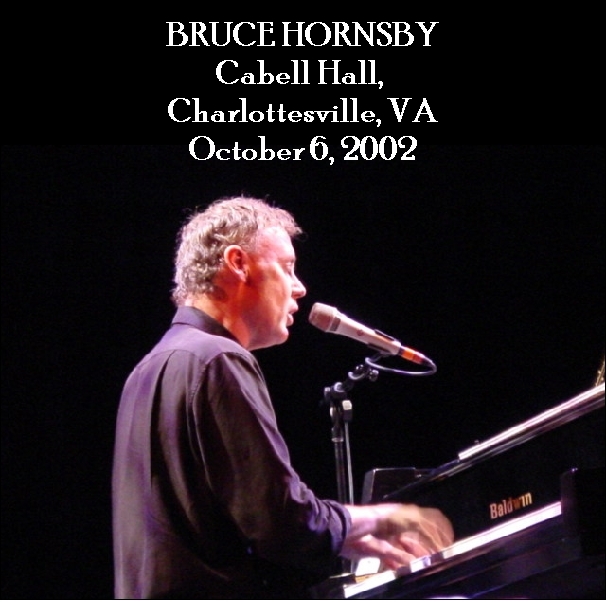 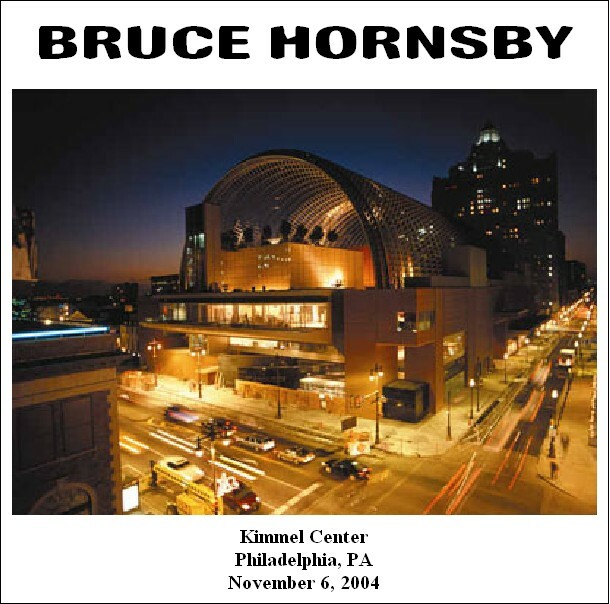 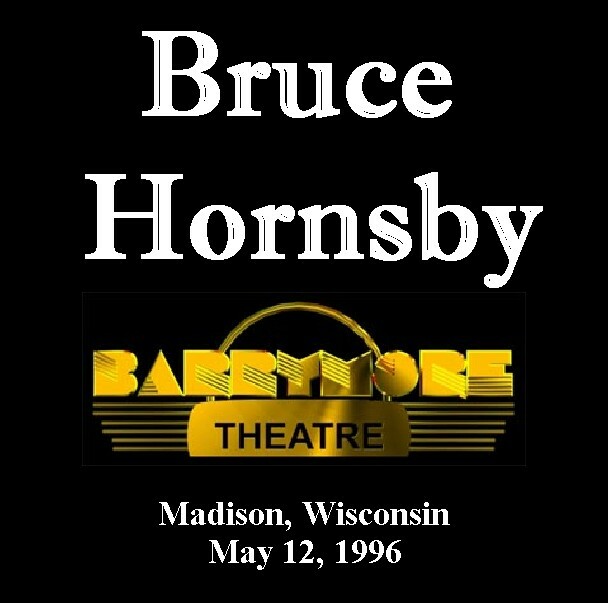 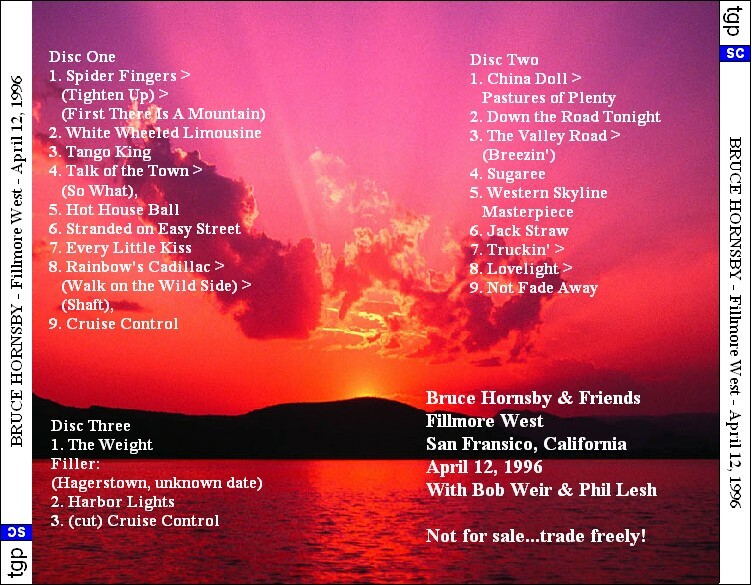 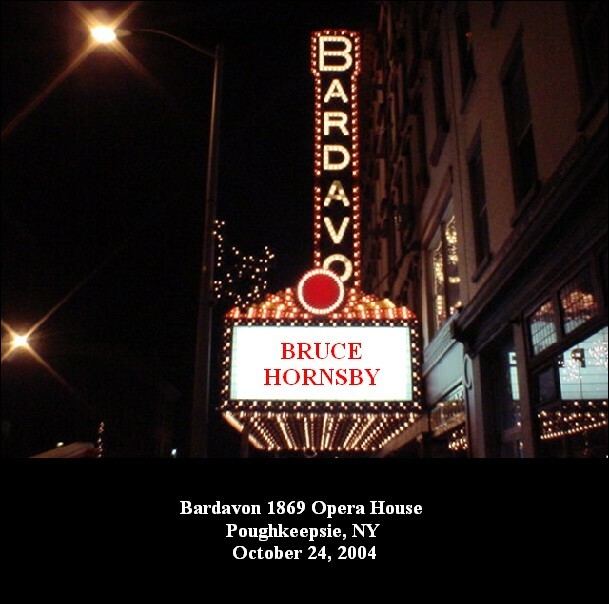 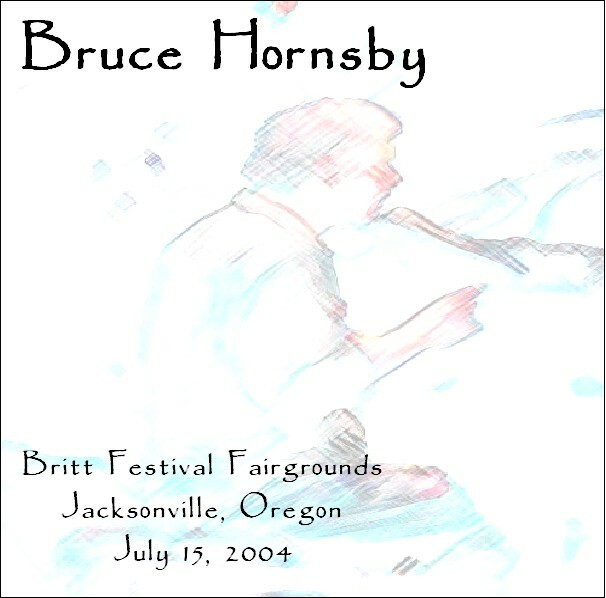 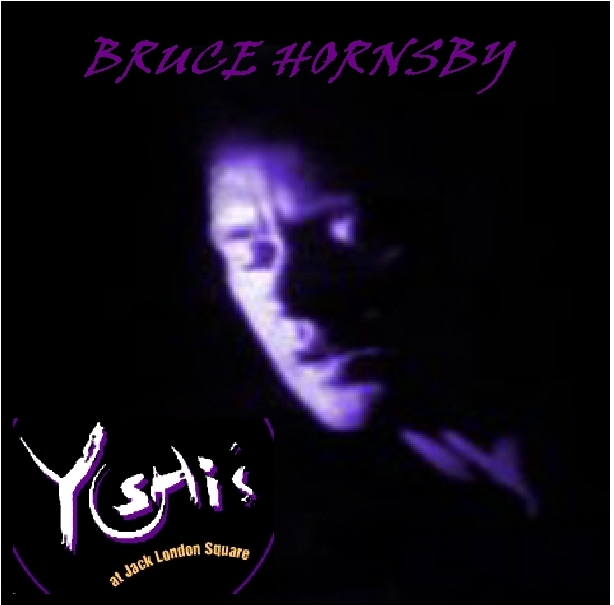 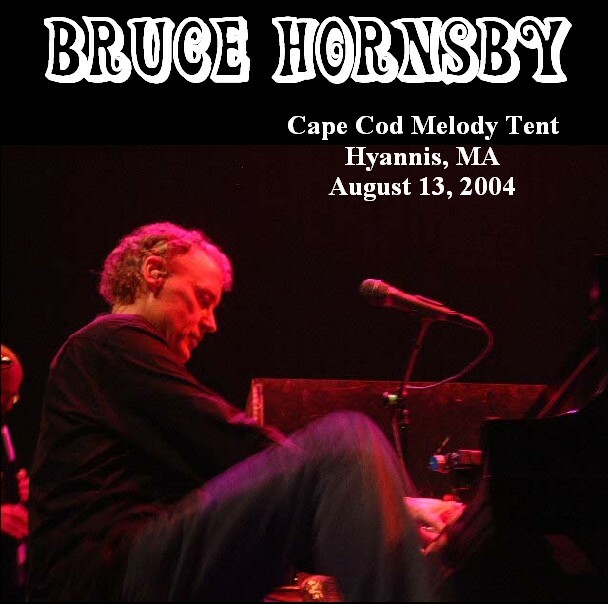 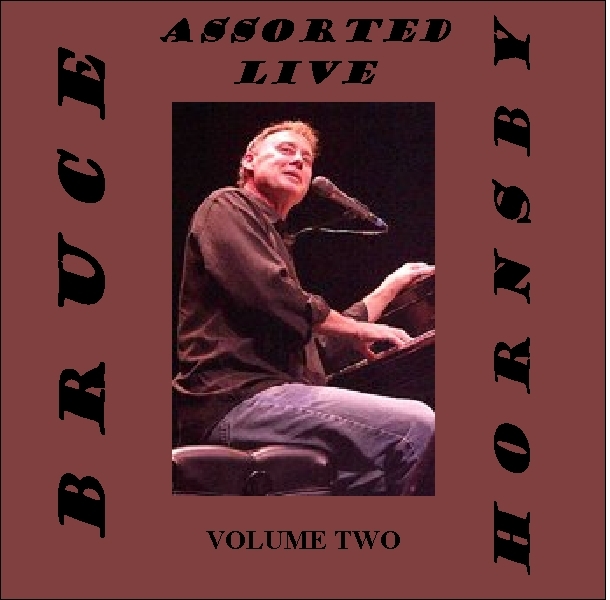 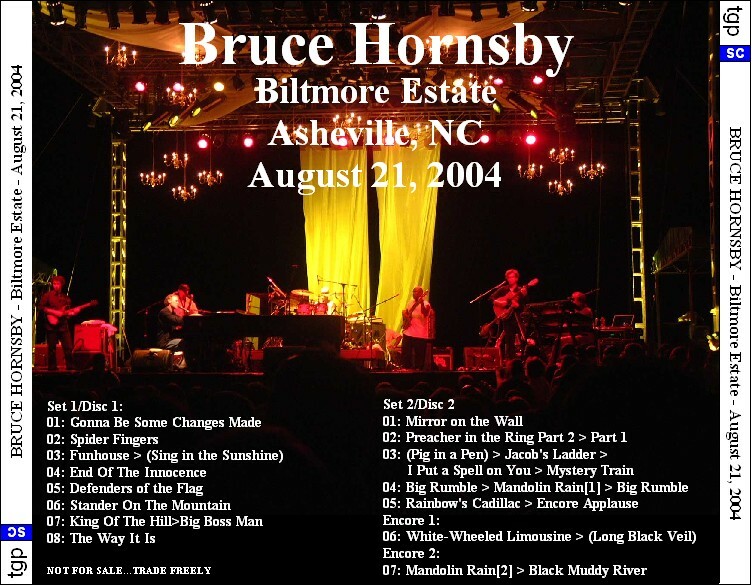 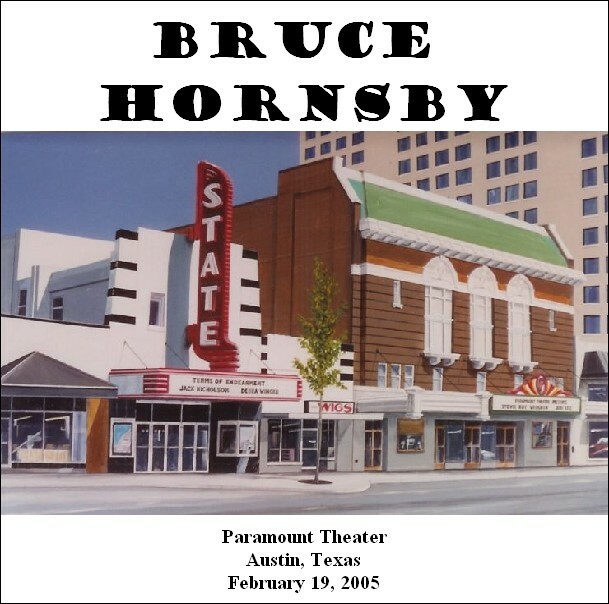 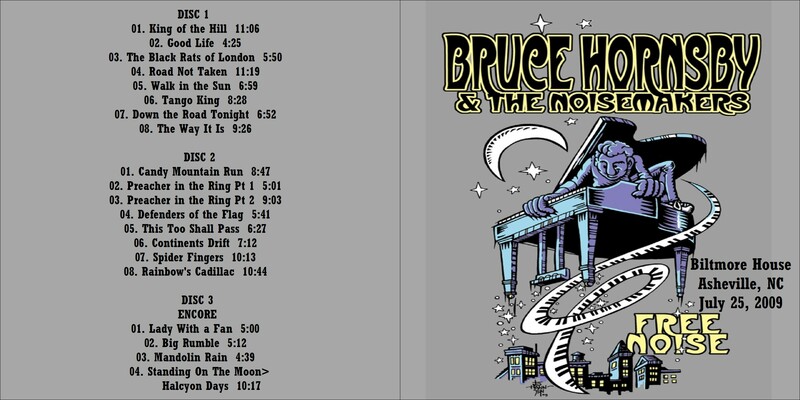 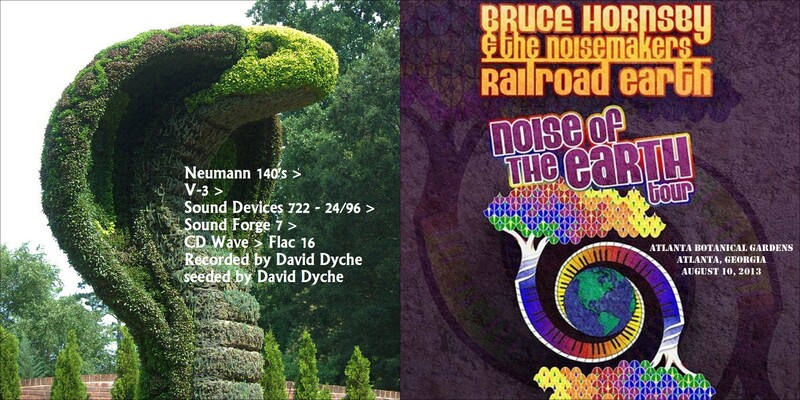 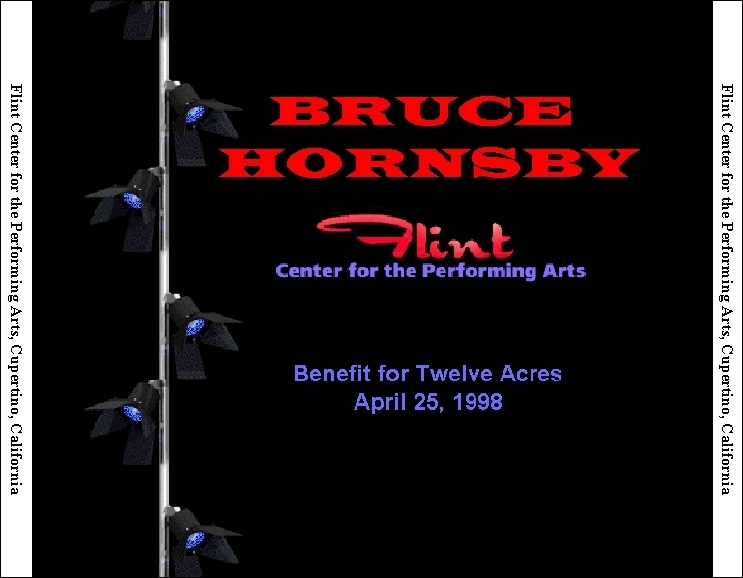 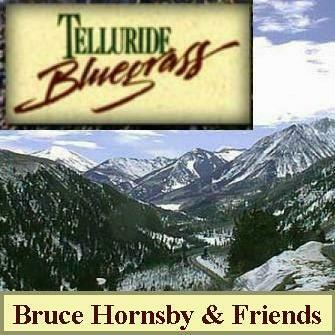 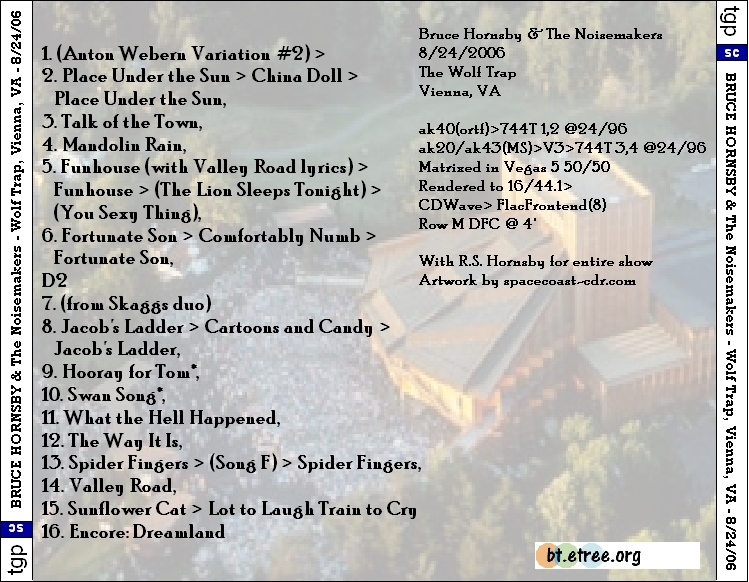 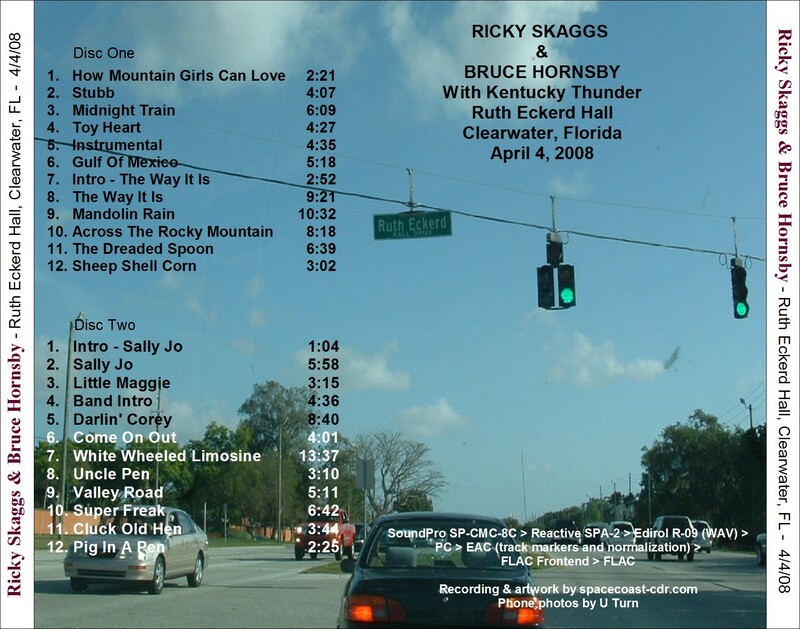 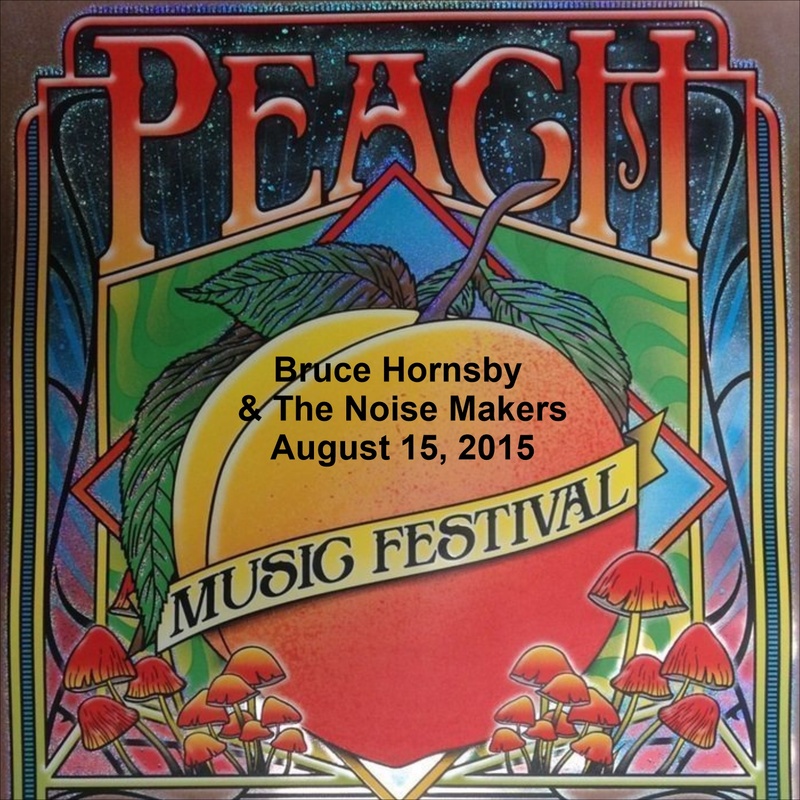 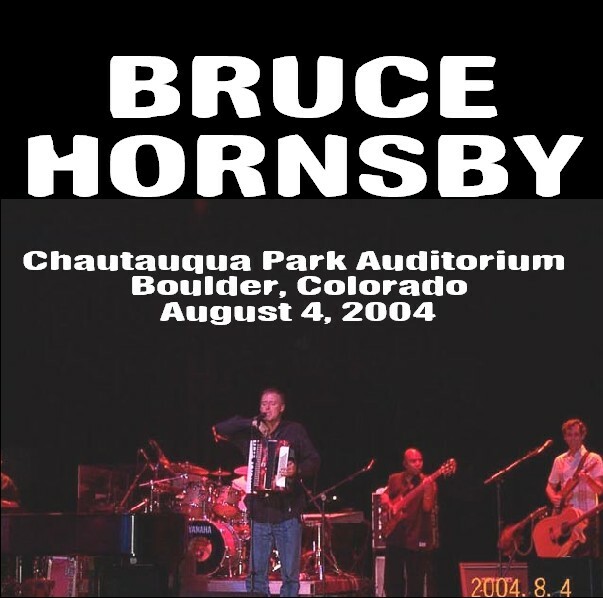 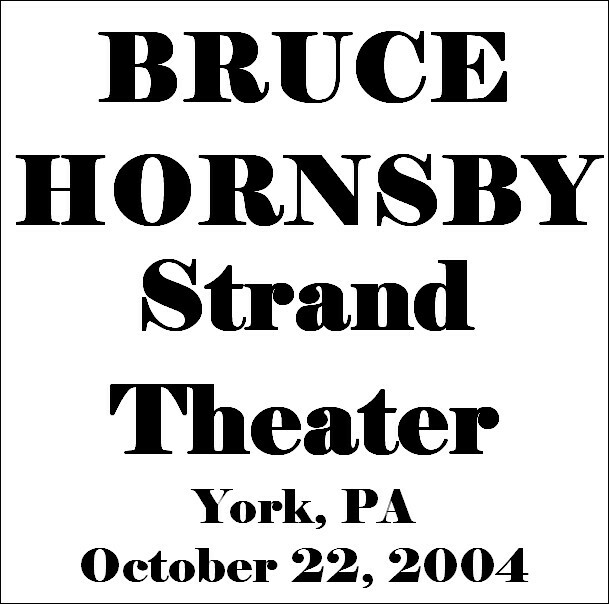 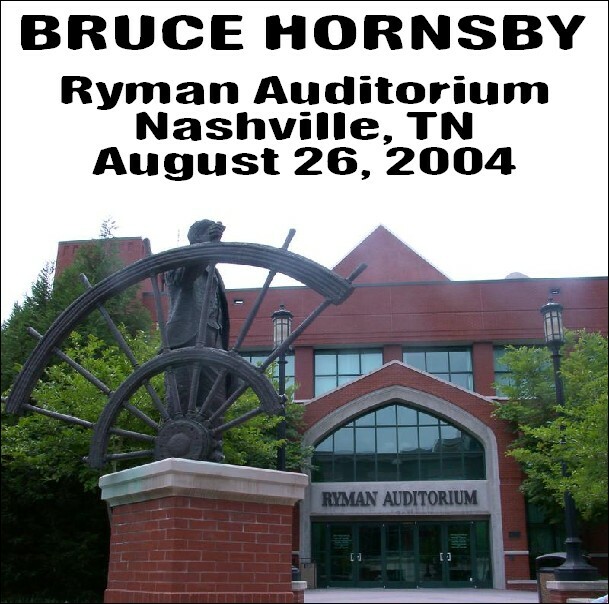 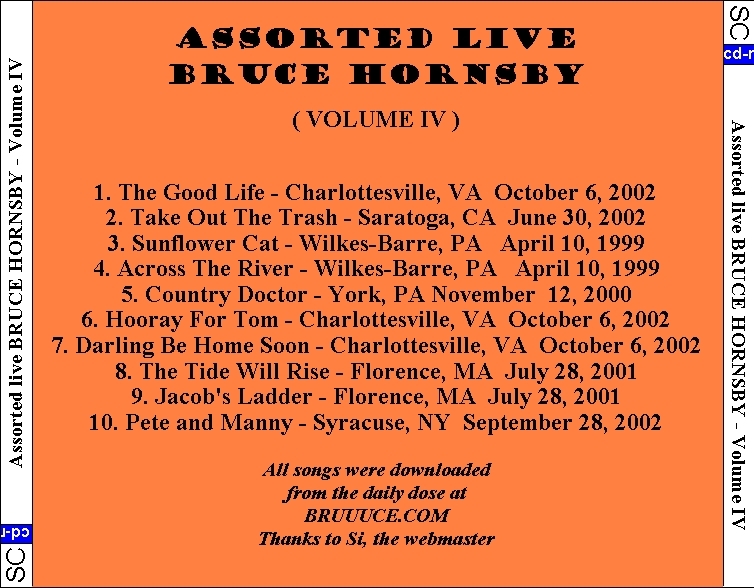 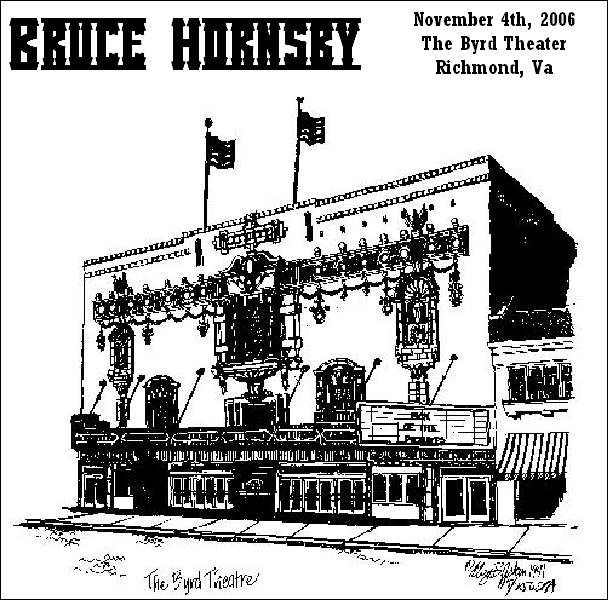 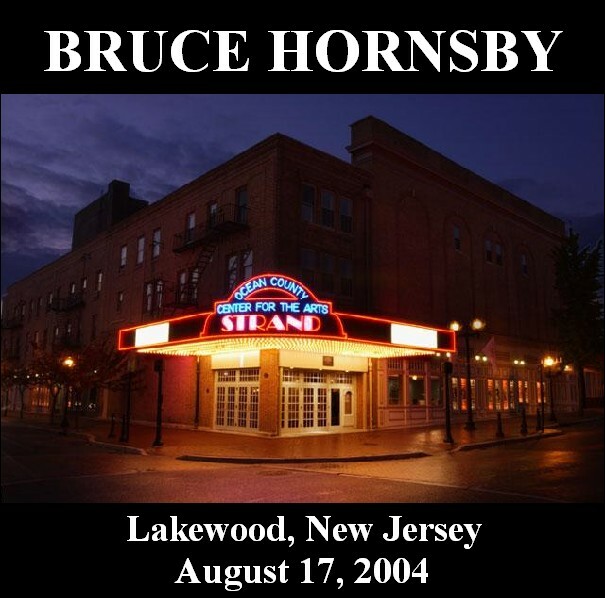 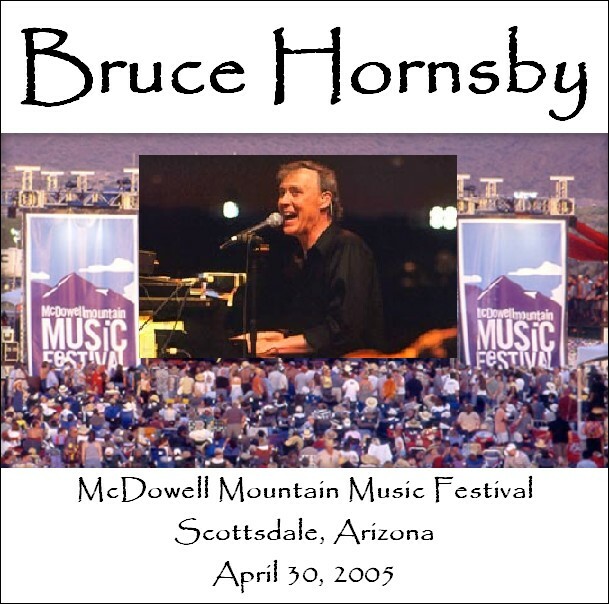 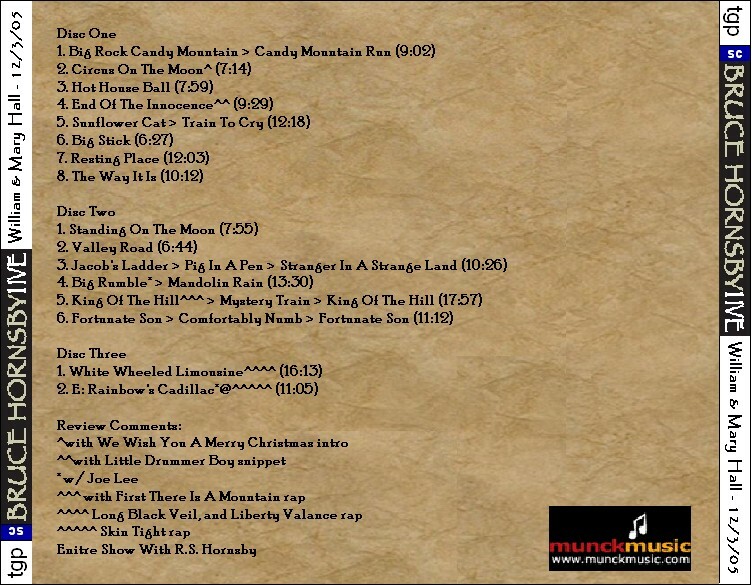 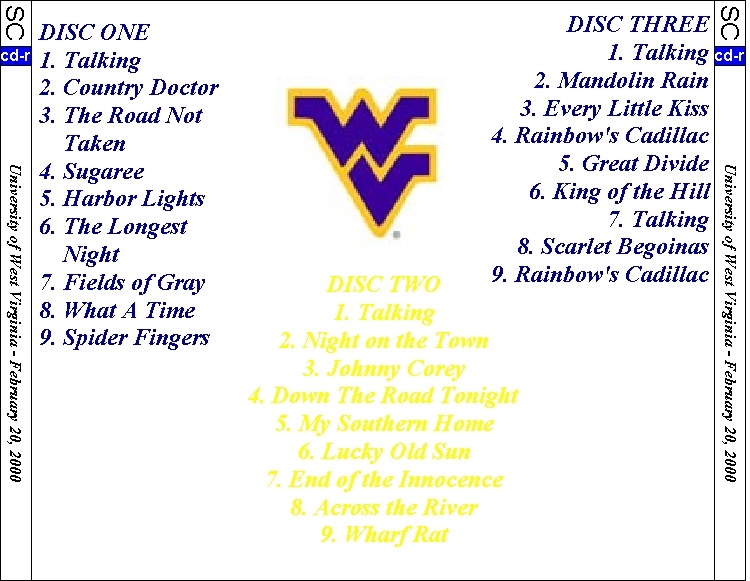 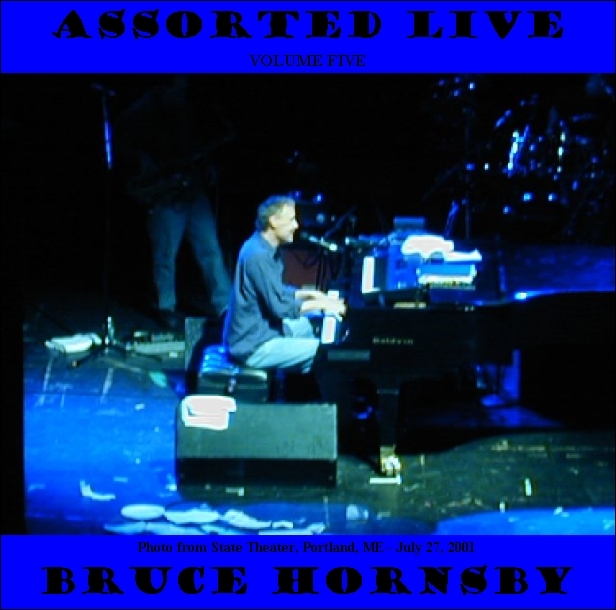 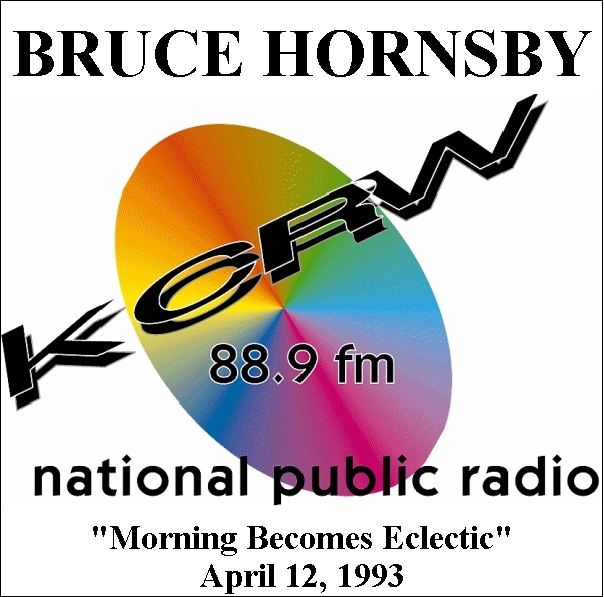 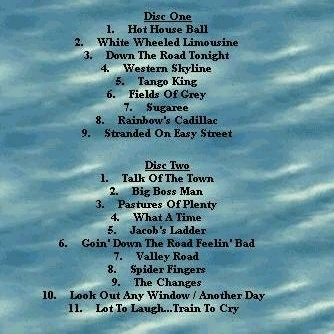 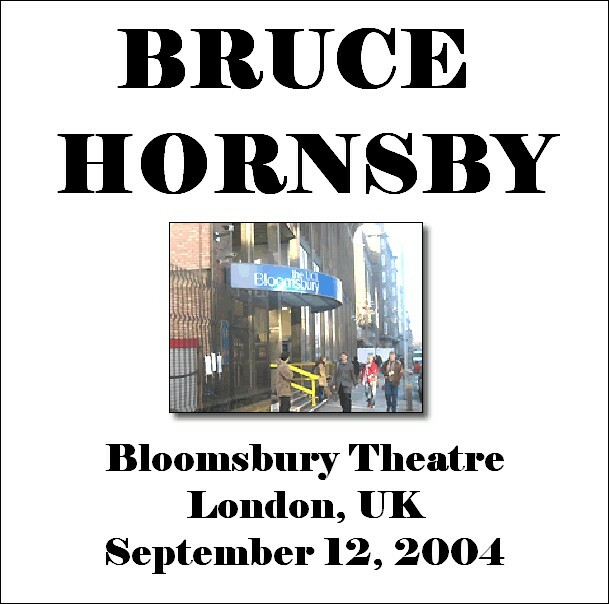 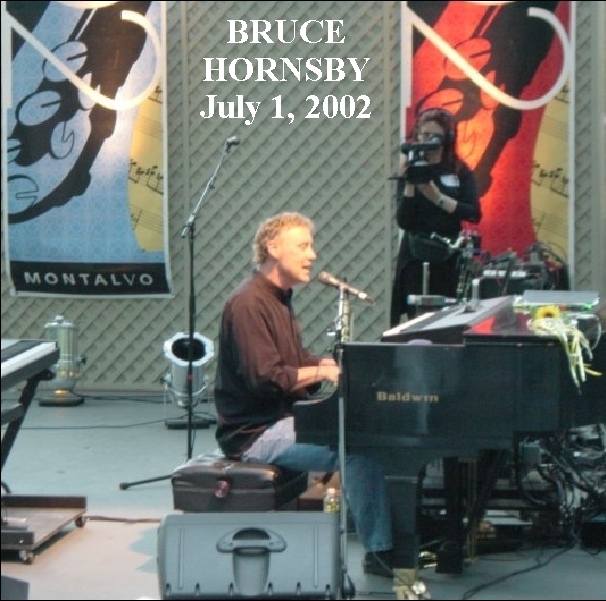 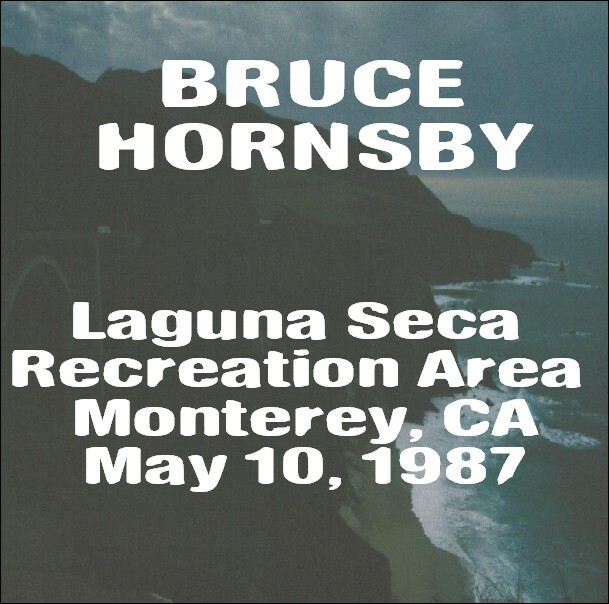 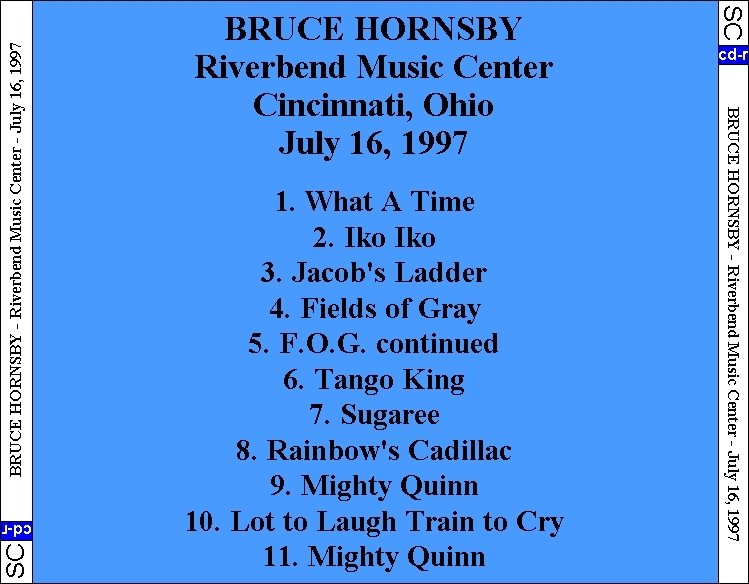 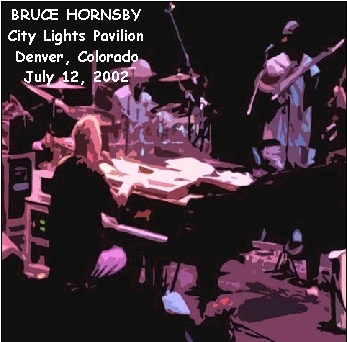 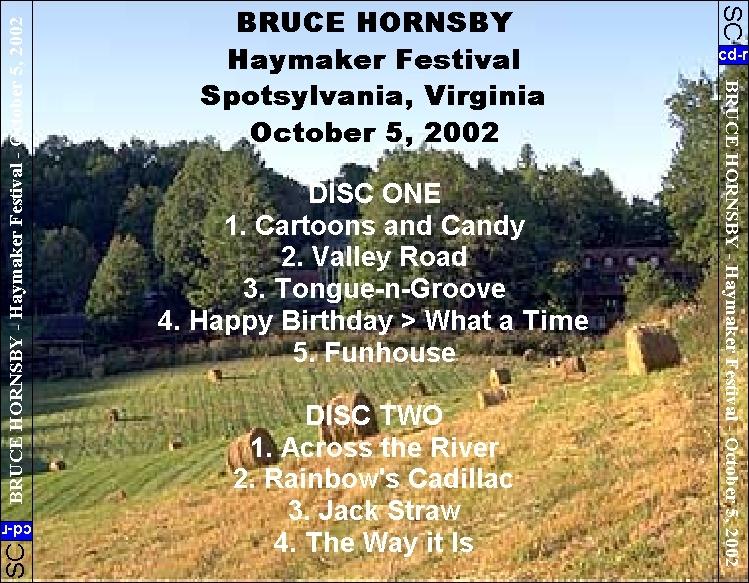 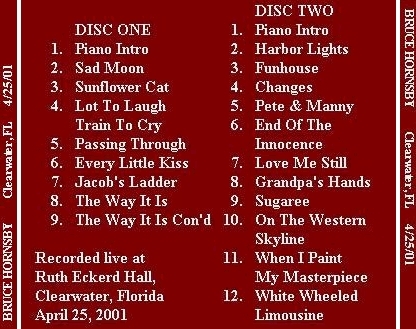 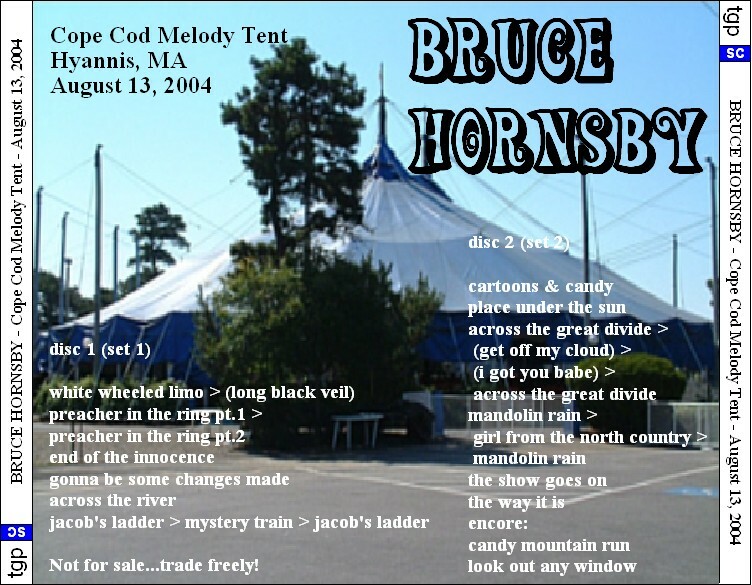 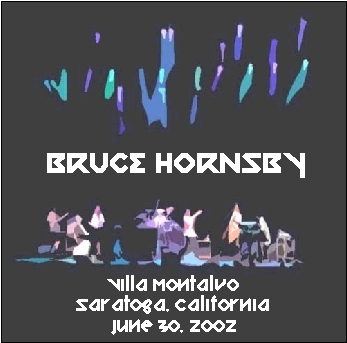 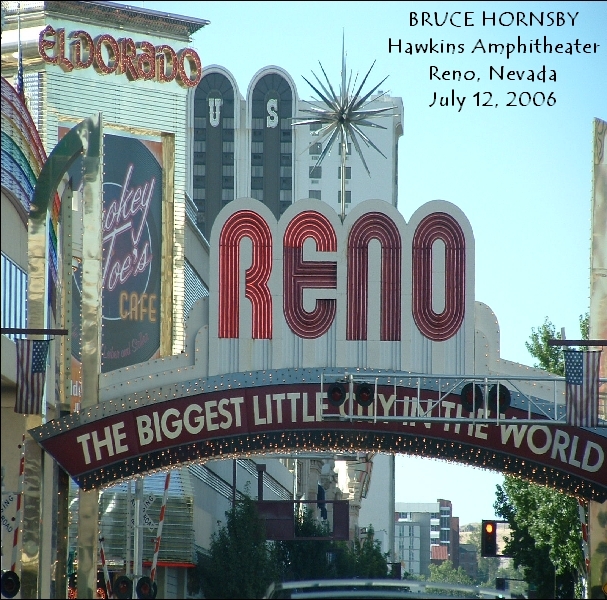 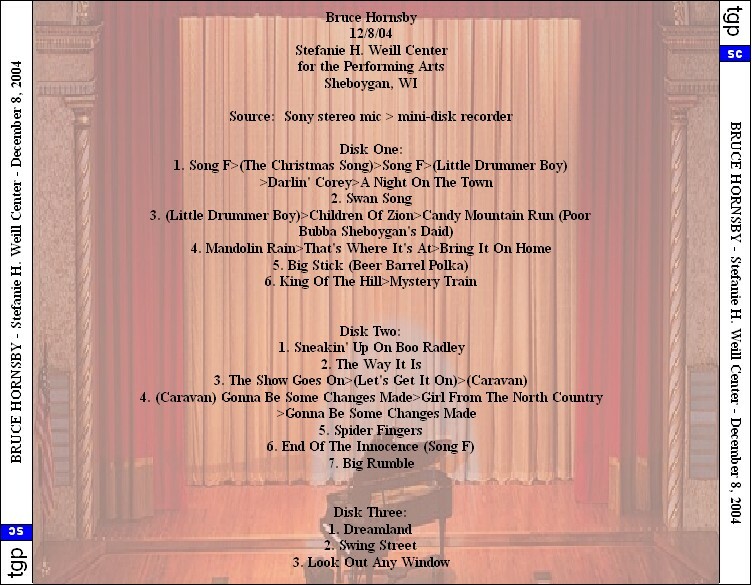 Downloaded from brucehornsby.com and burned to cd-r. 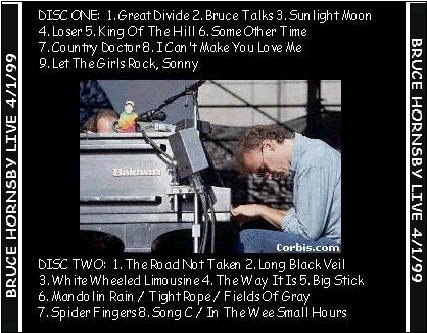 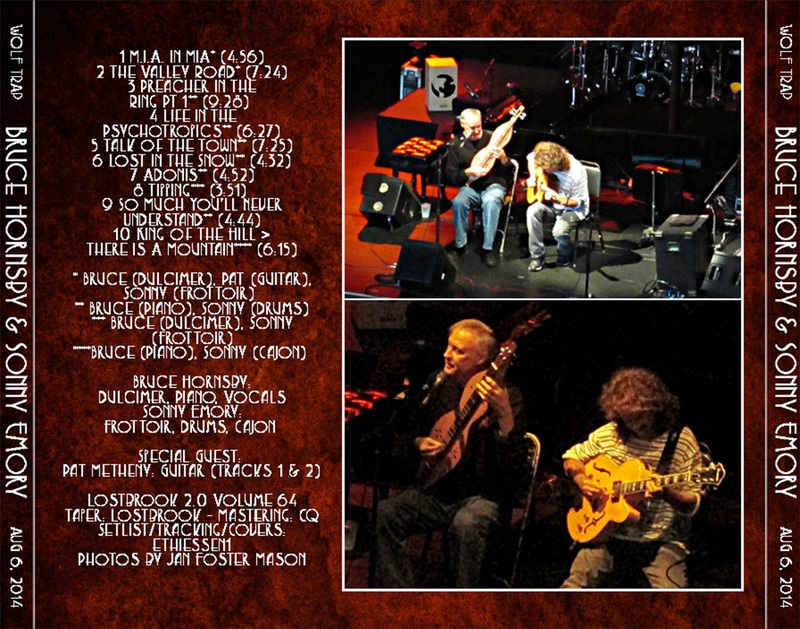 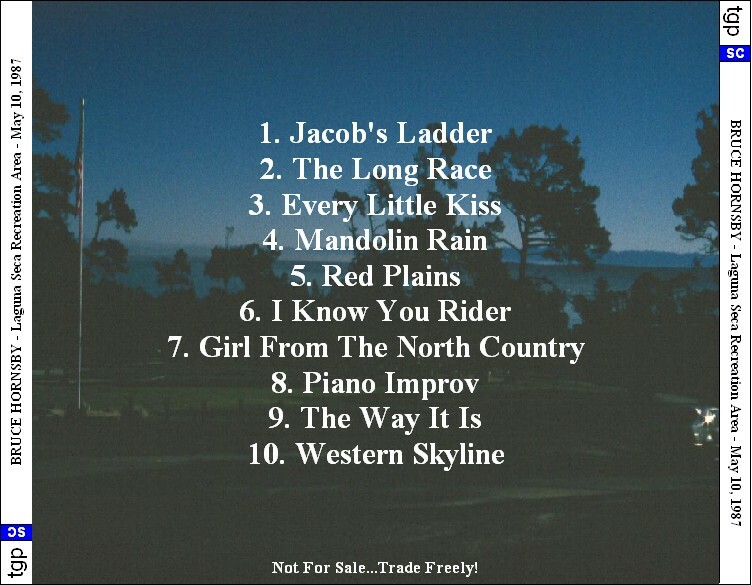 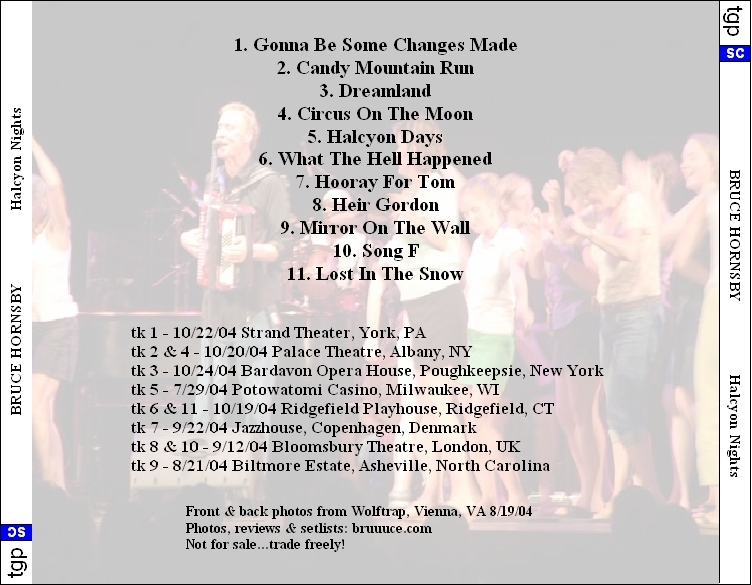 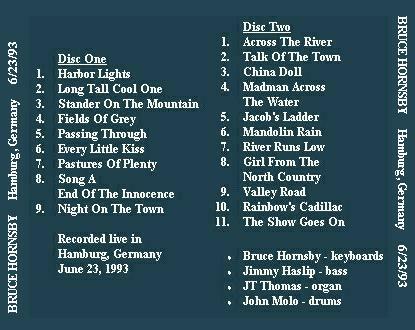 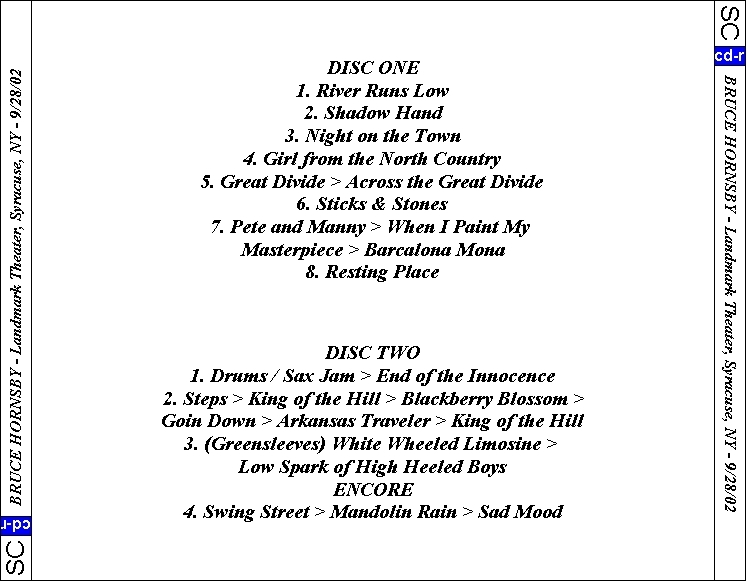 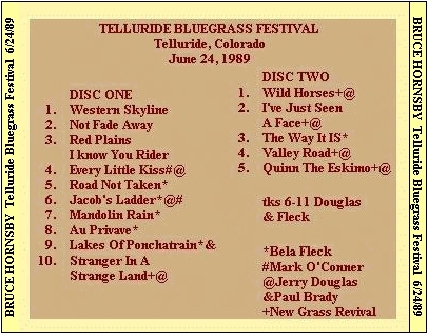 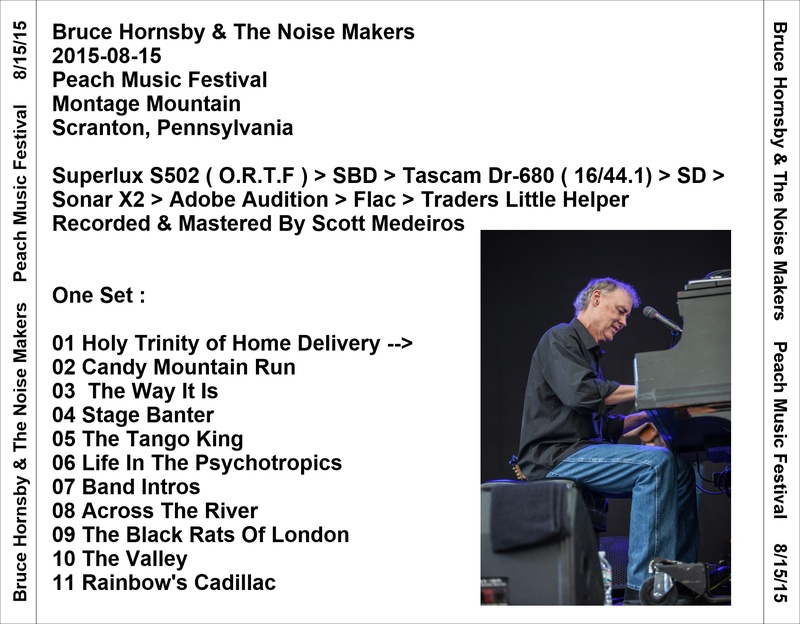 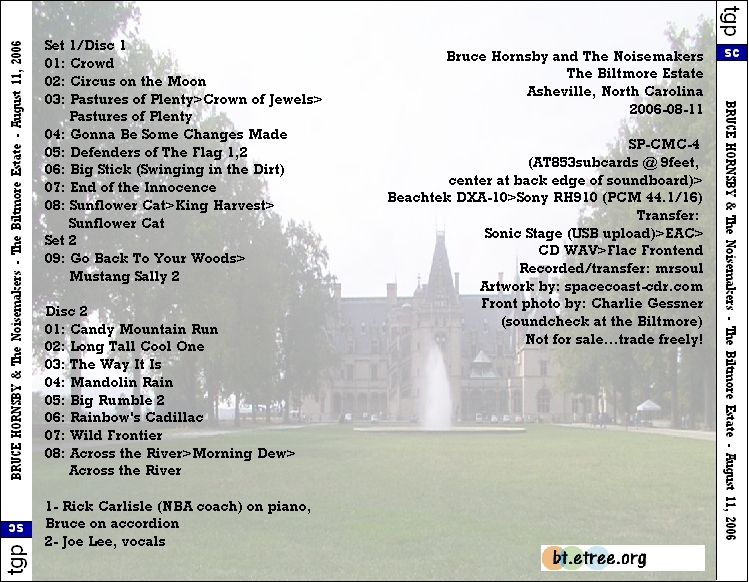 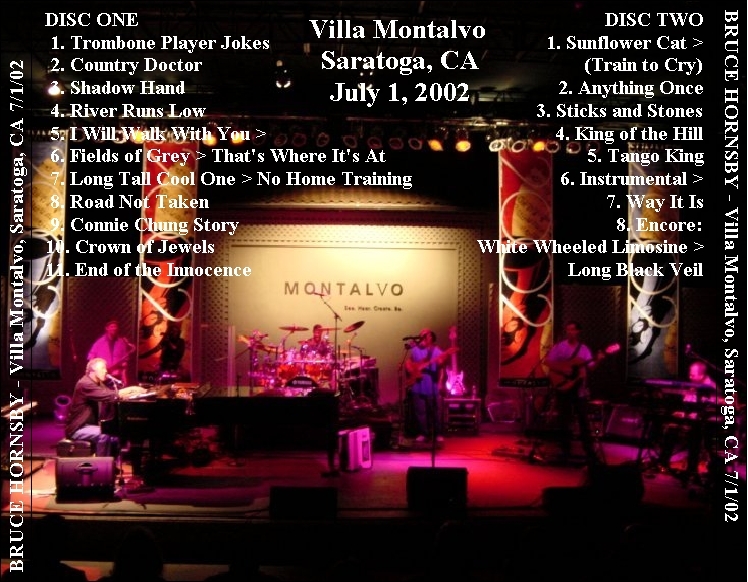 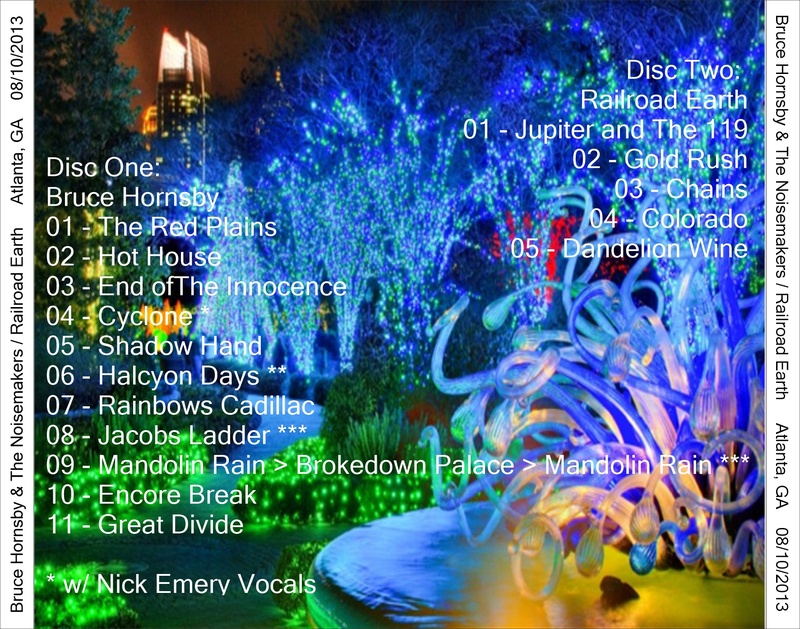 Note: Missing first two songs of set one due to recorder malfunction.